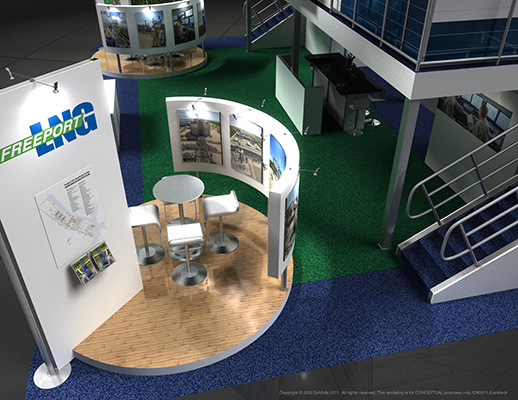 Great use of green, blue and white to provide an inviting tone. 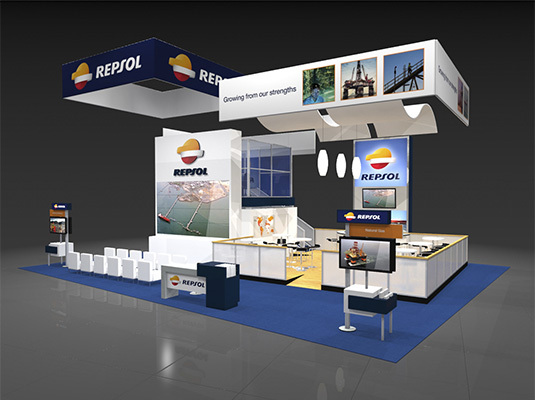 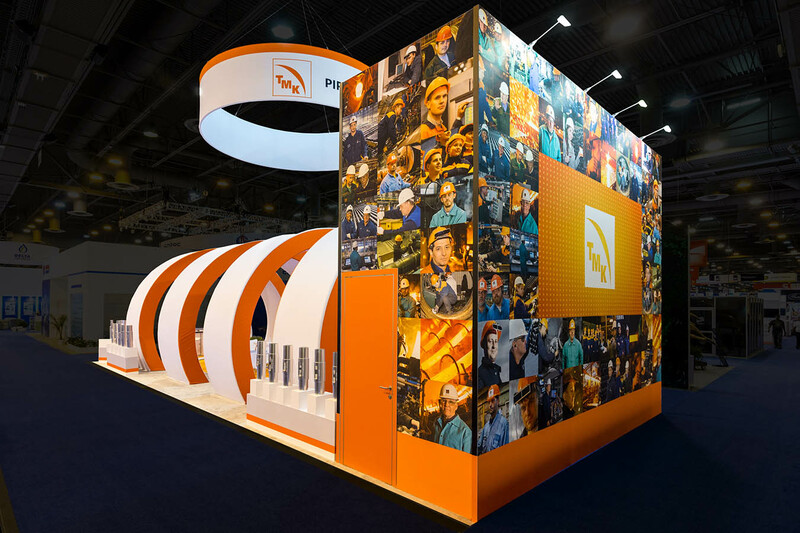 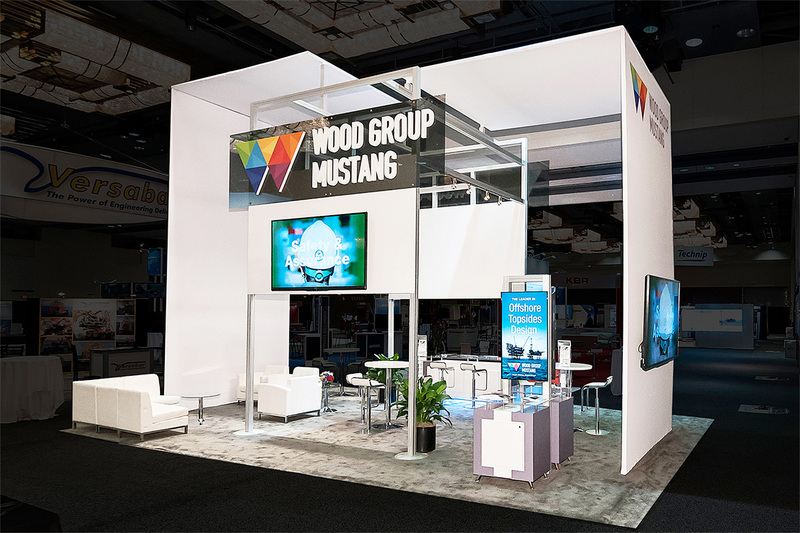 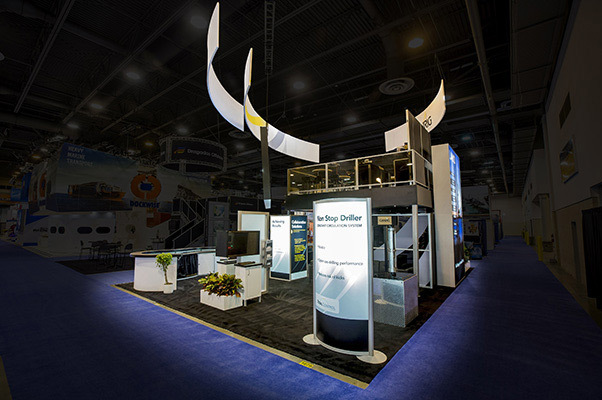 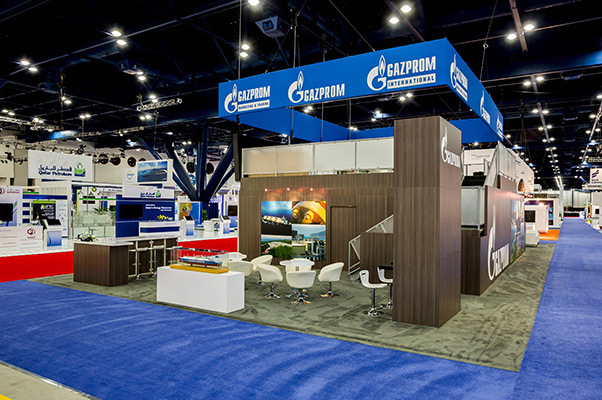 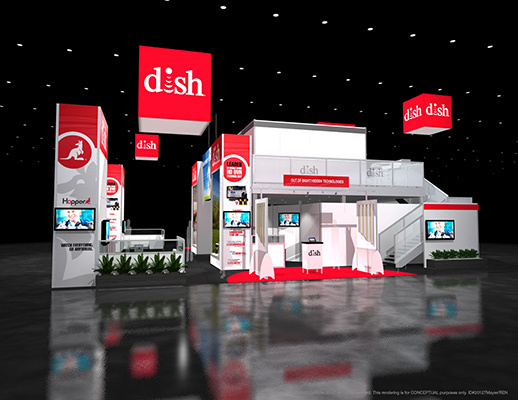 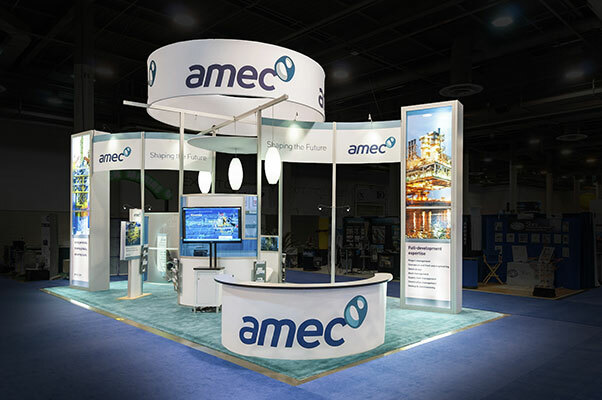 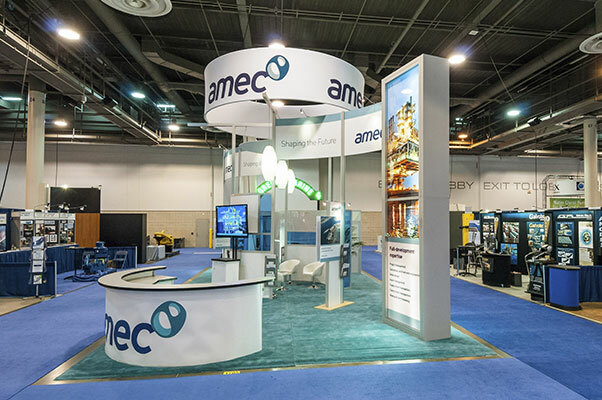 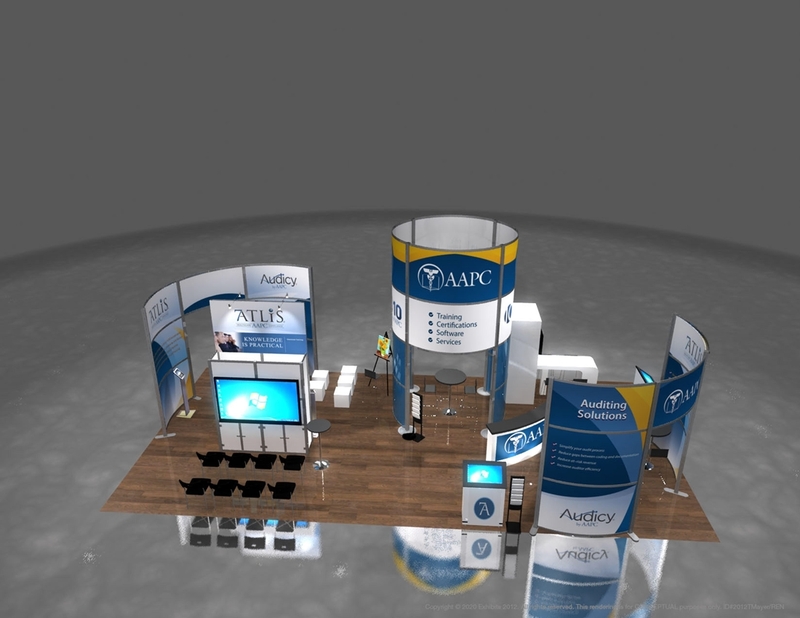 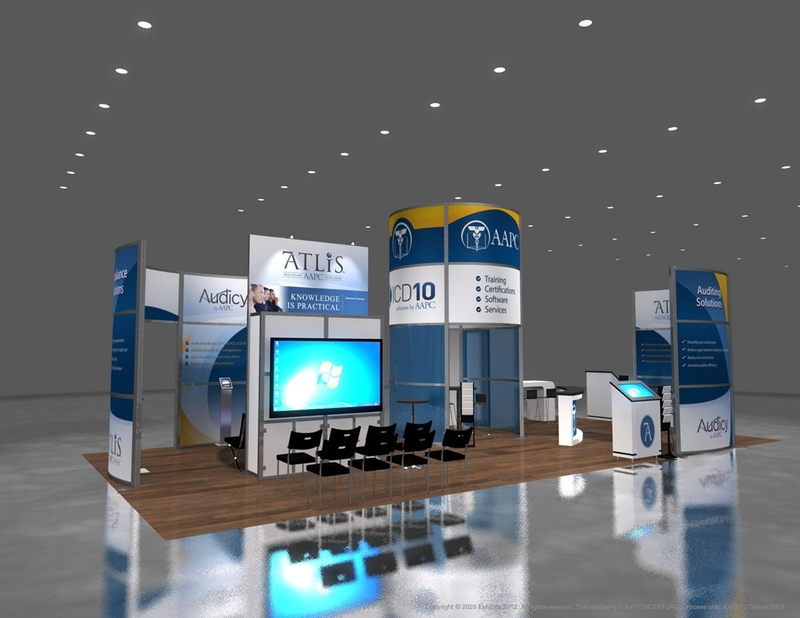 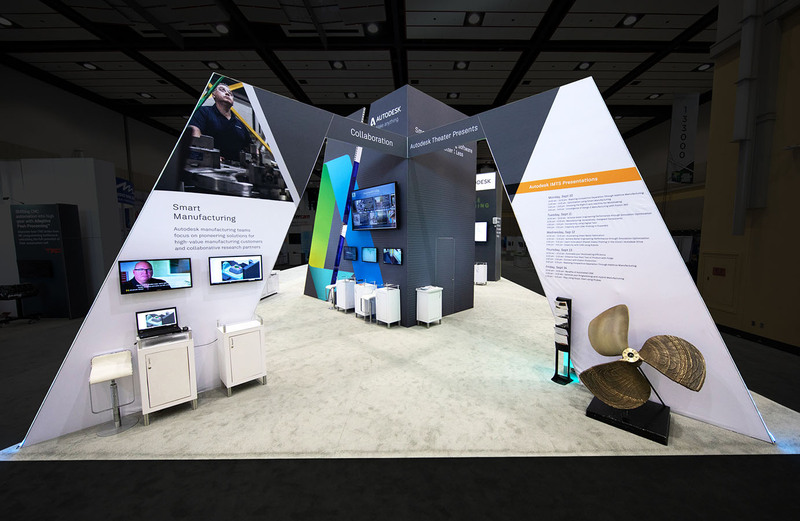 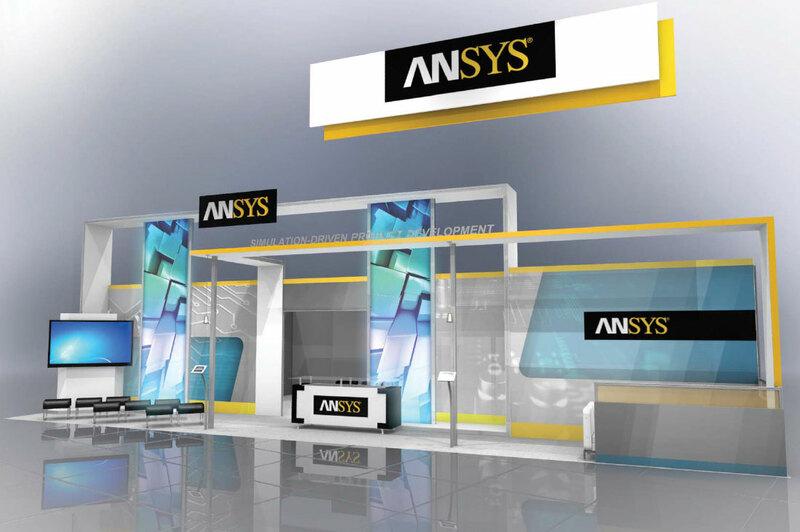 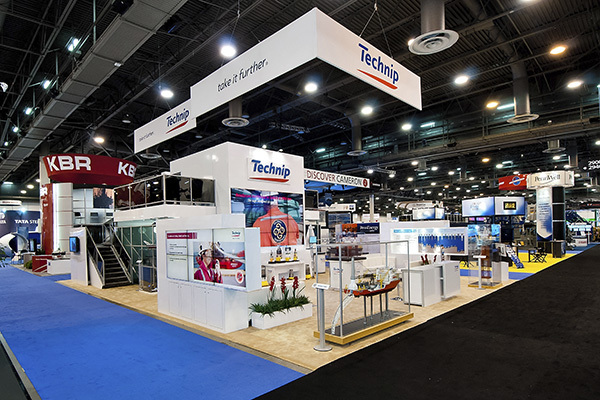 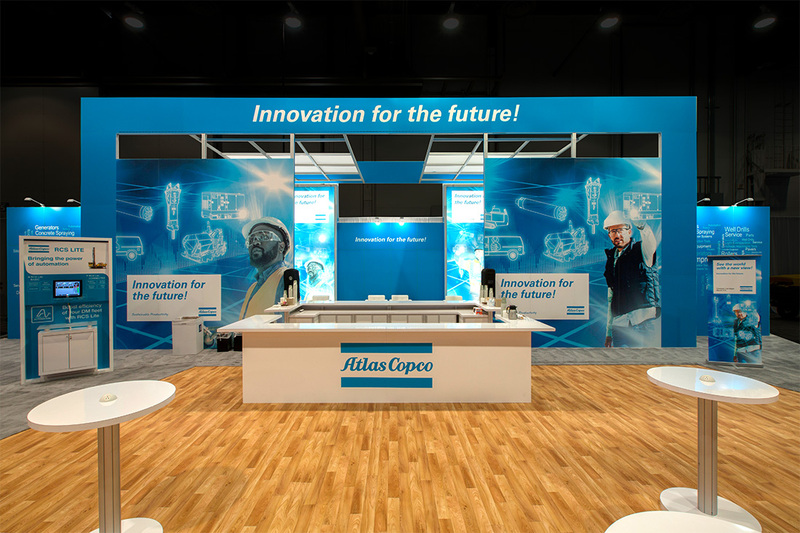 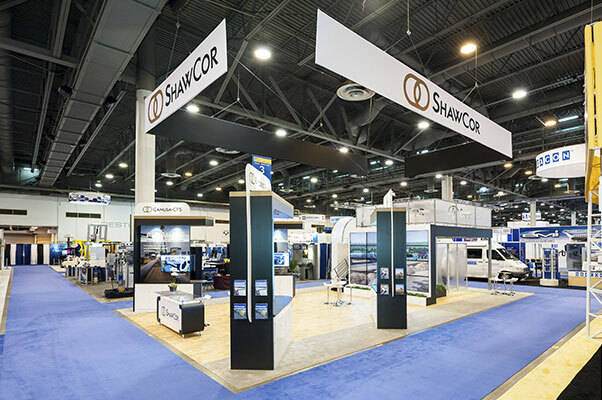 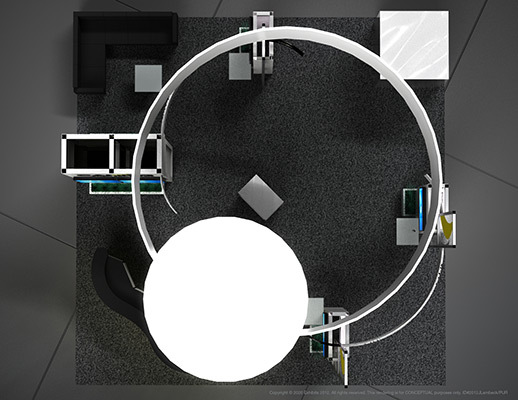 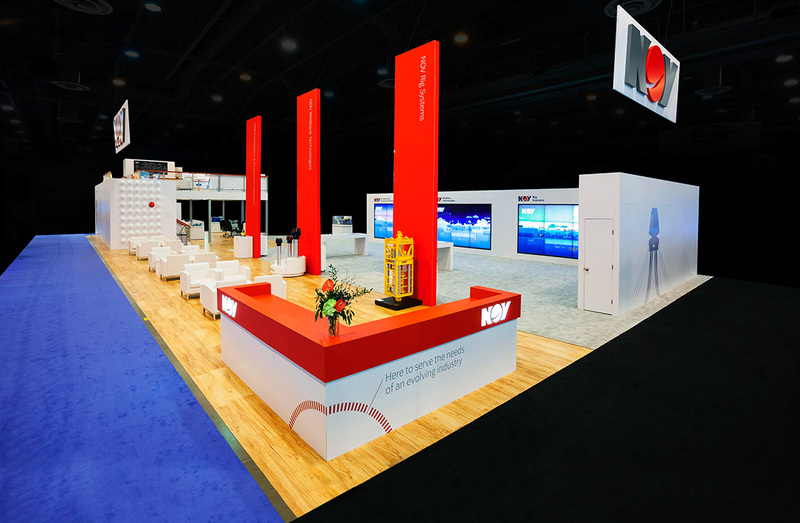 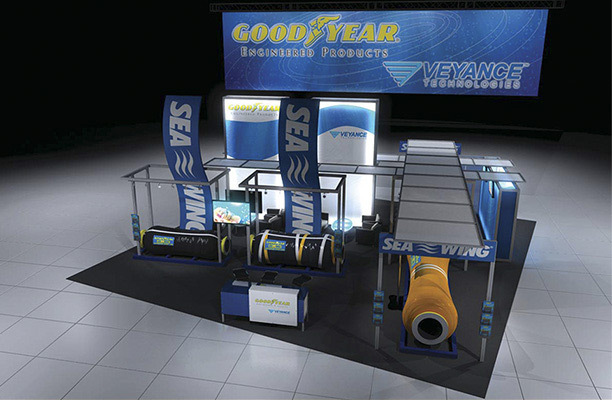 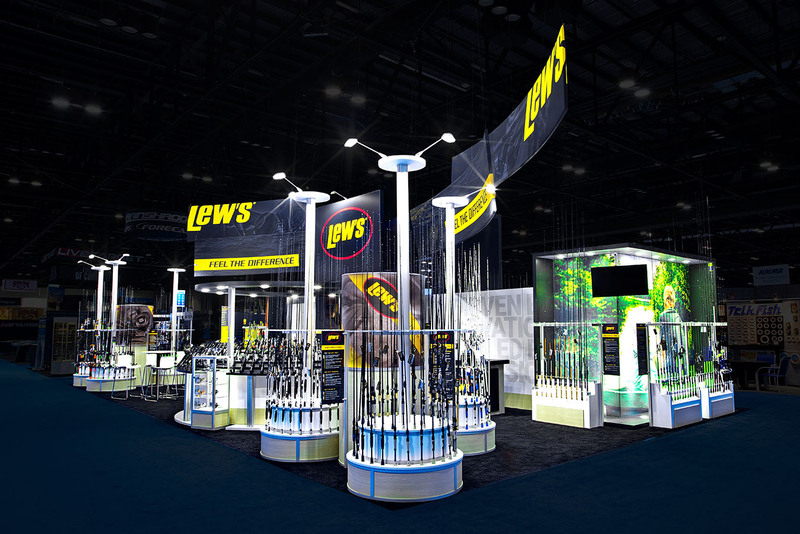 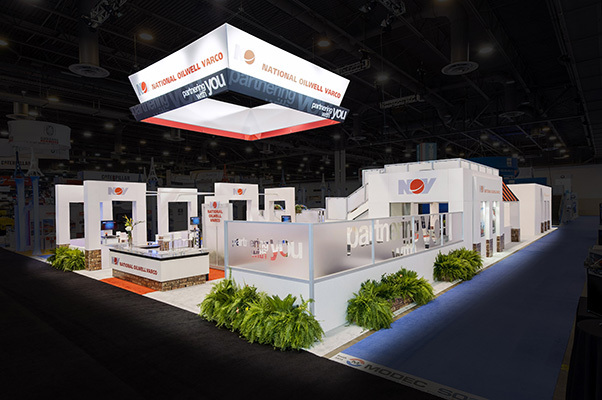 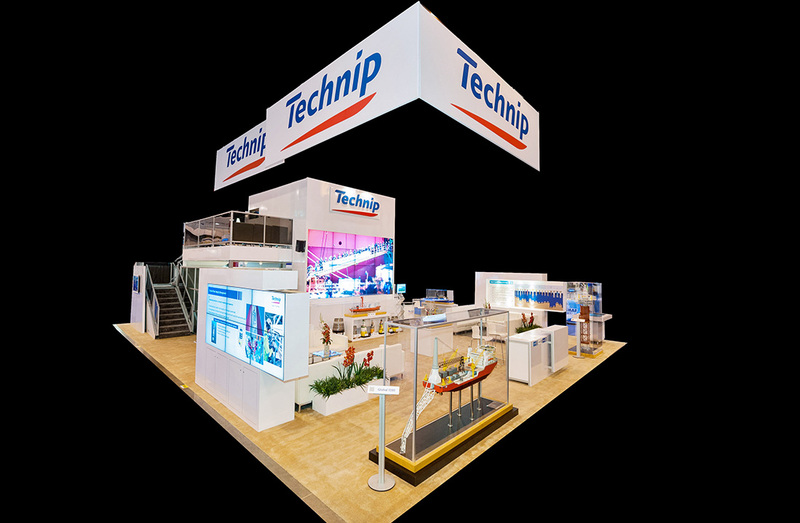 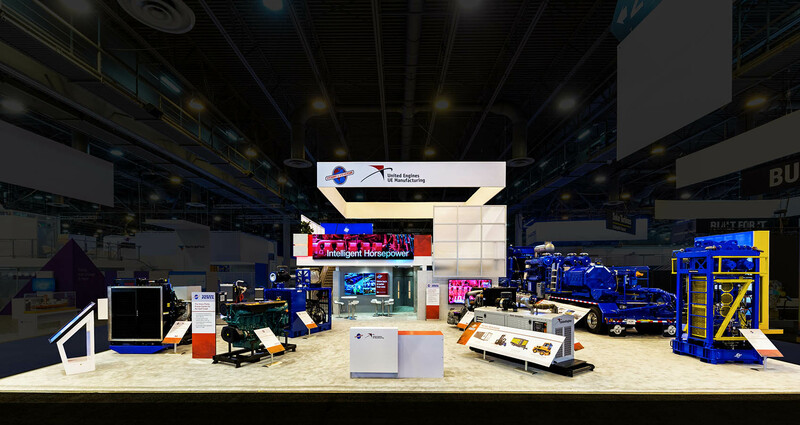 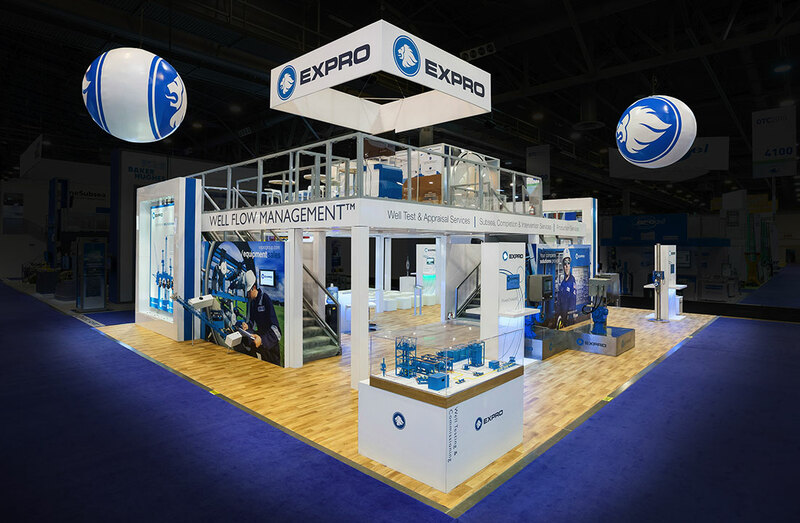 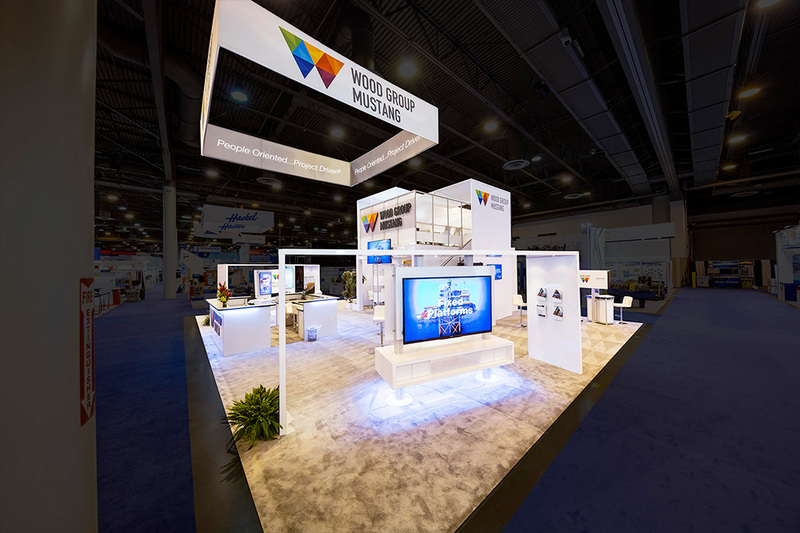 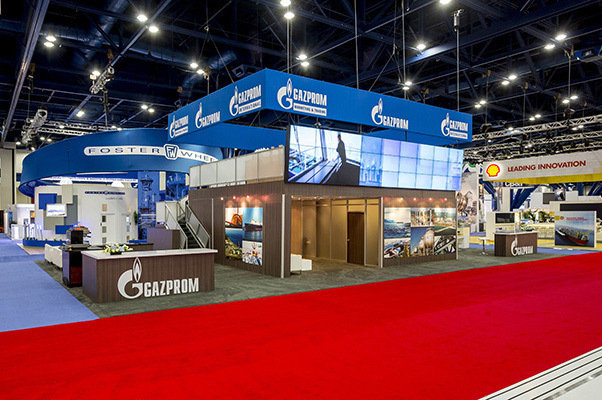 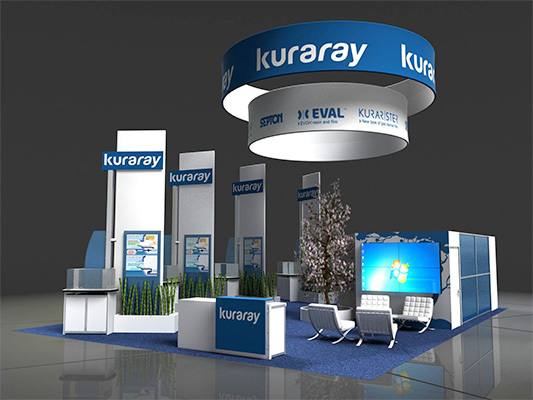 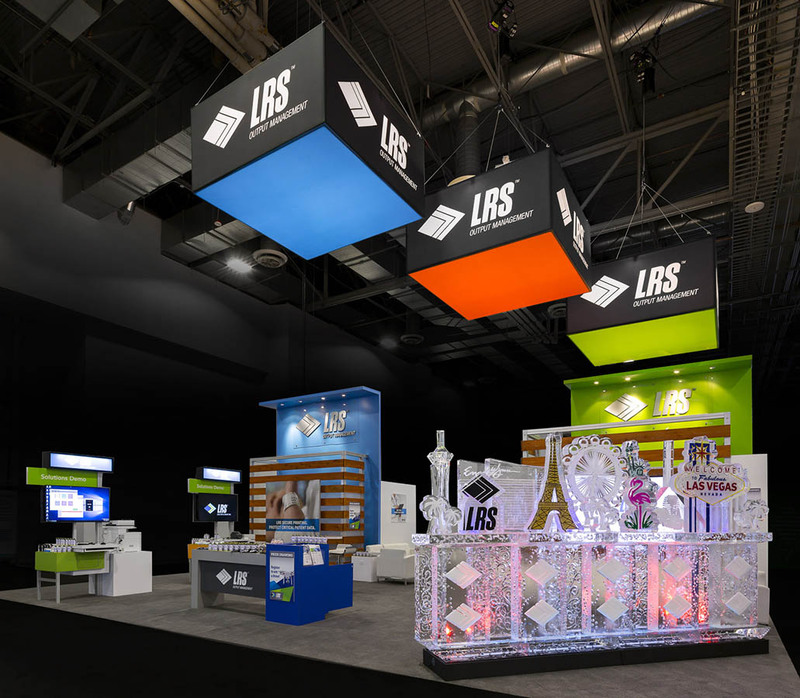 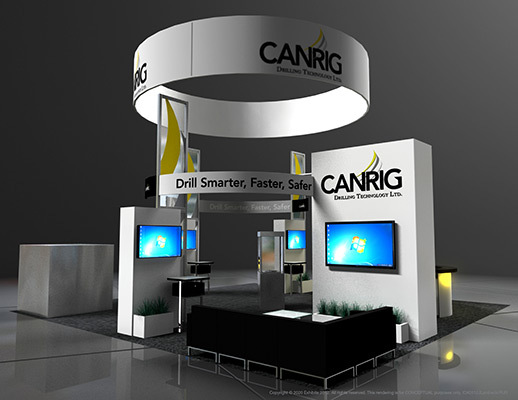 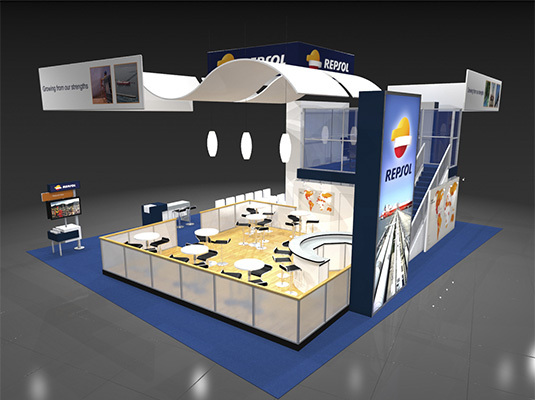 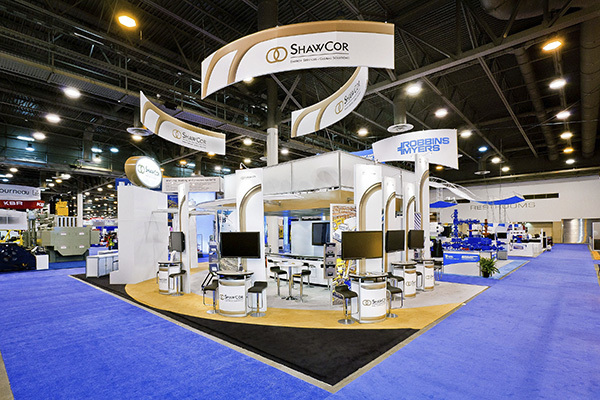 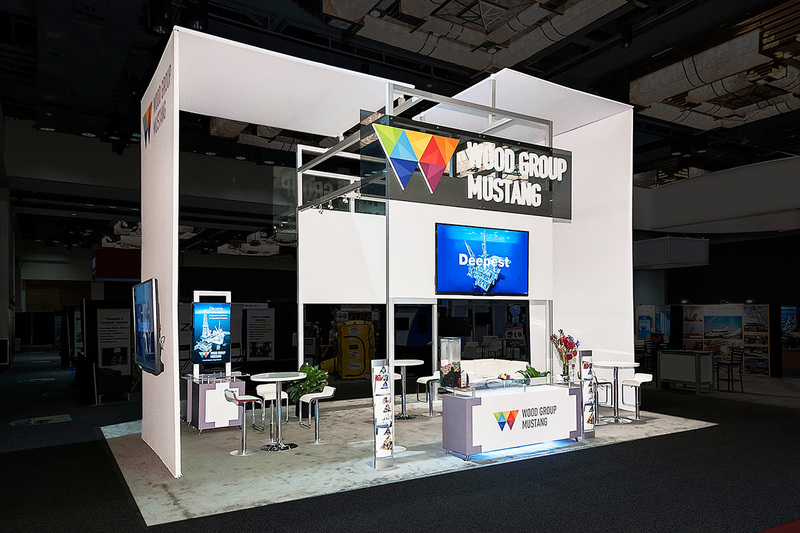 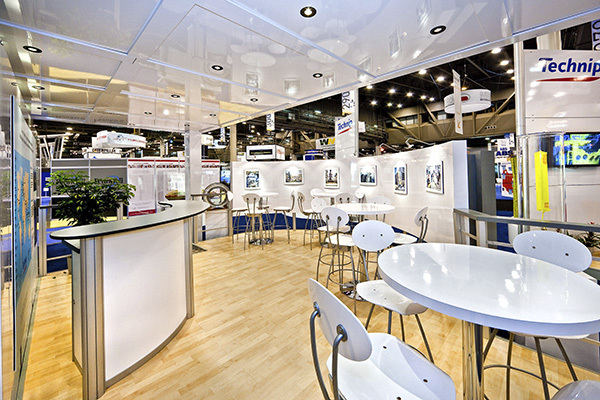 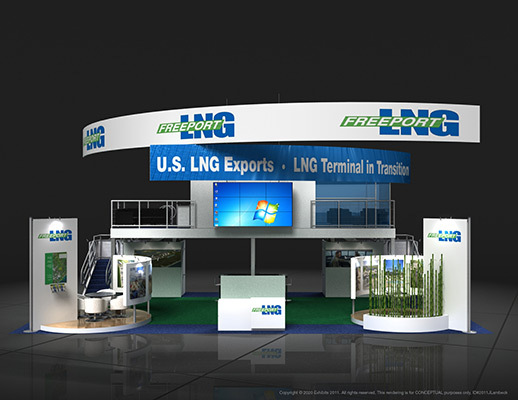 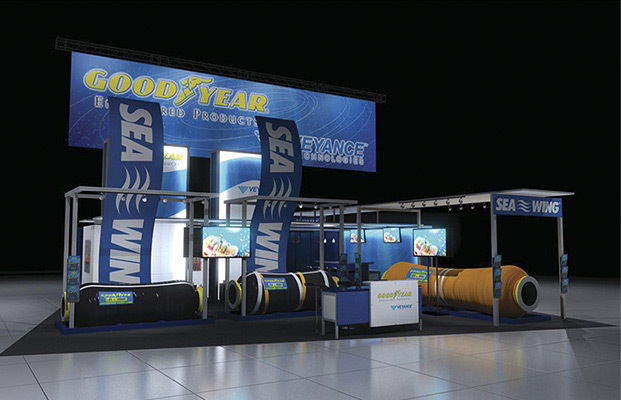 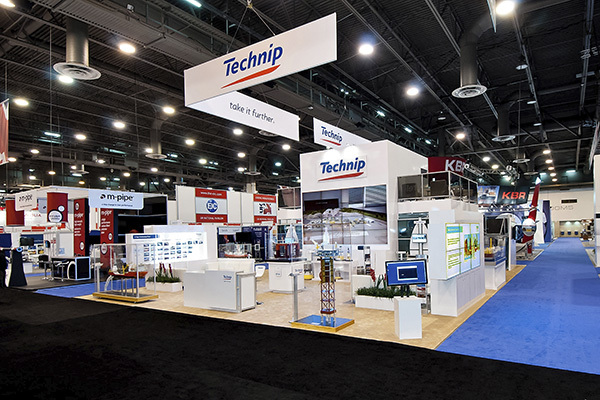 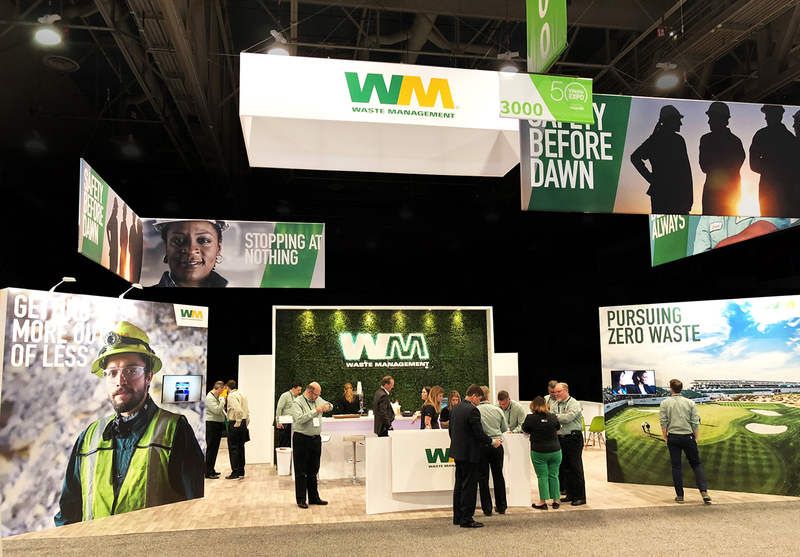 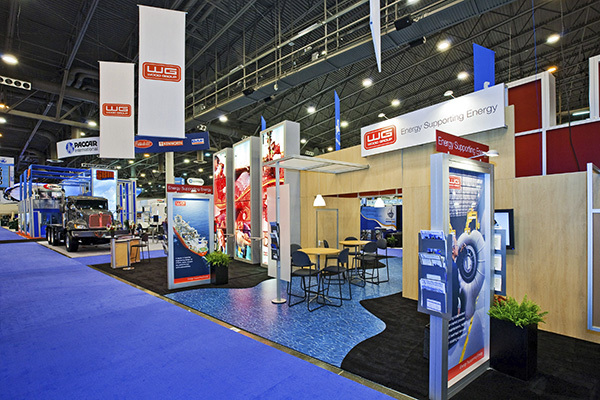 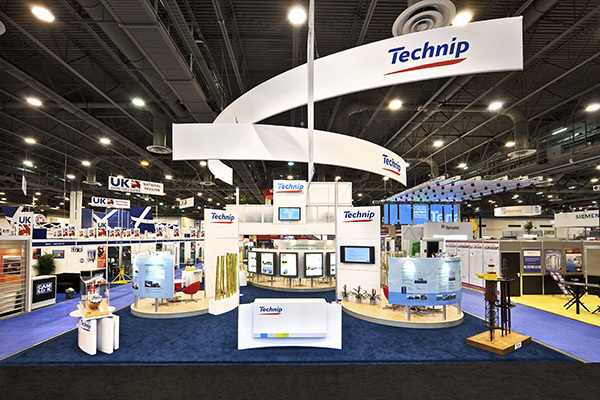 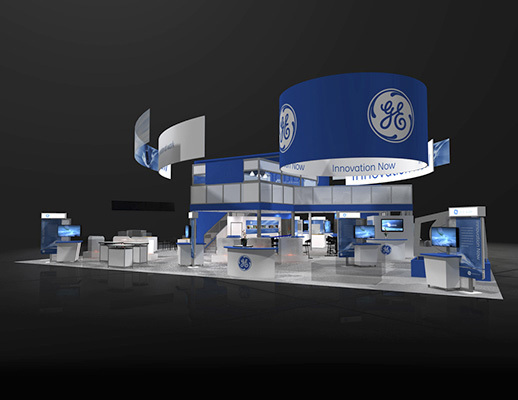 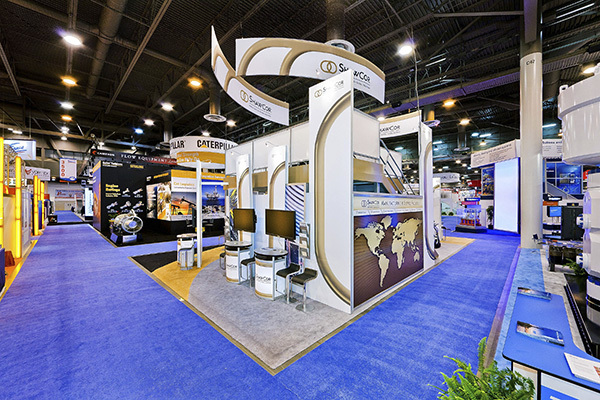 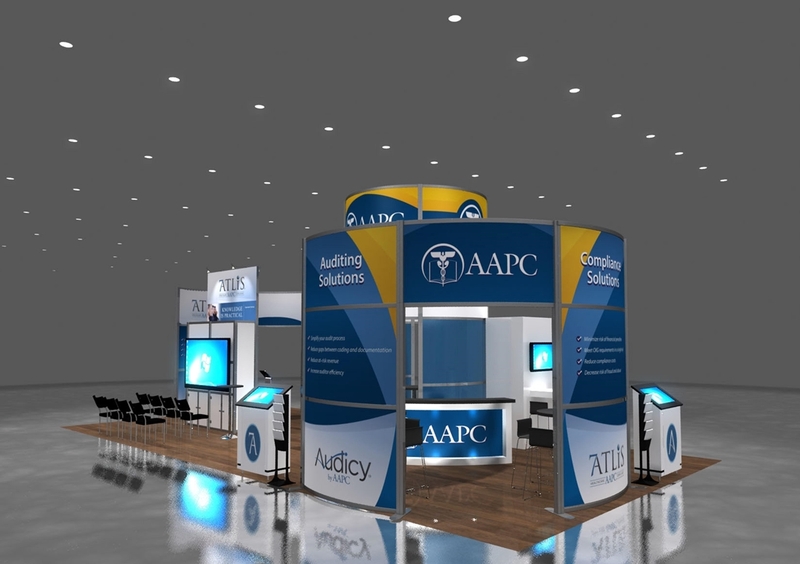 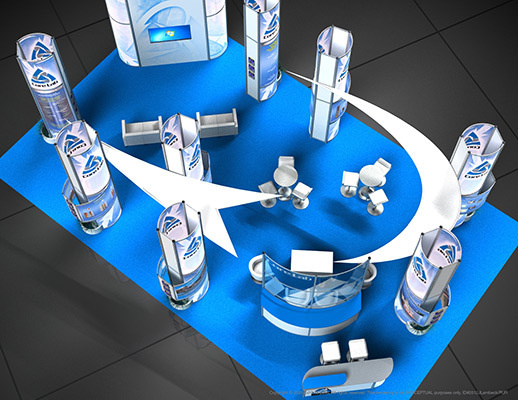 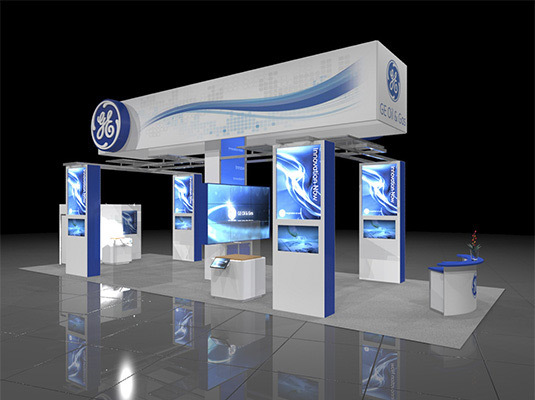 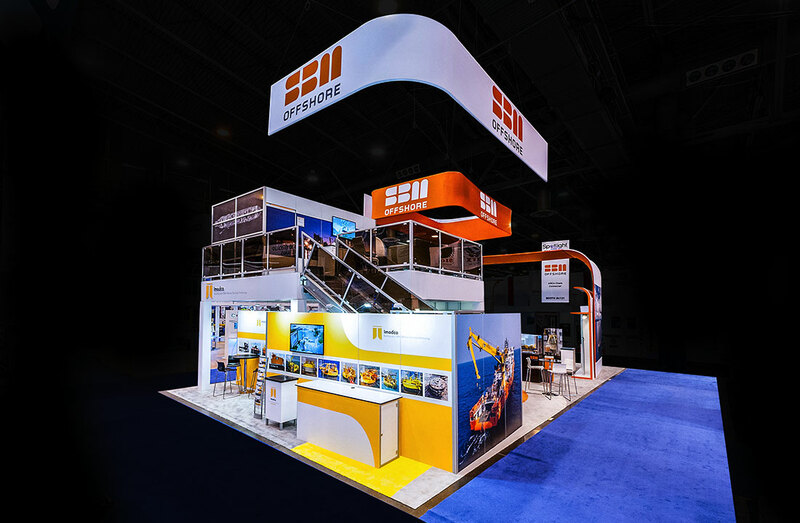 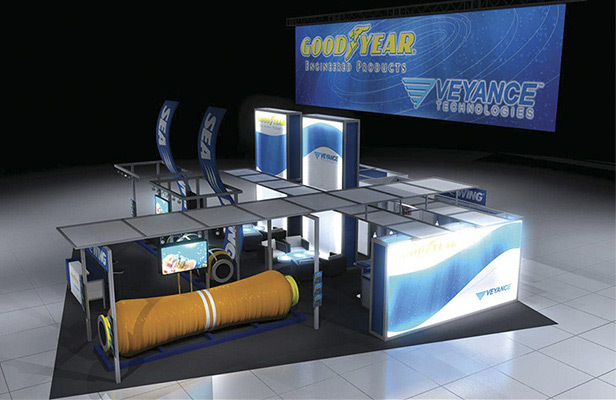 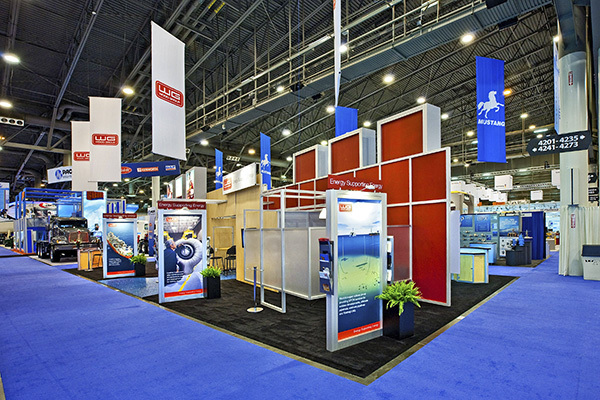 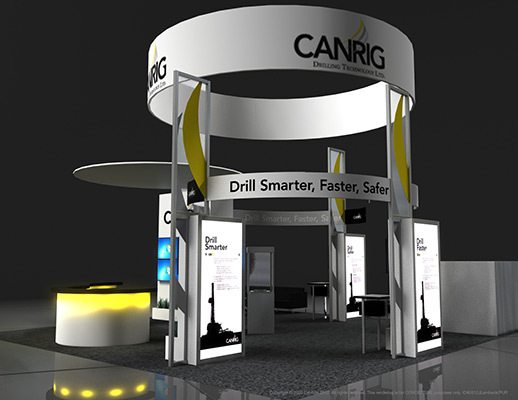 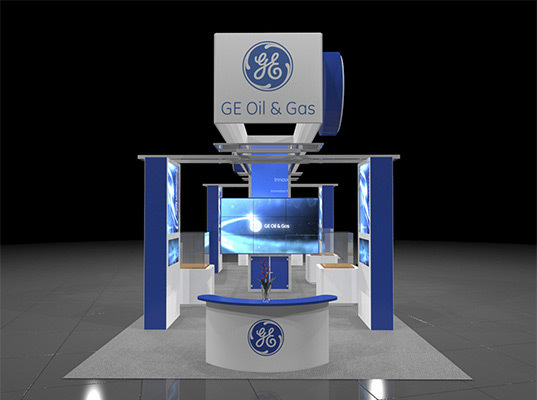 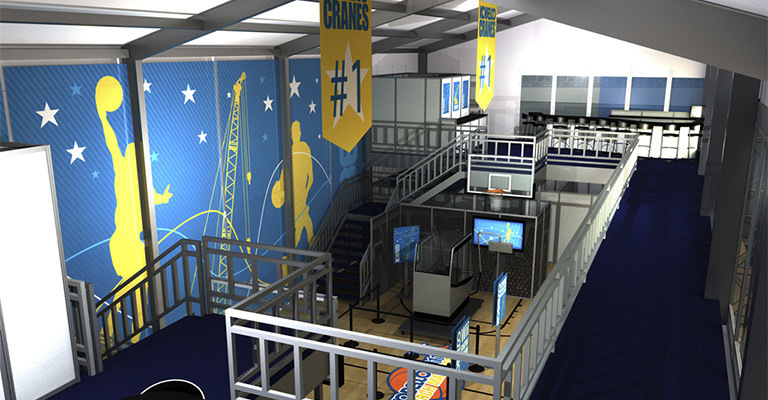 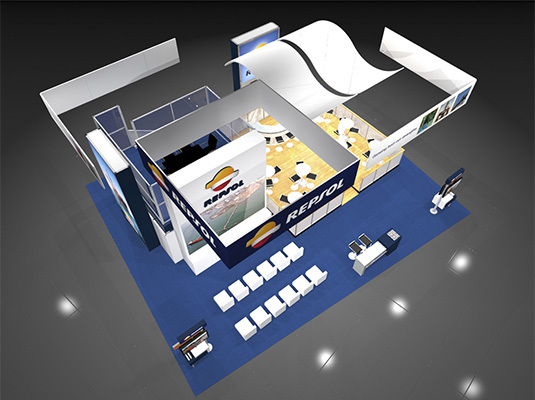 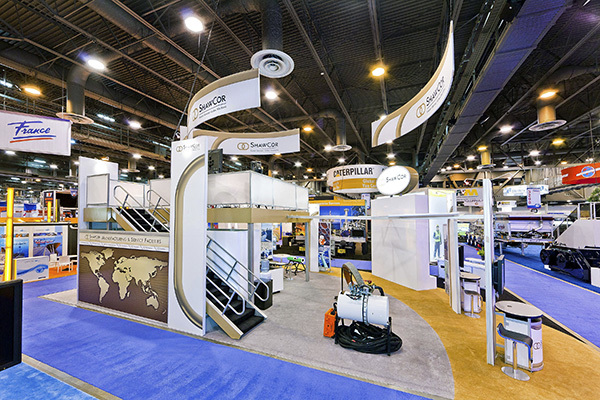 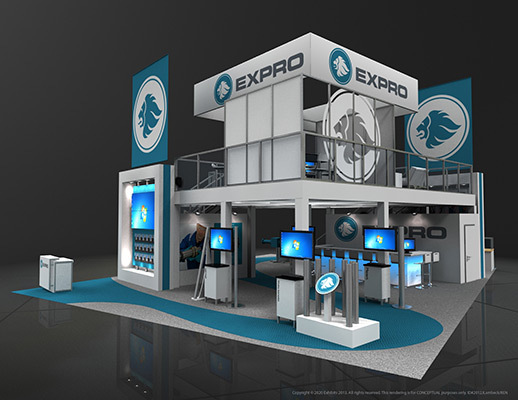 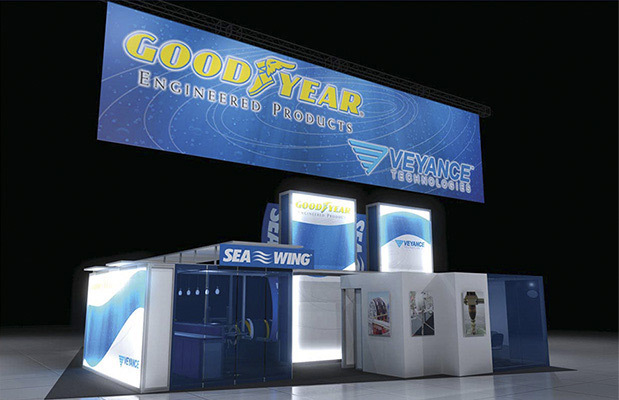 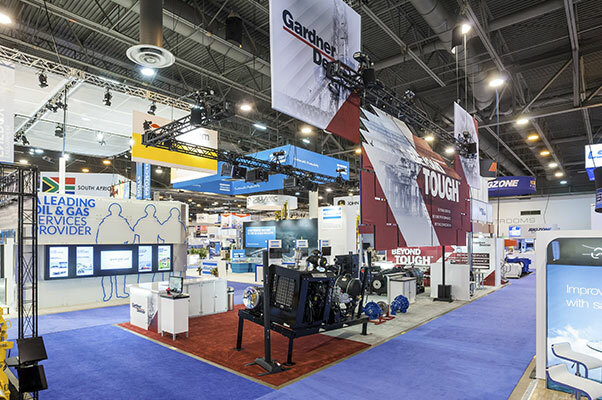 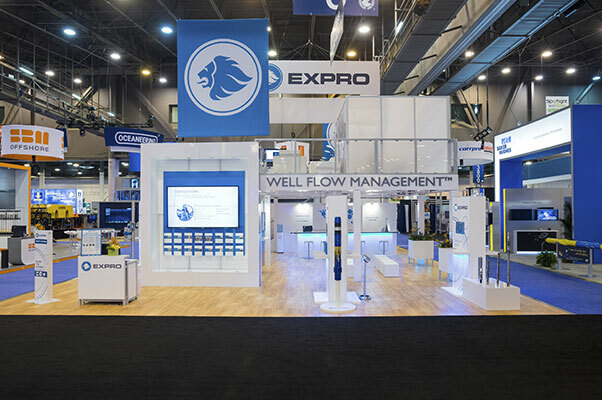 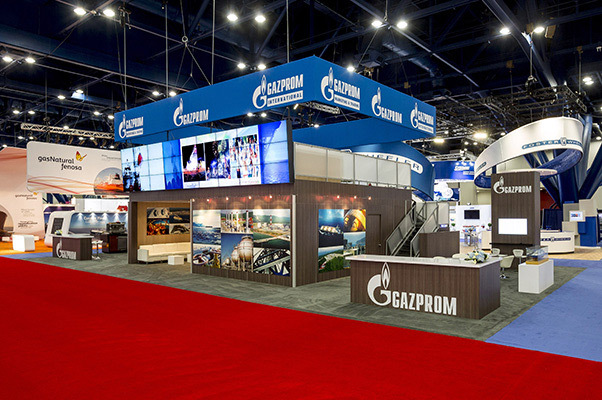 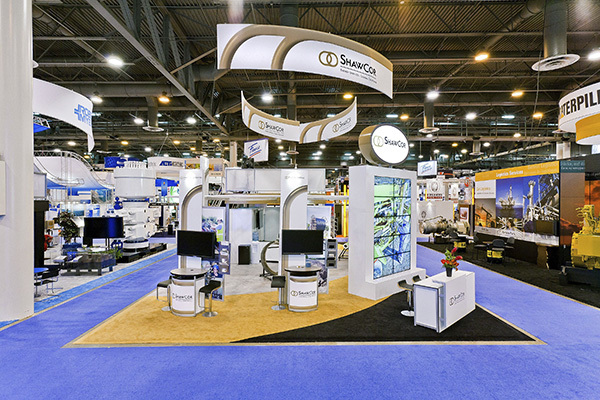 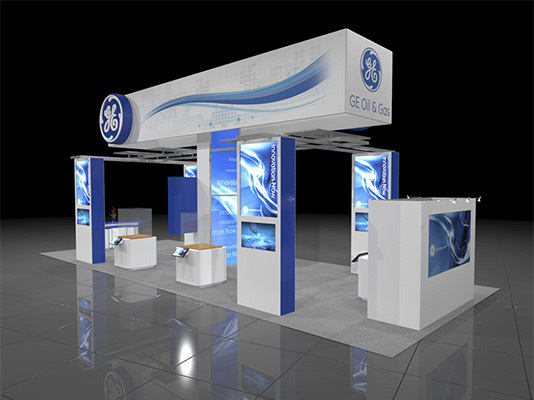 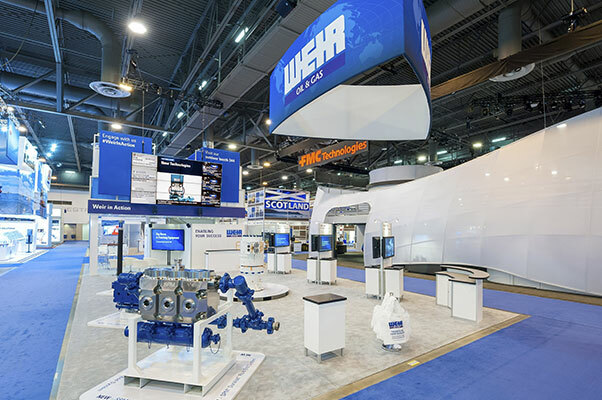 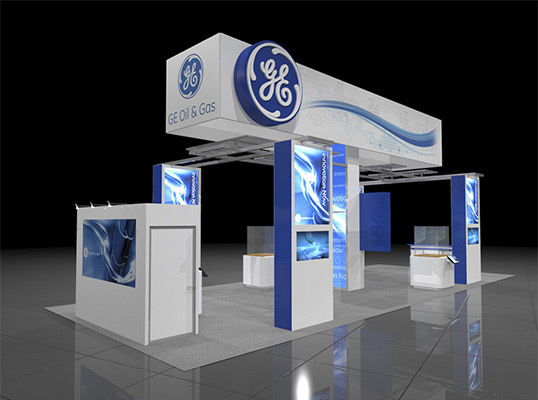 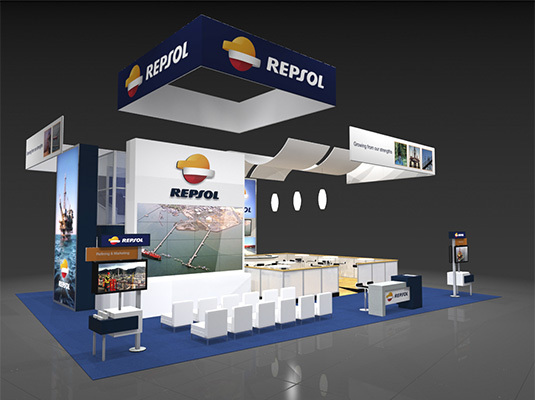 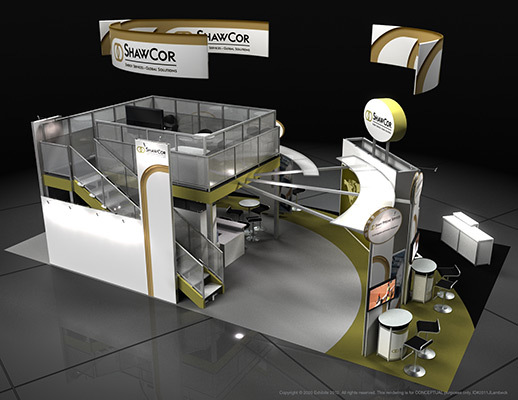 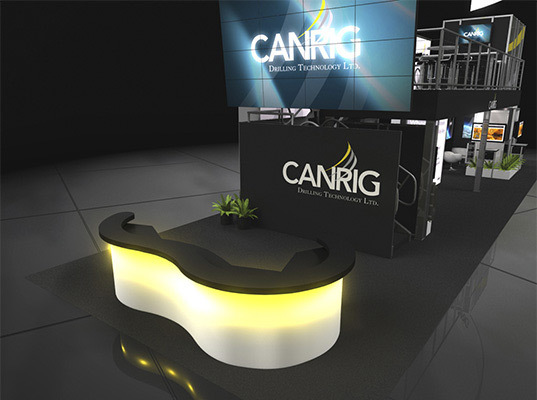 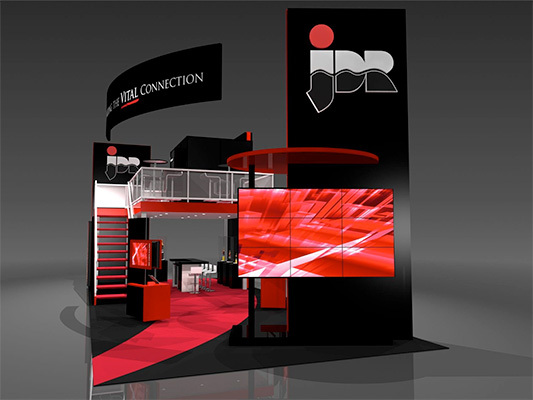 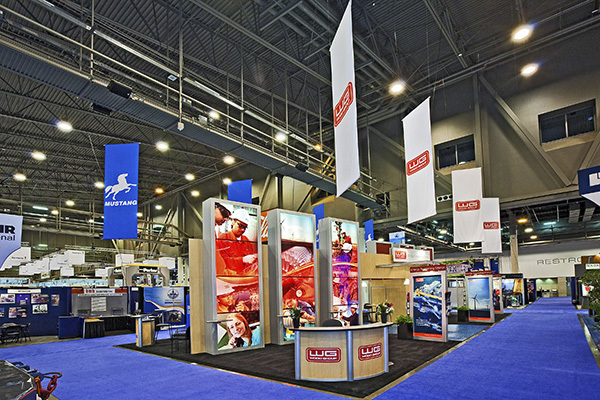 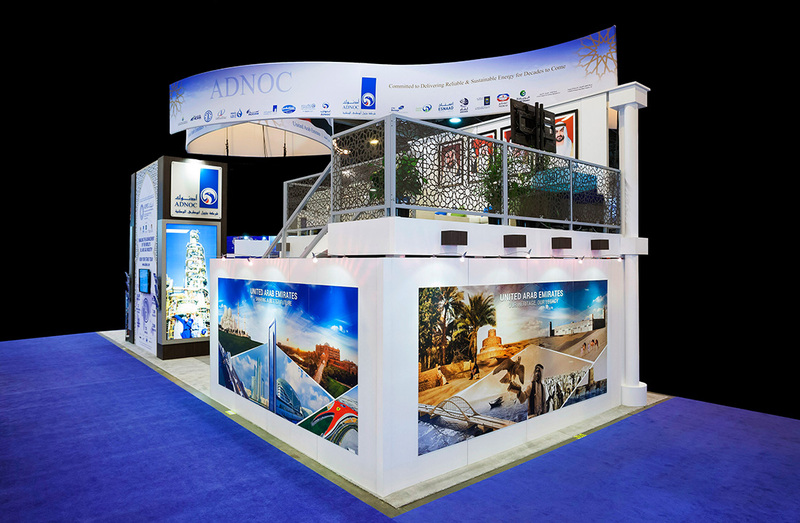 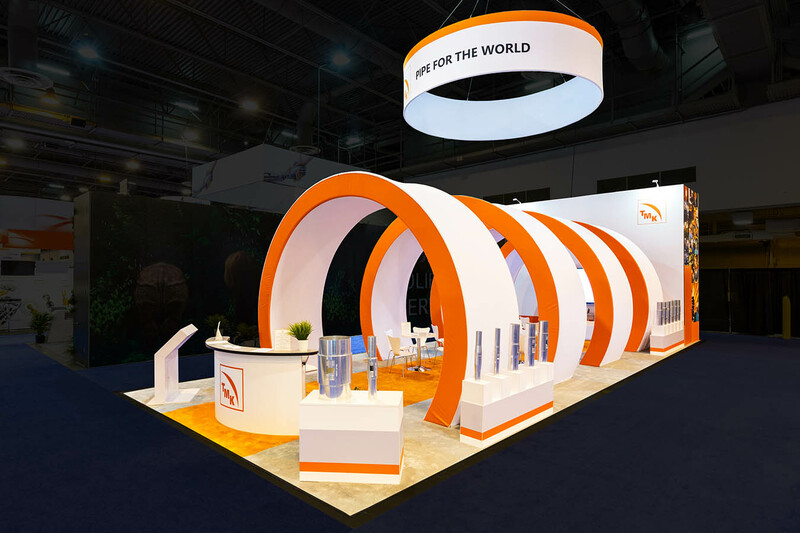 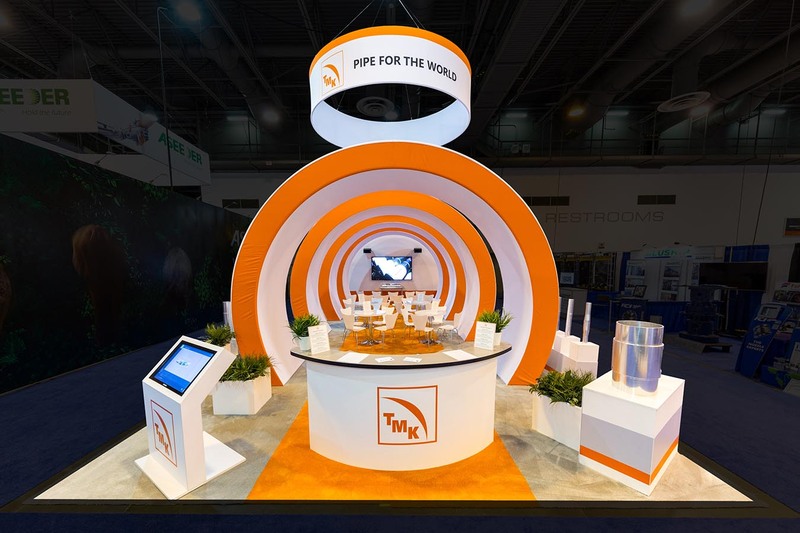 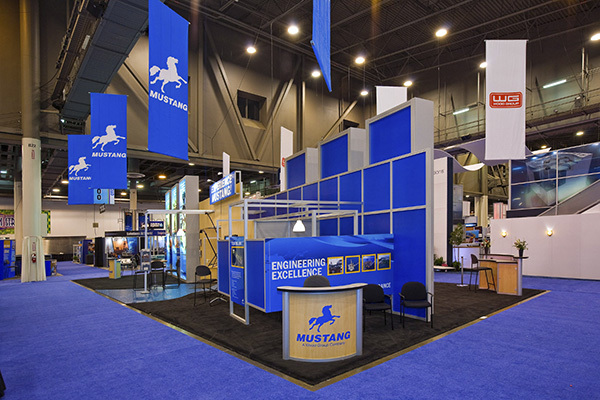 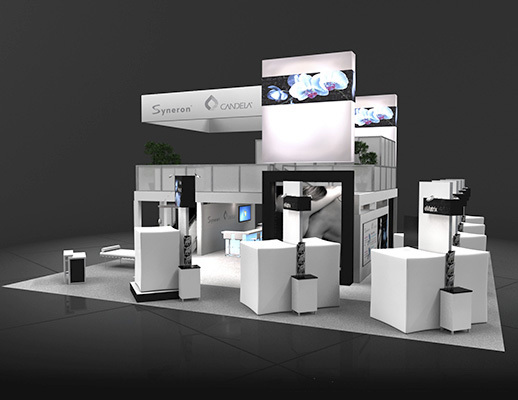 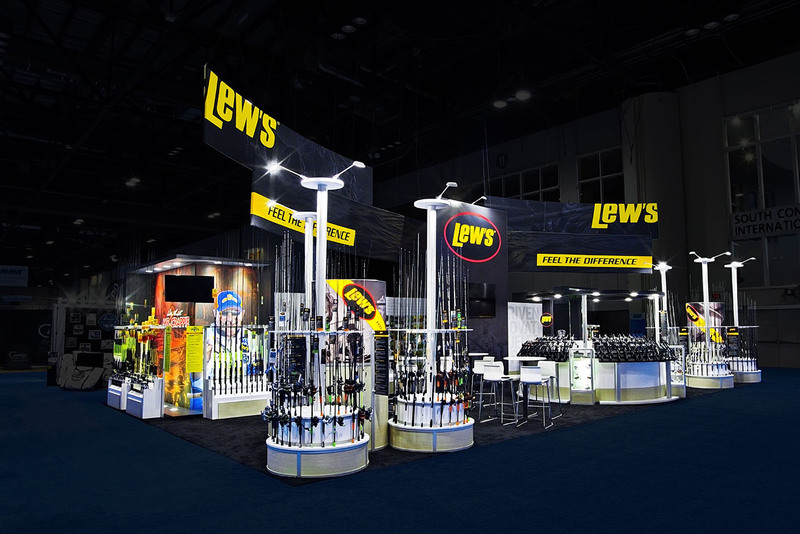 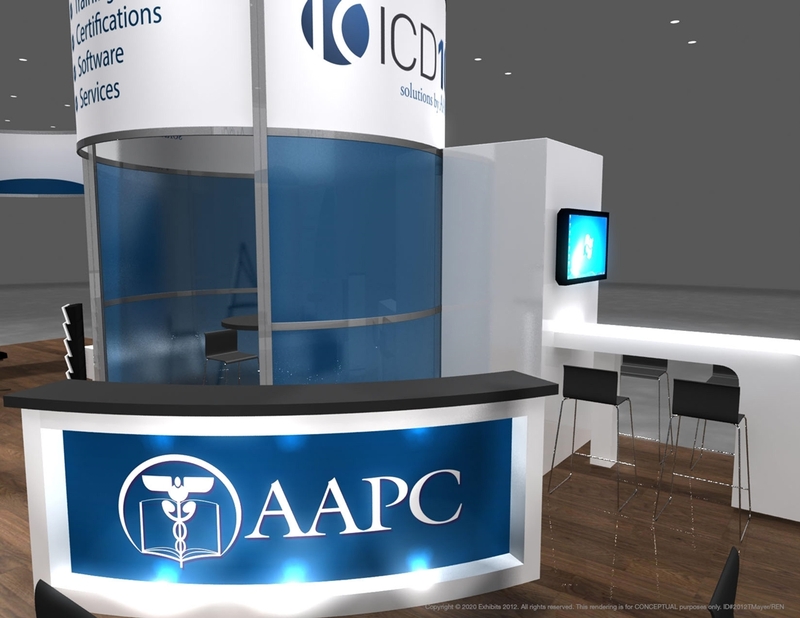 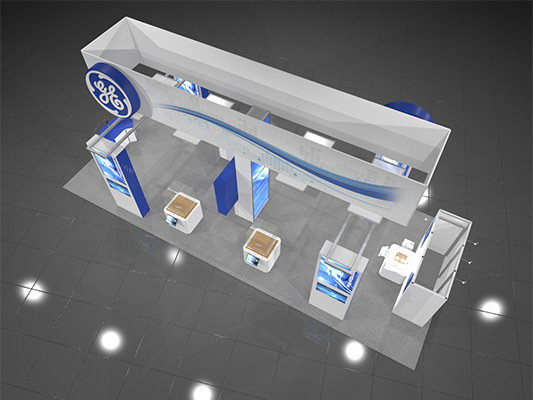 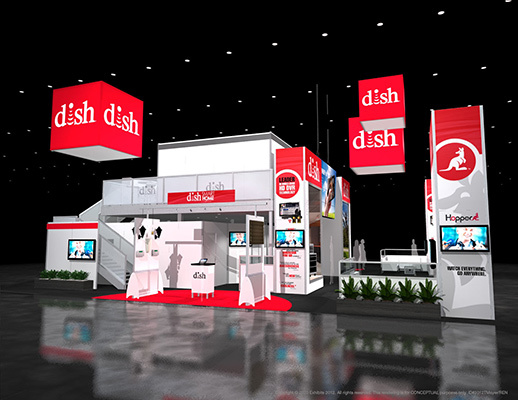 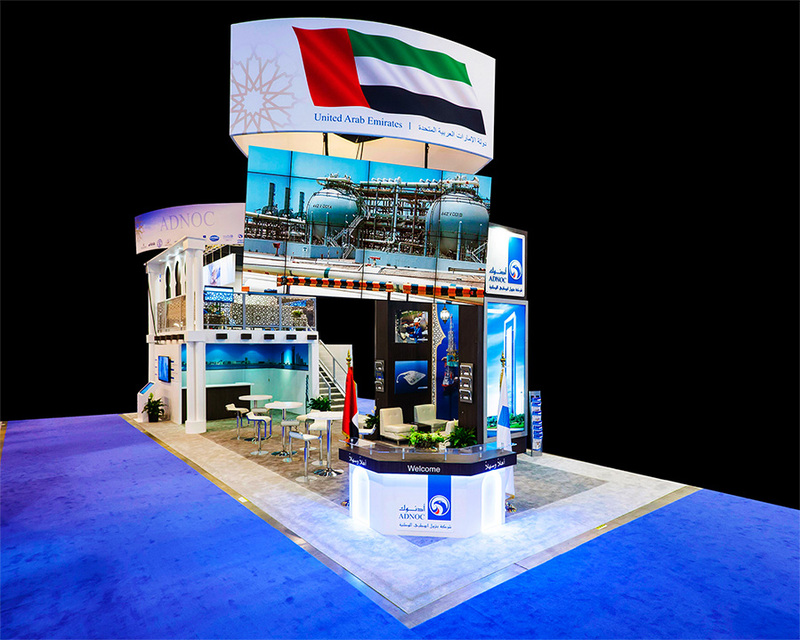 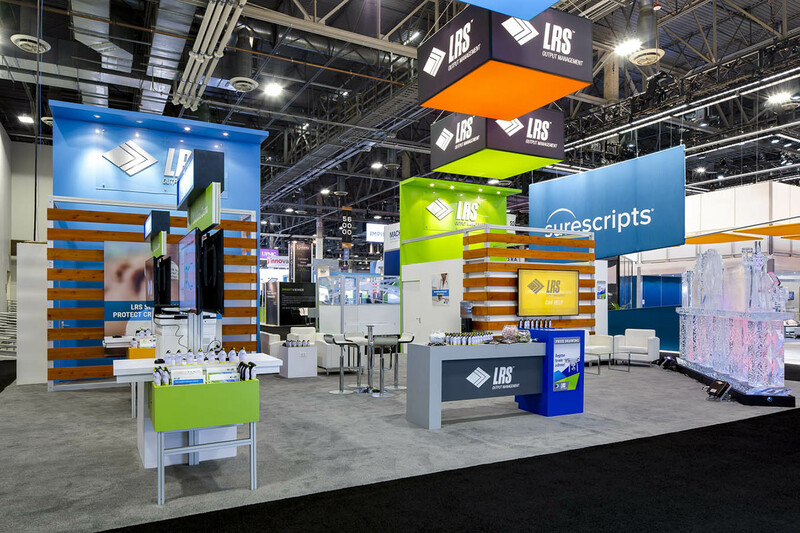 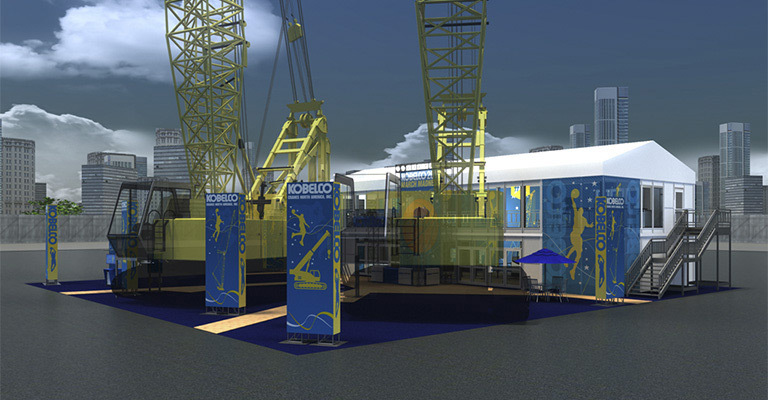 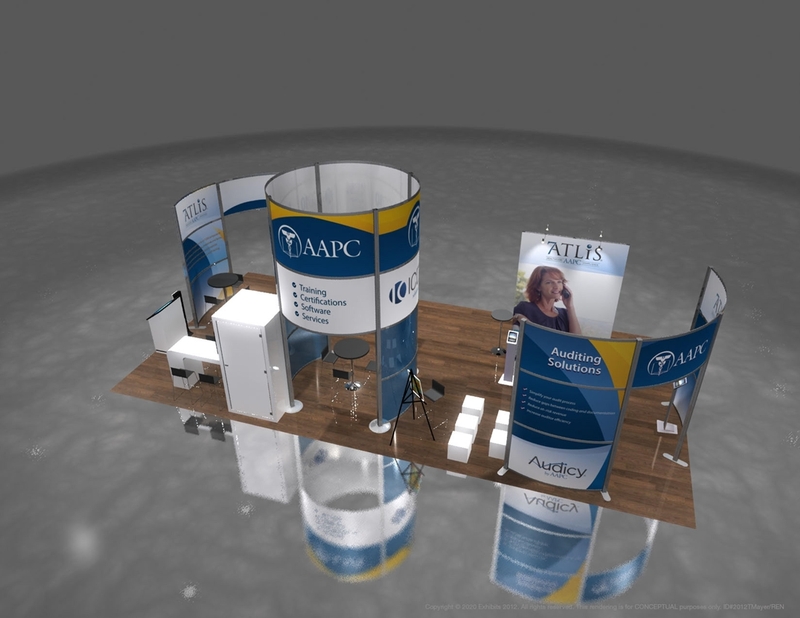 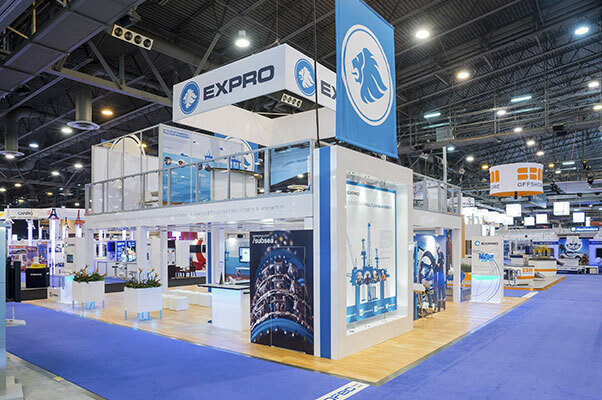 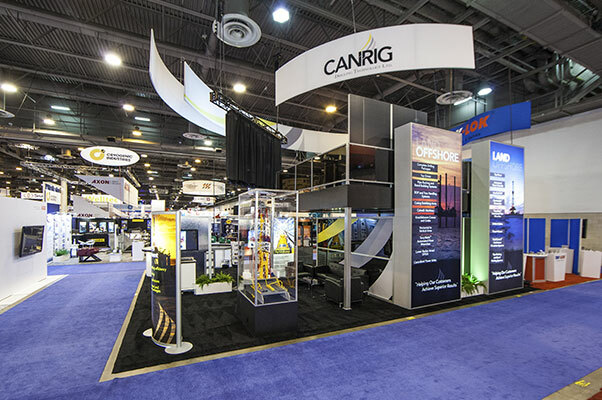 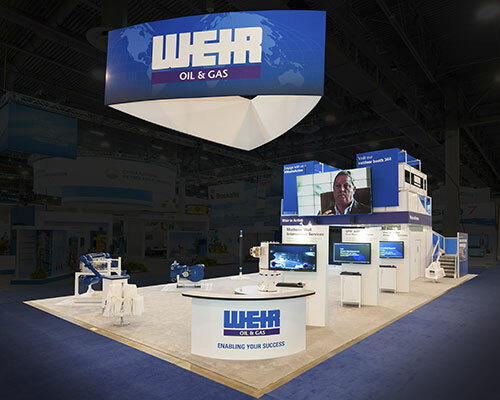 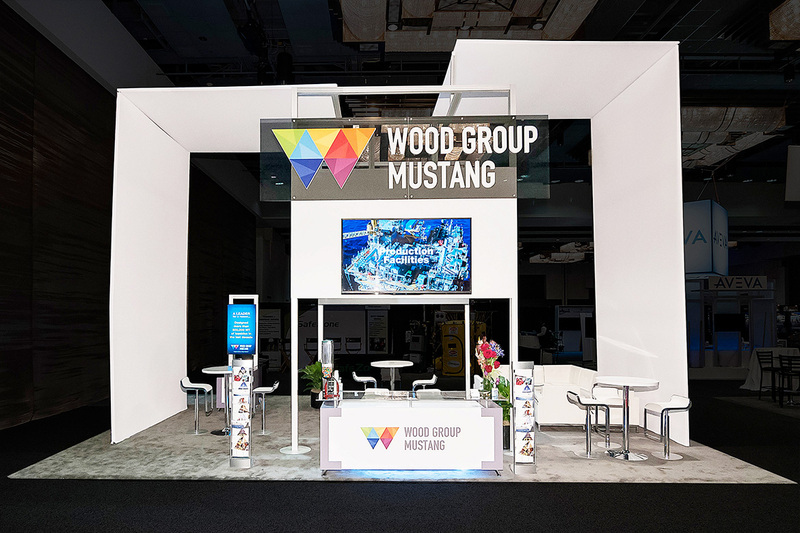 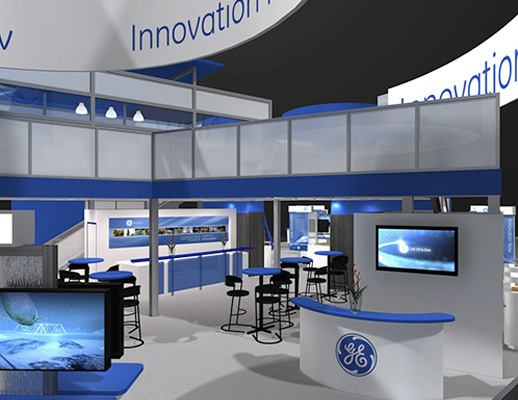 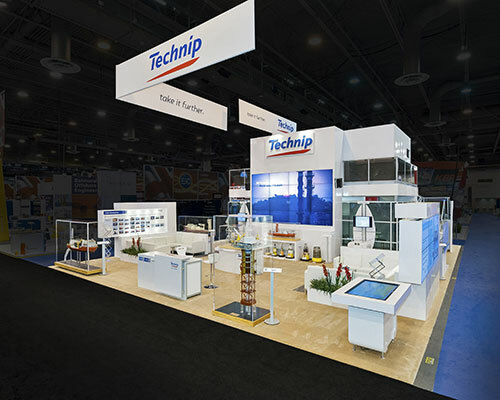 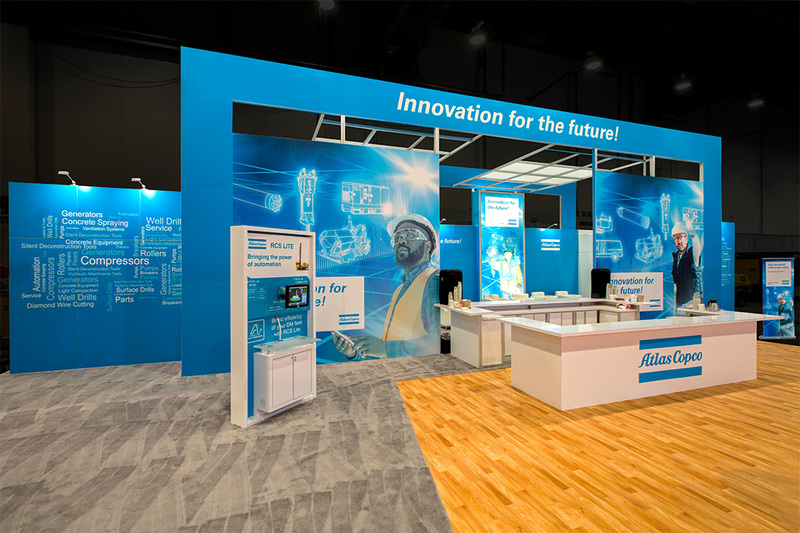 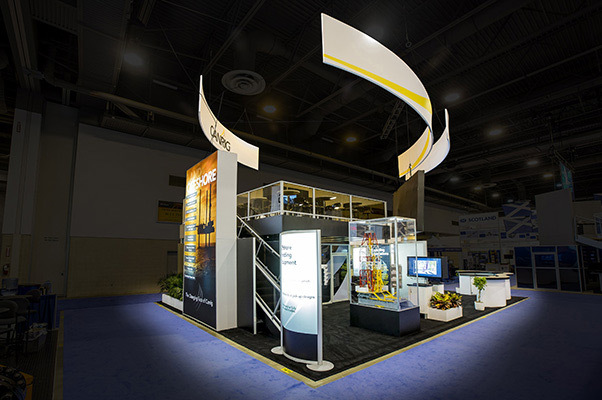 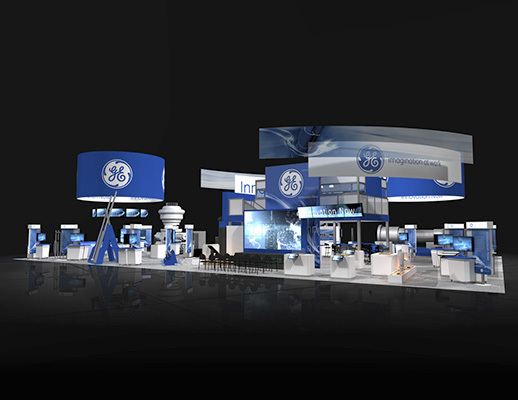 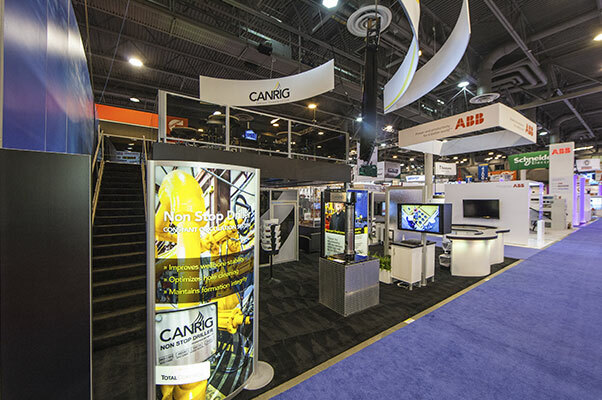 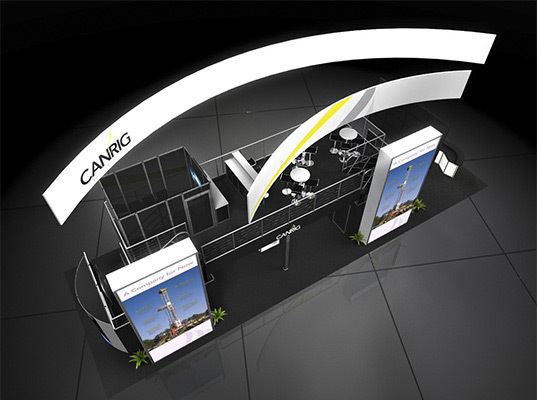 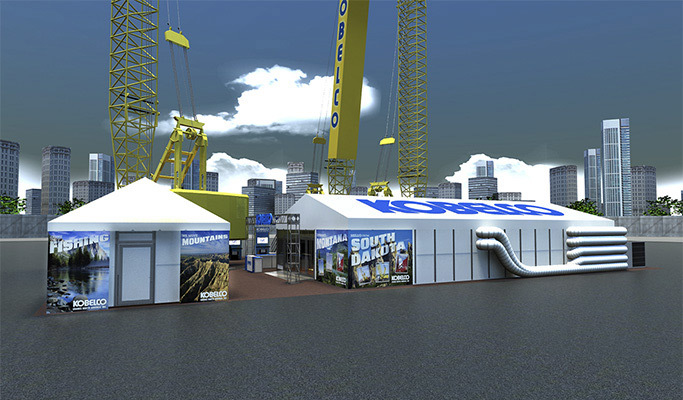 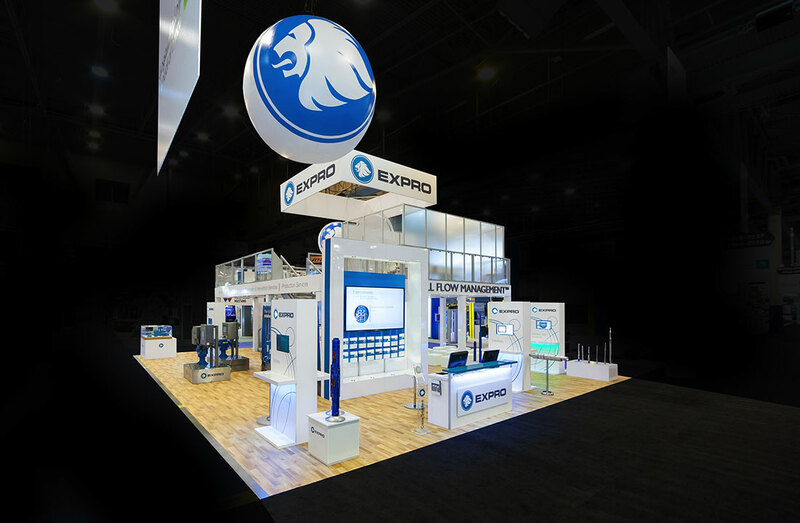 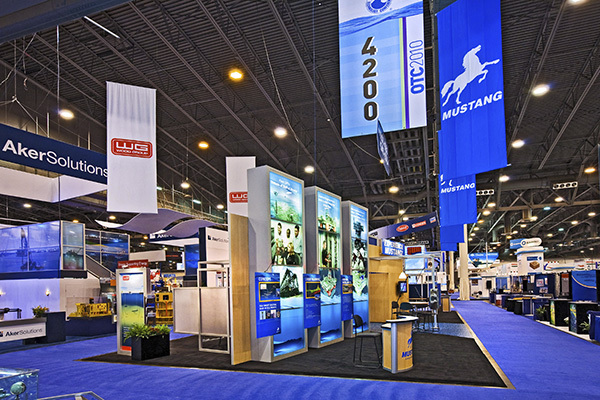 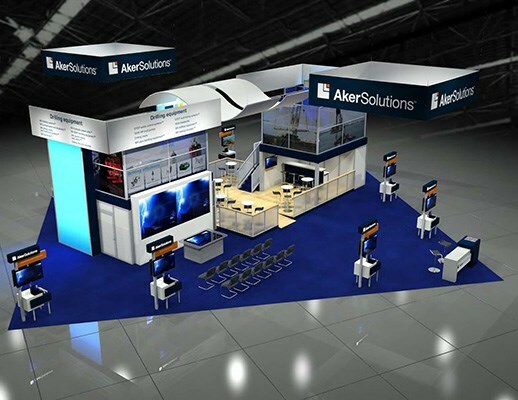 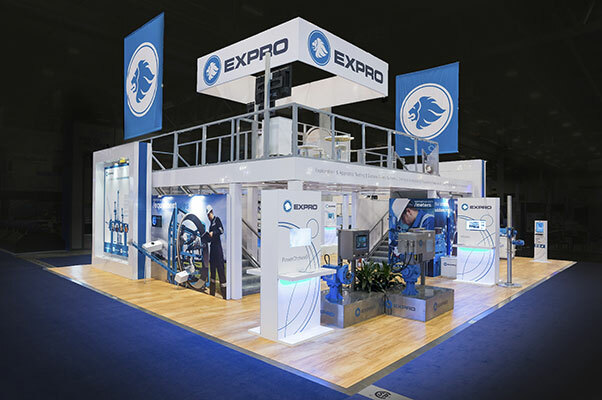 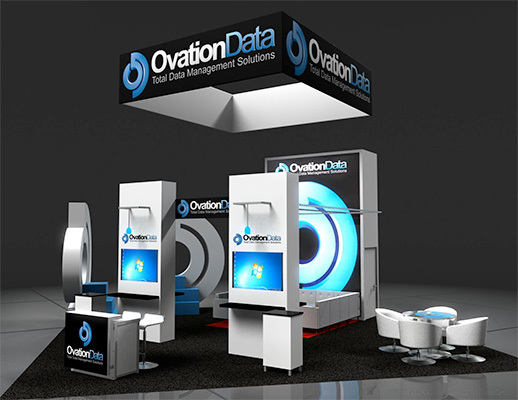 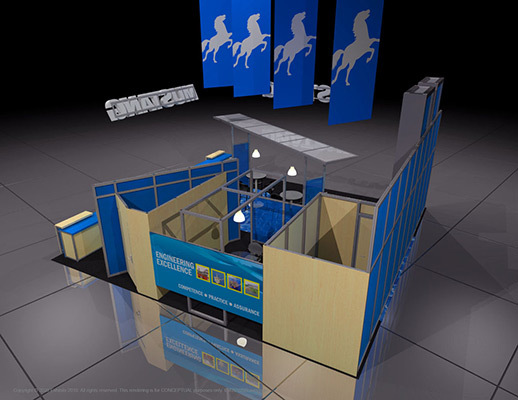 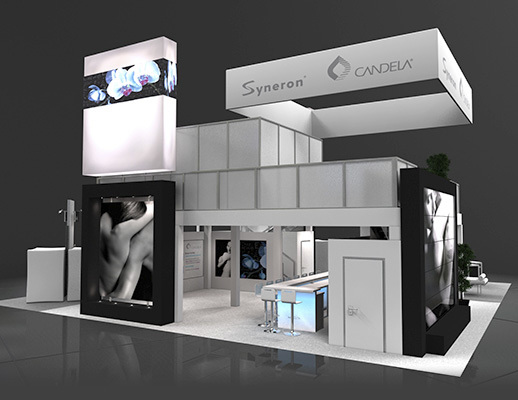 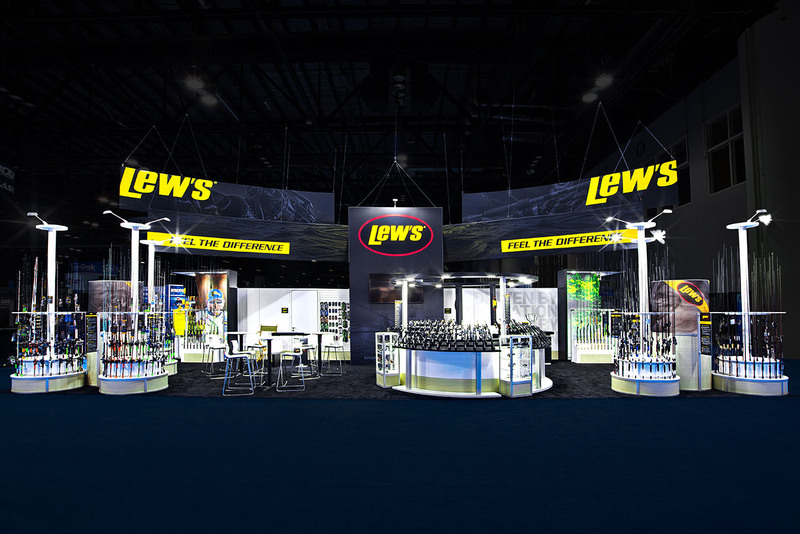 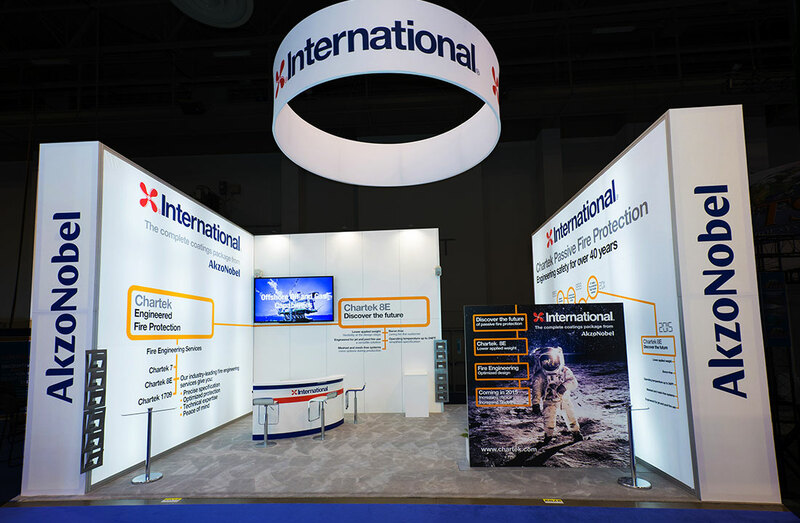 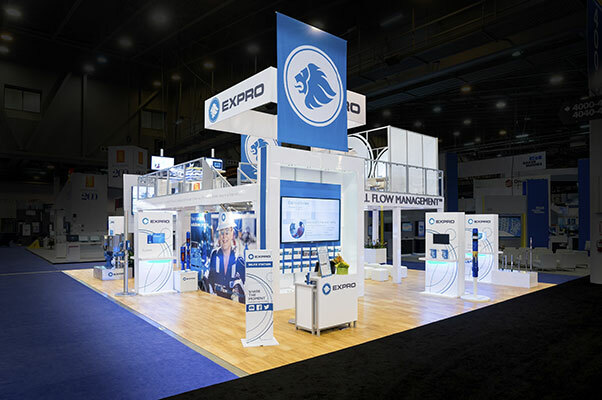 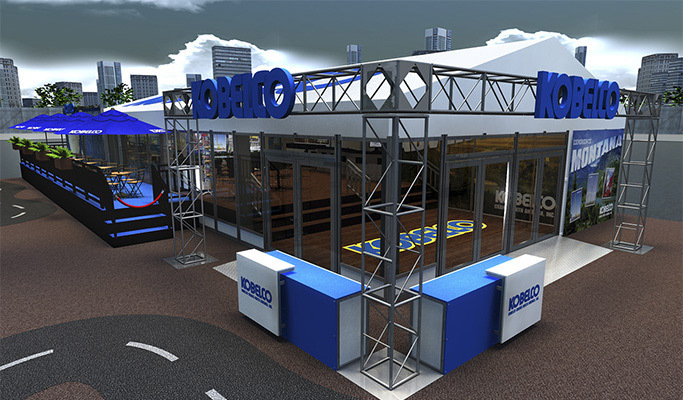 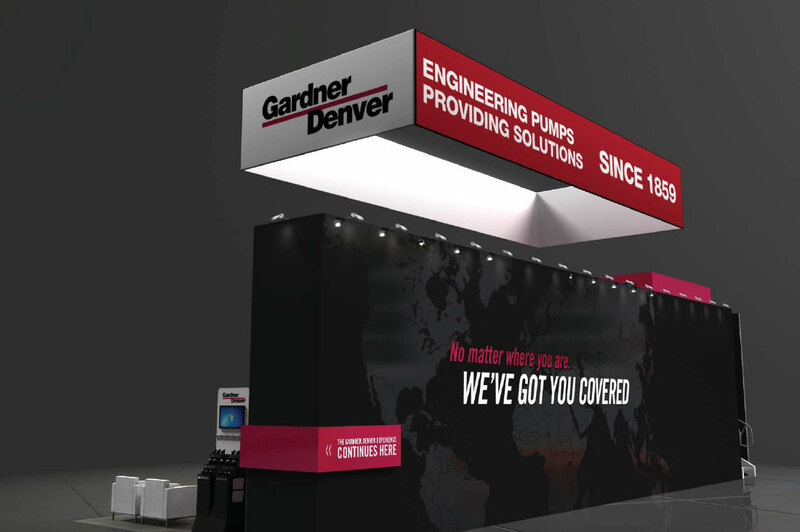 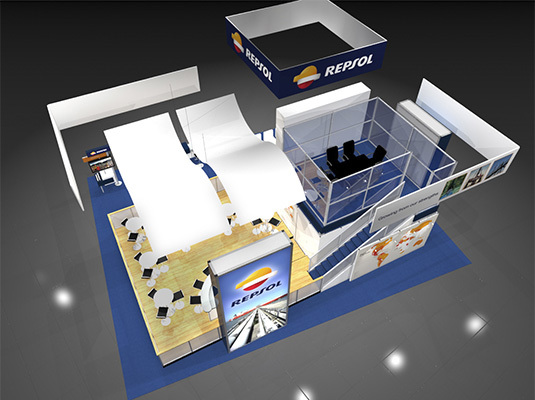 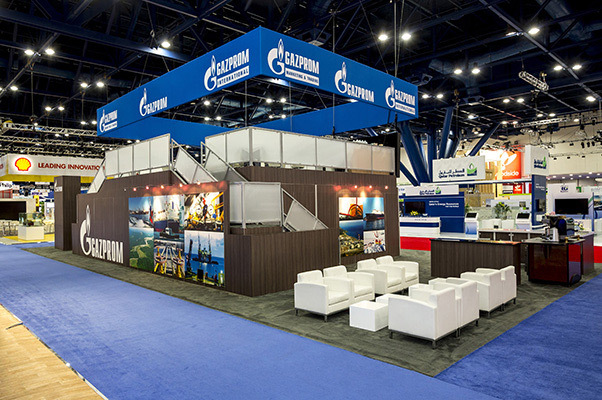 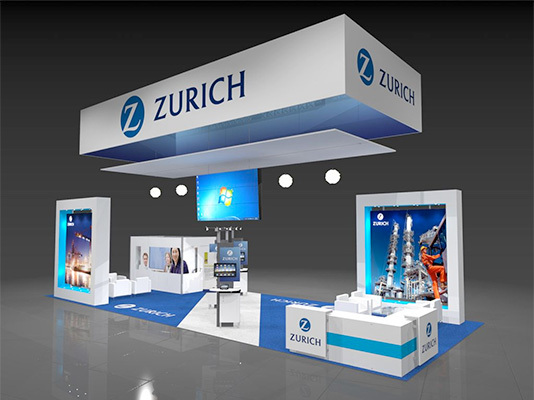 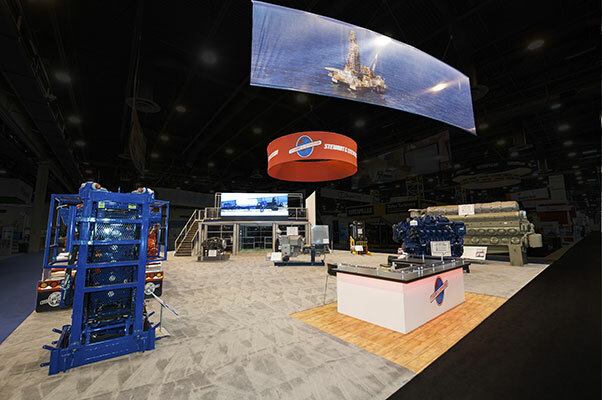 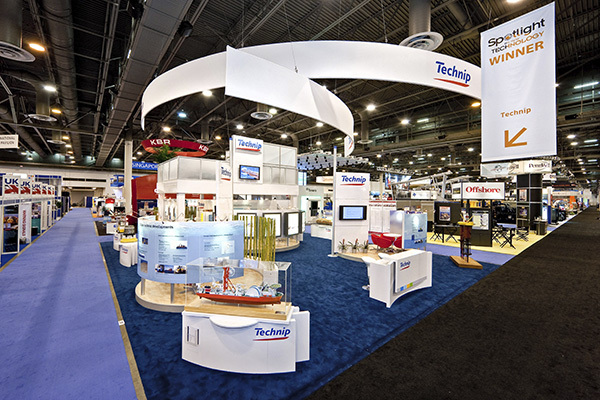 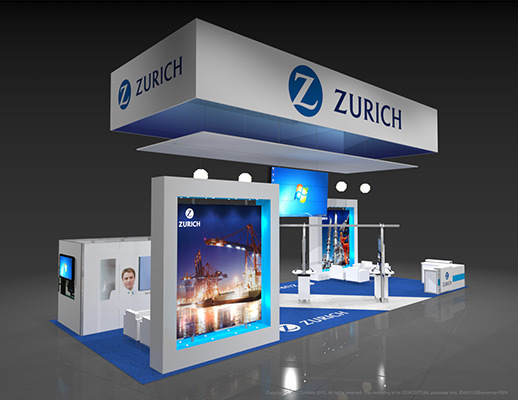 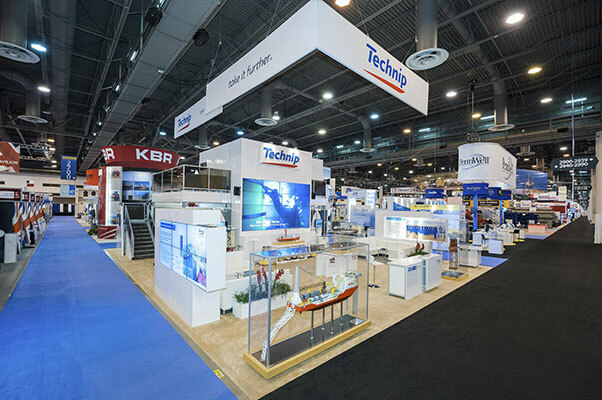 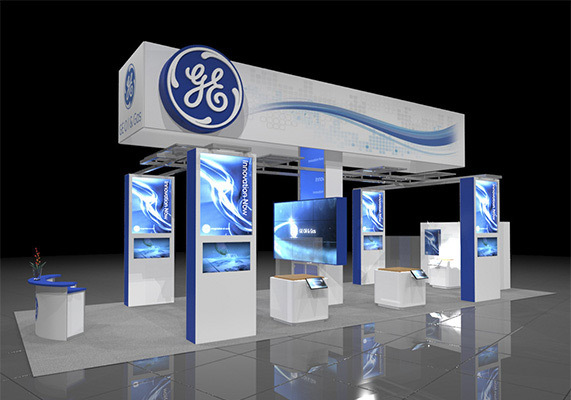 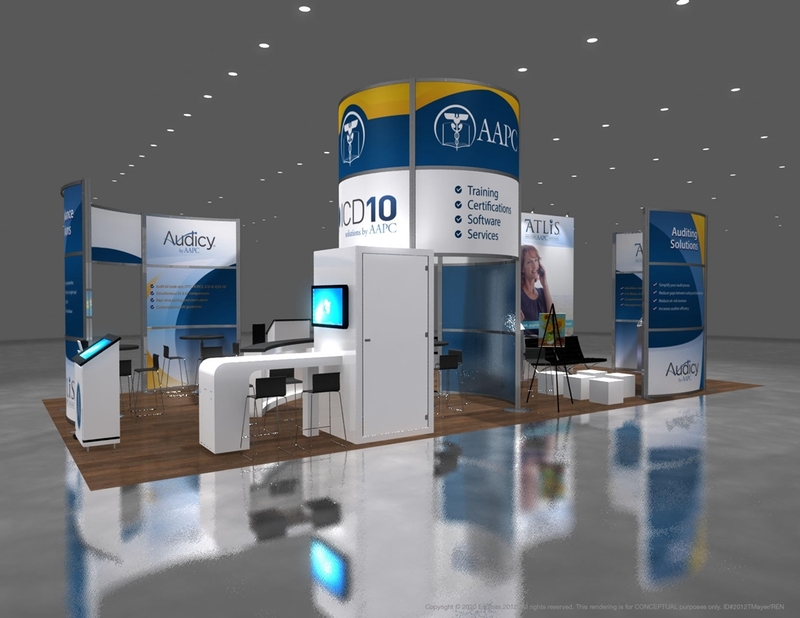 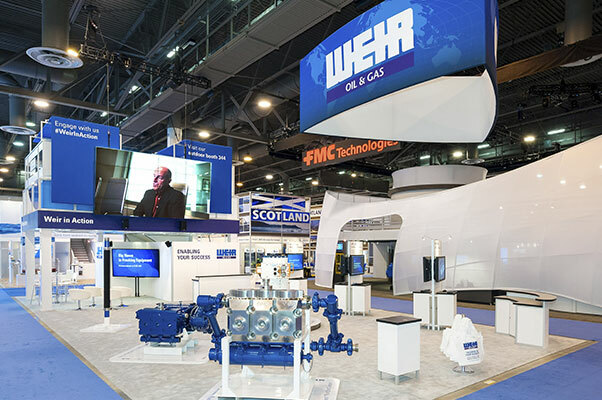 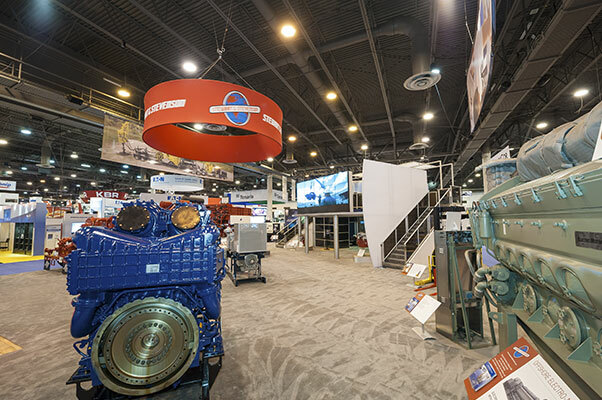 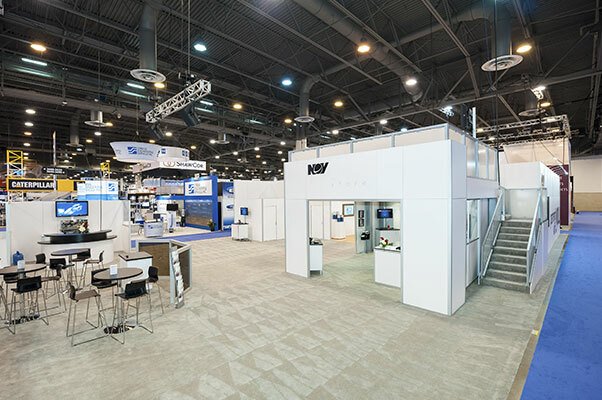 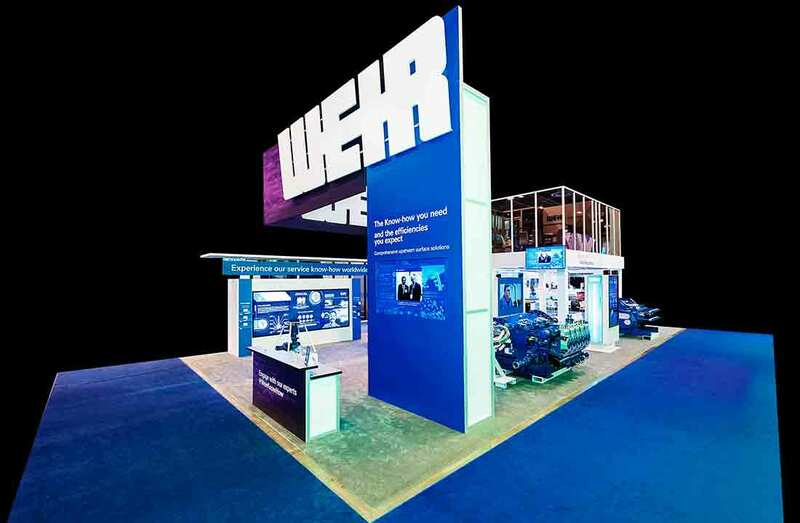 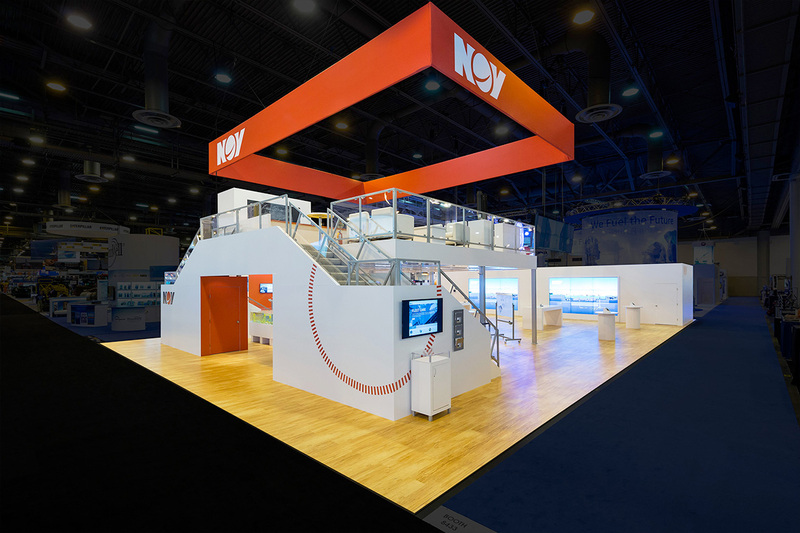 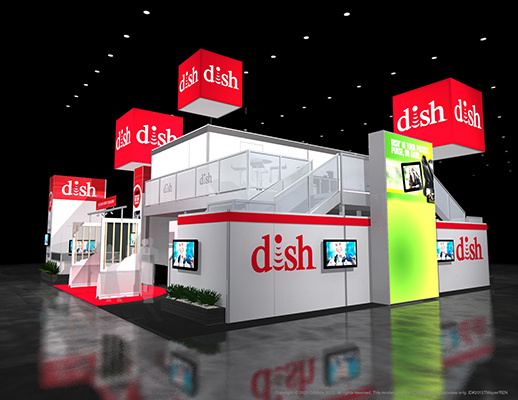 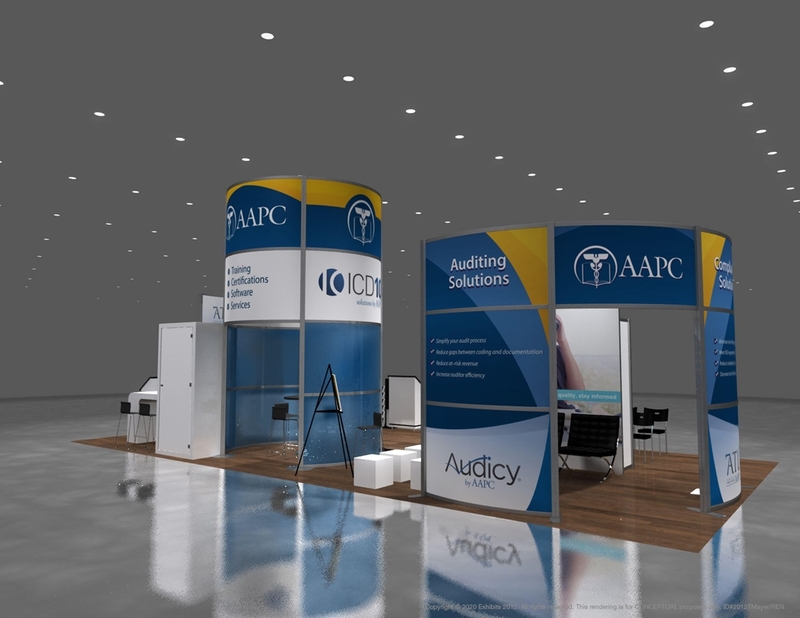 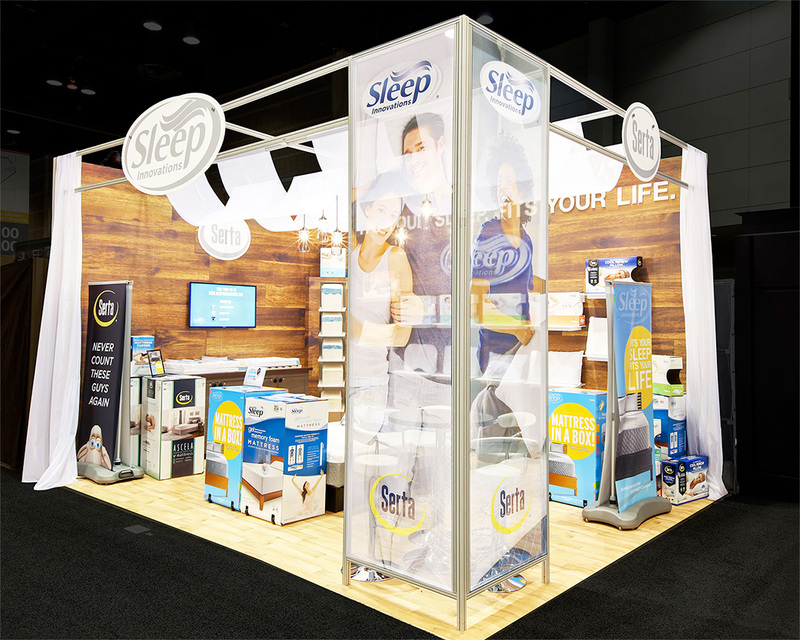 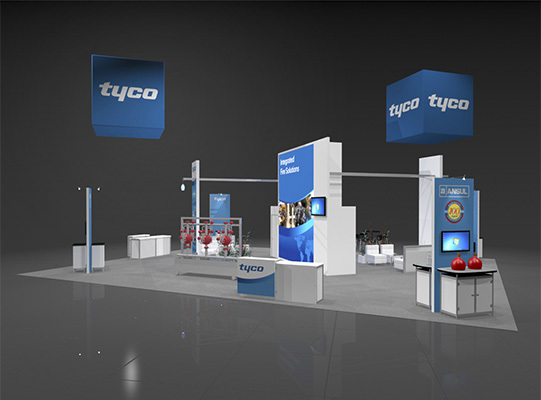 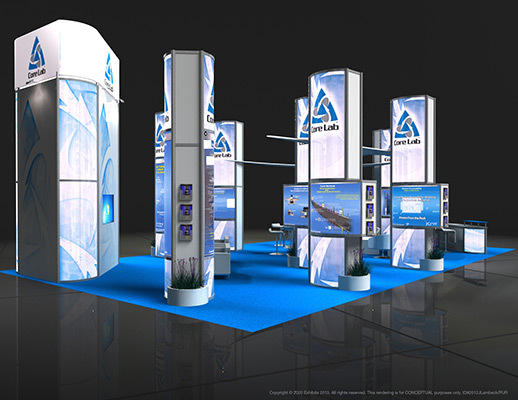 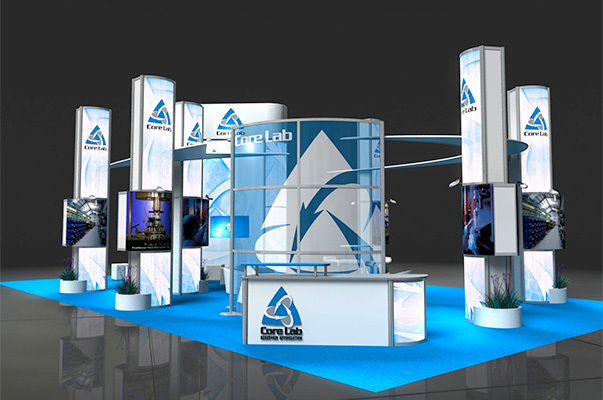 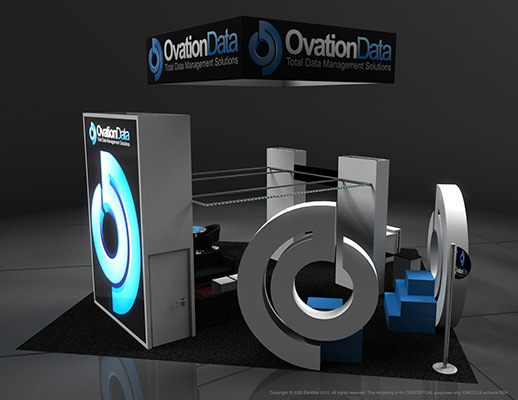 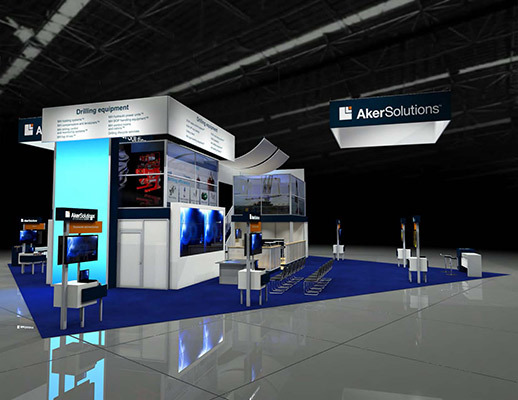 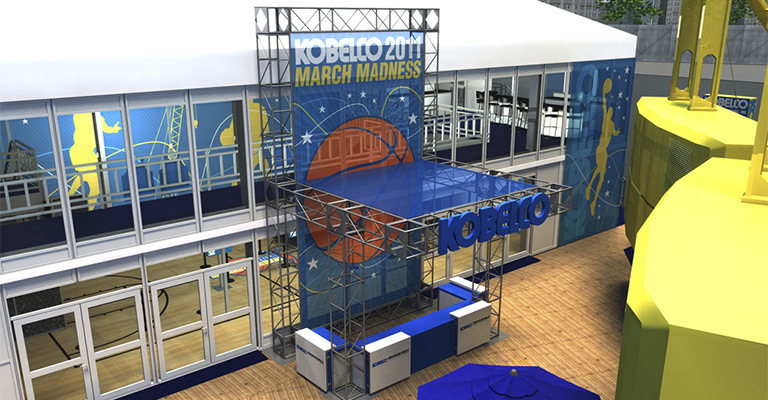 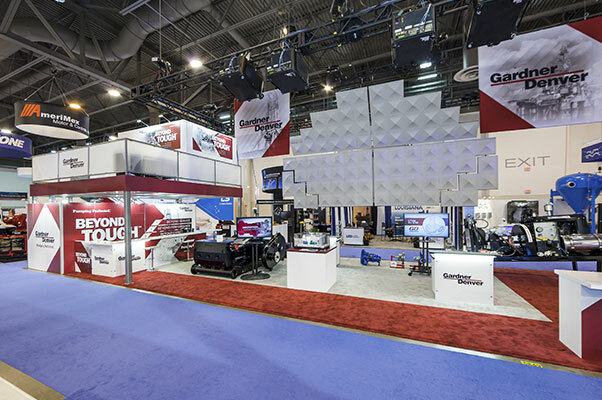 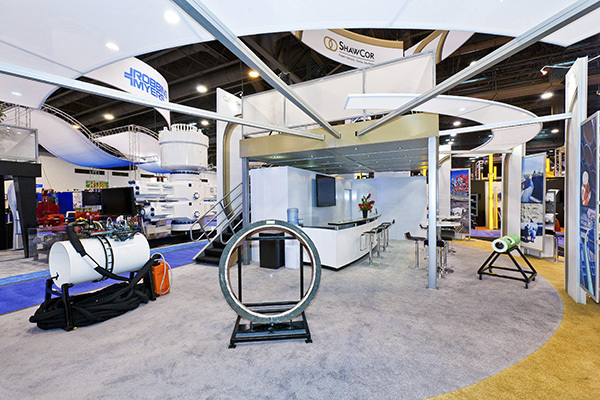 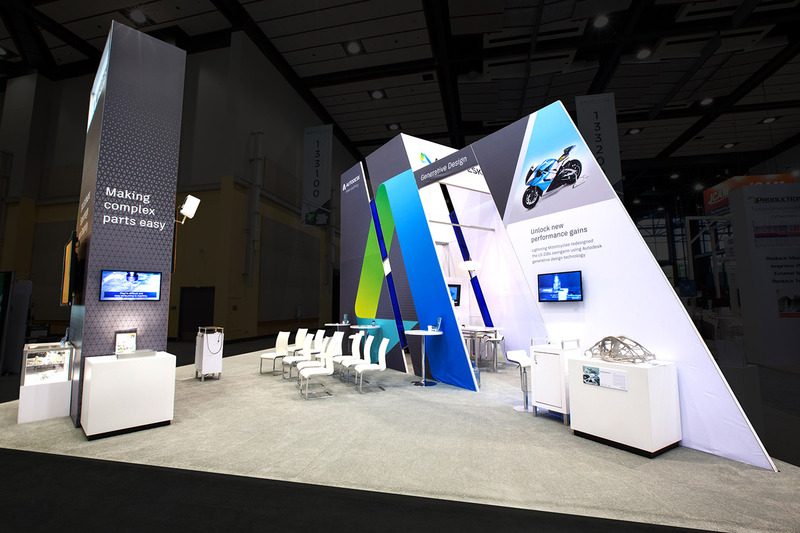 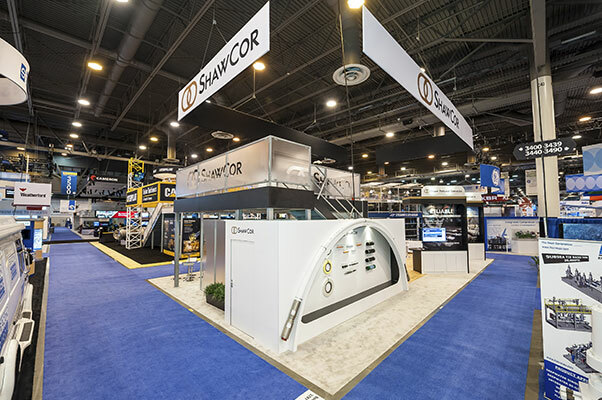 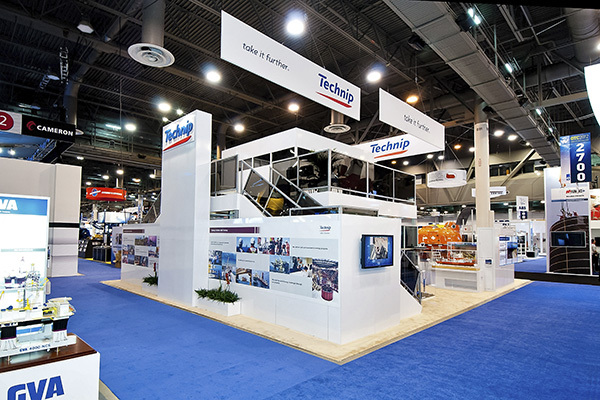 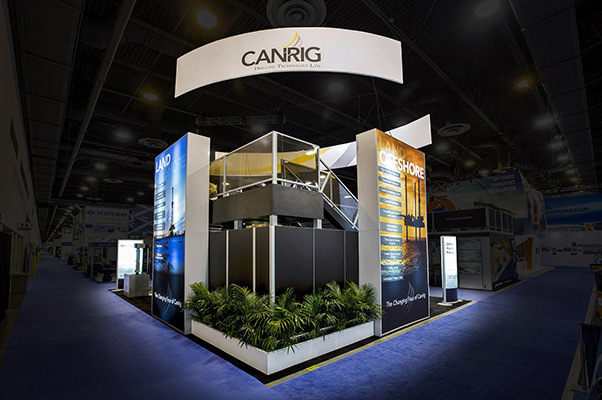 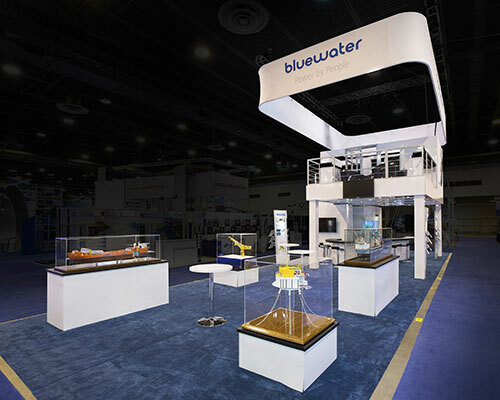 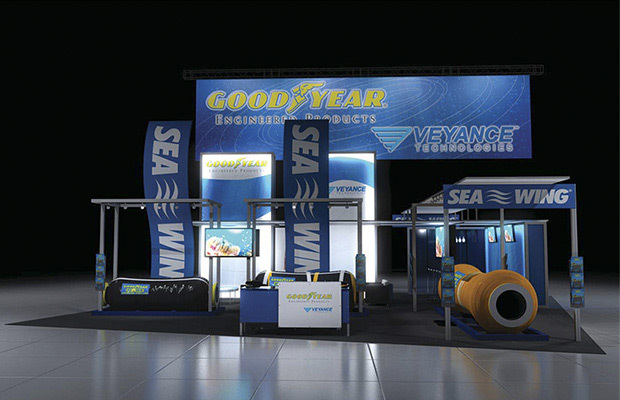 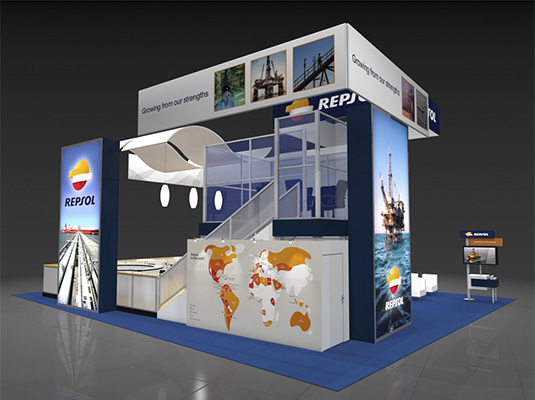 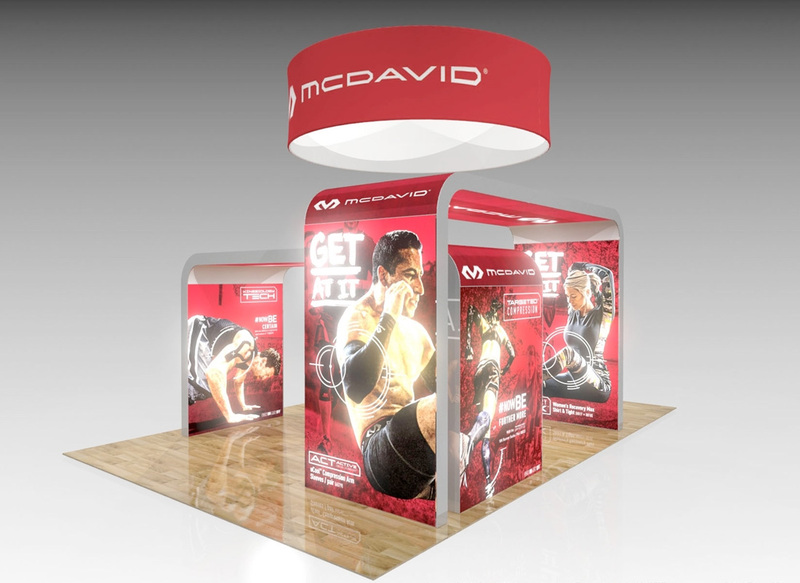 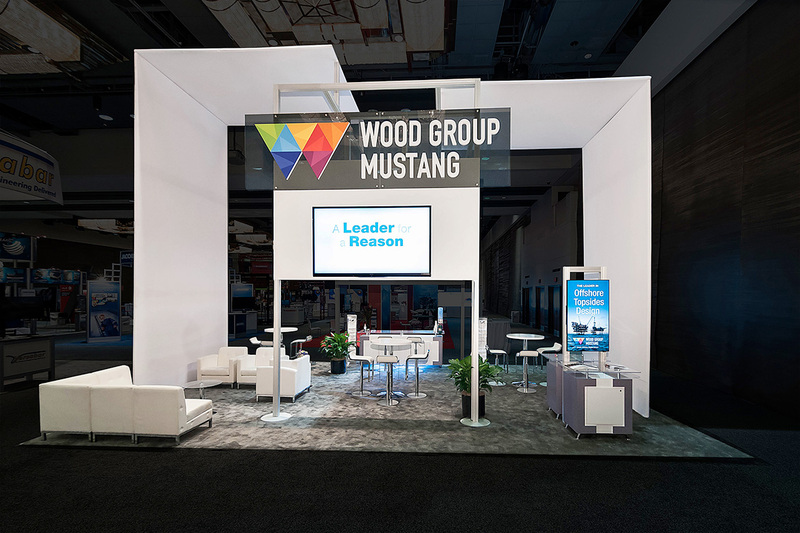 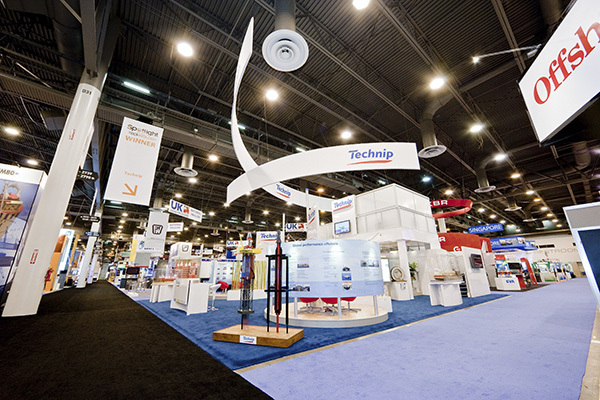 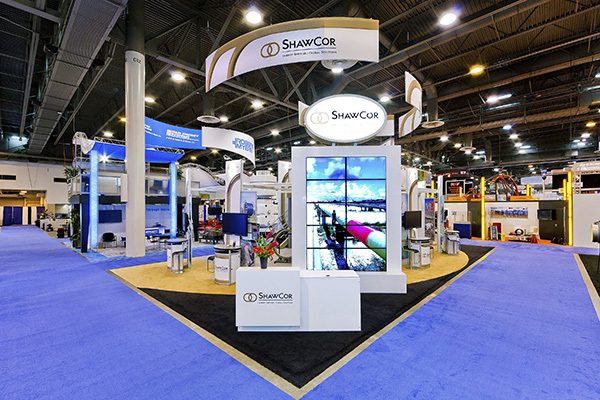 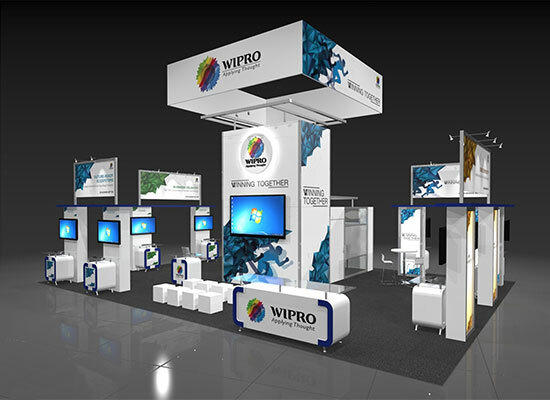 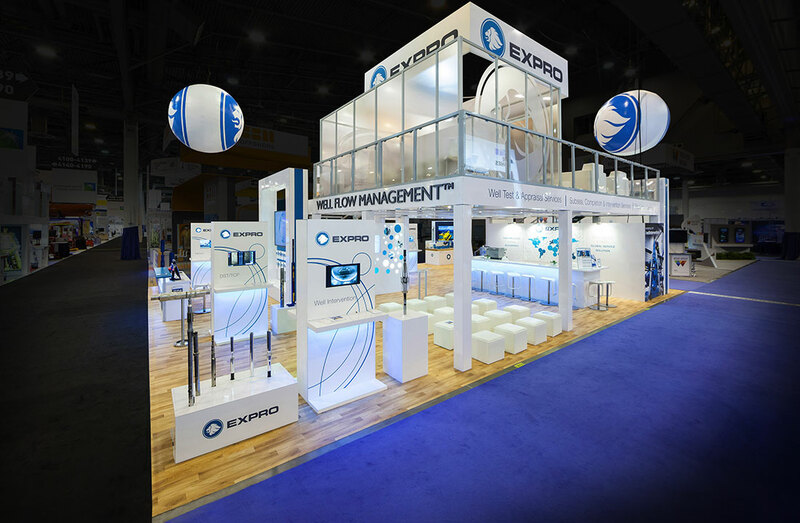 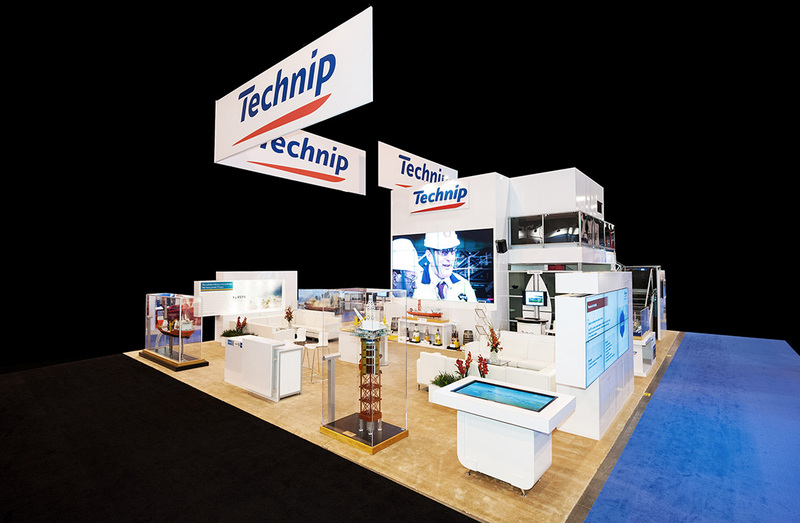 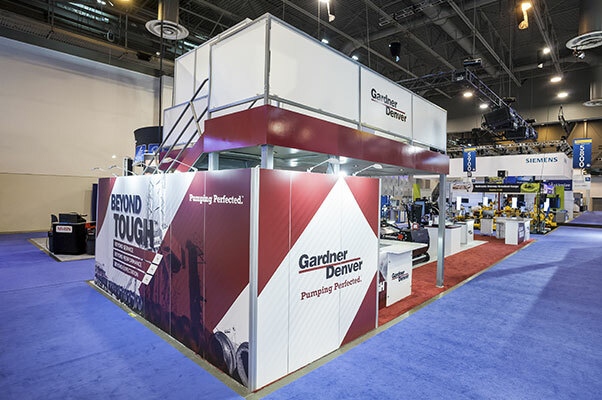 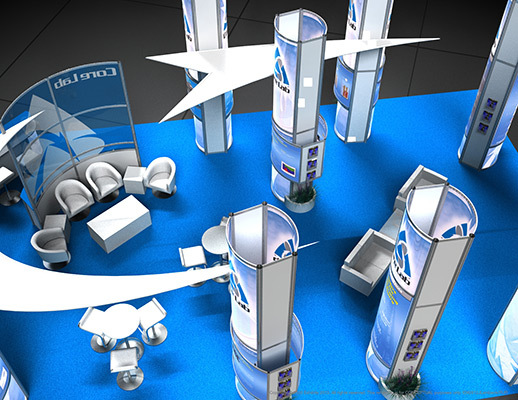 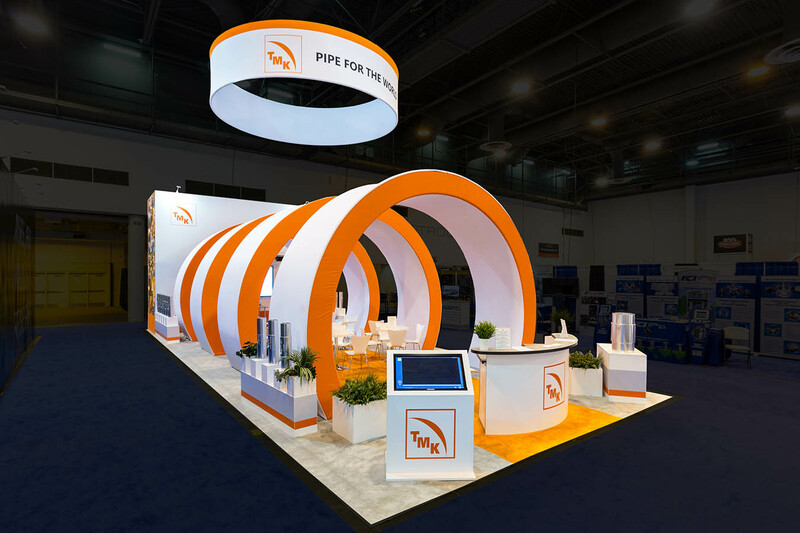 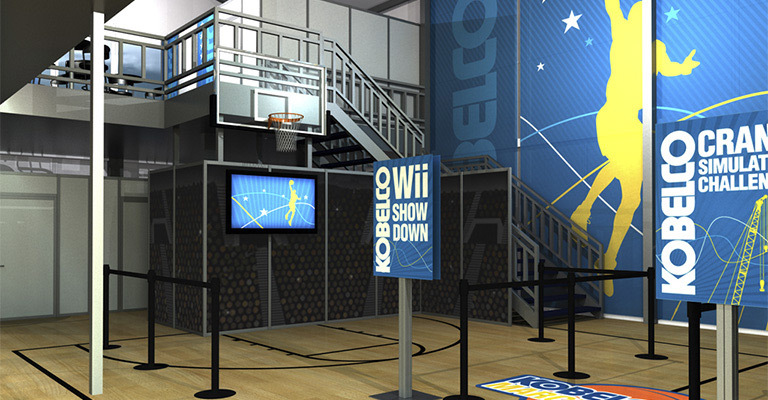 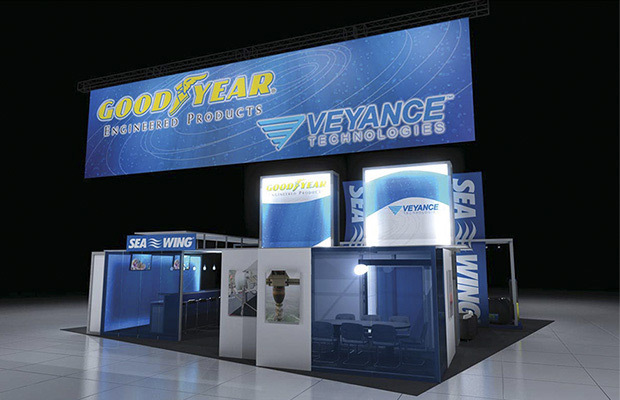 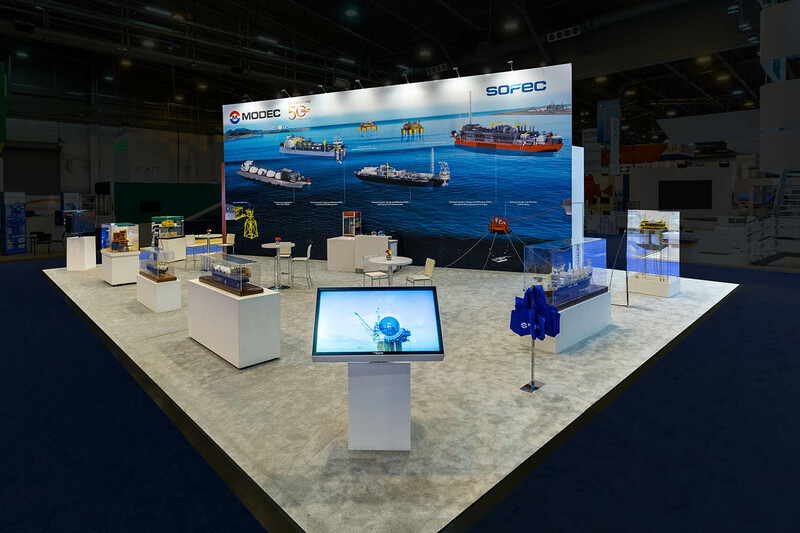 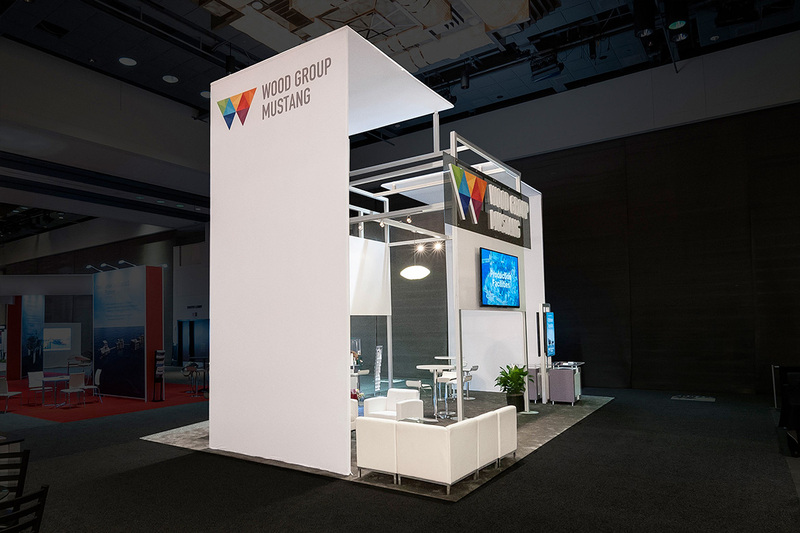 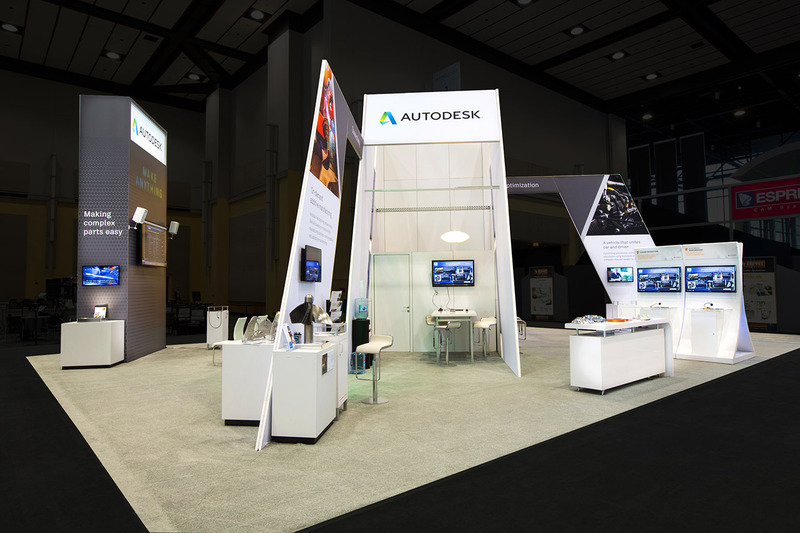 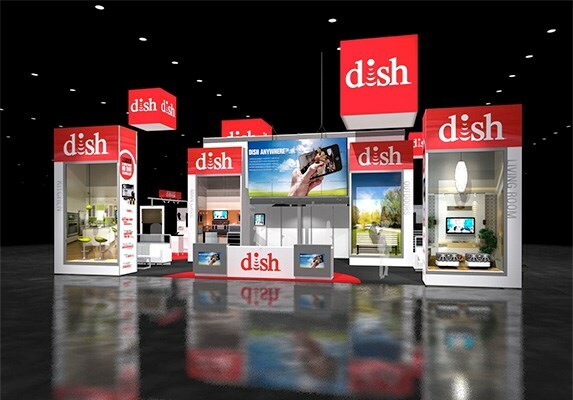 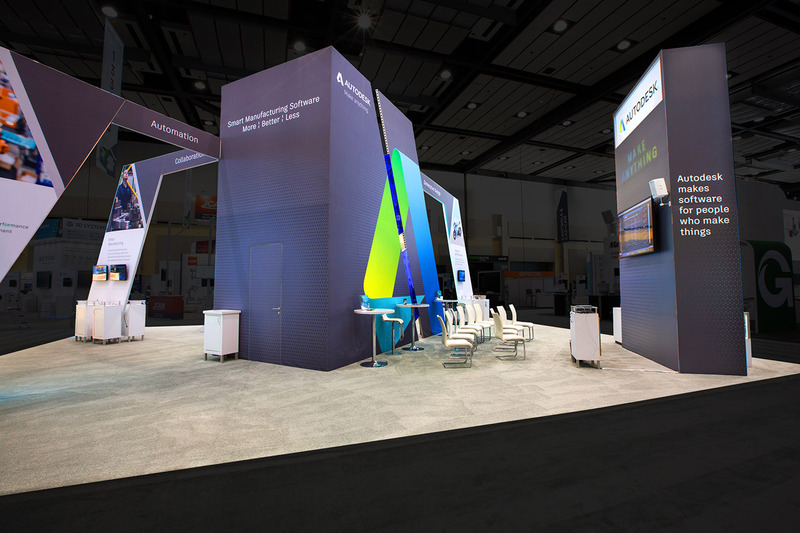 Curved overhead graphic signage and curved graphic banners draw the attention into the exhibit environment. 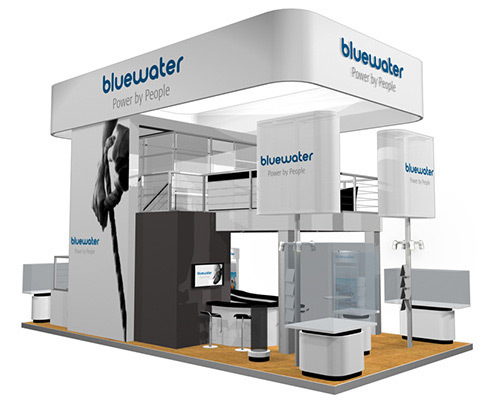 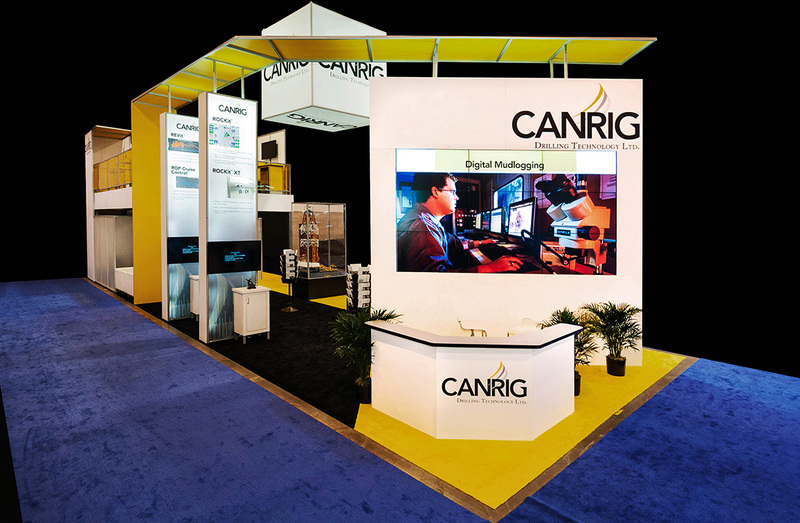 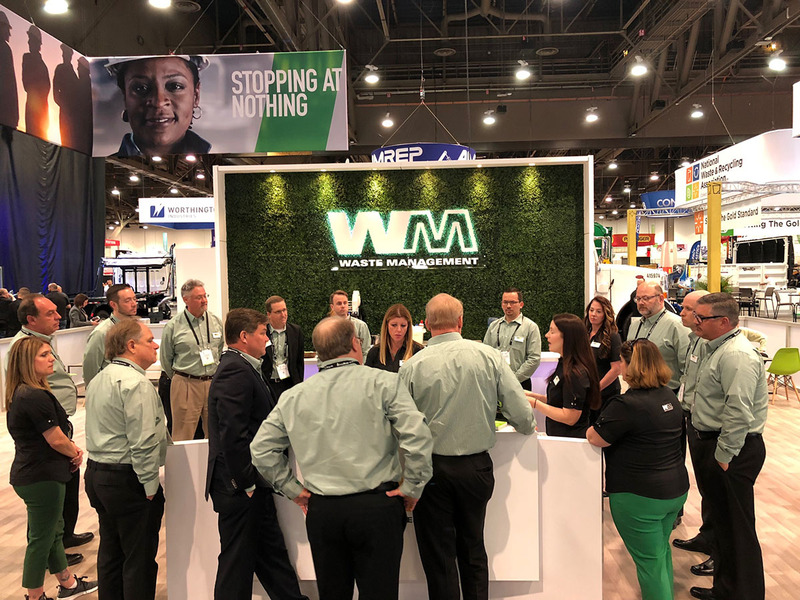 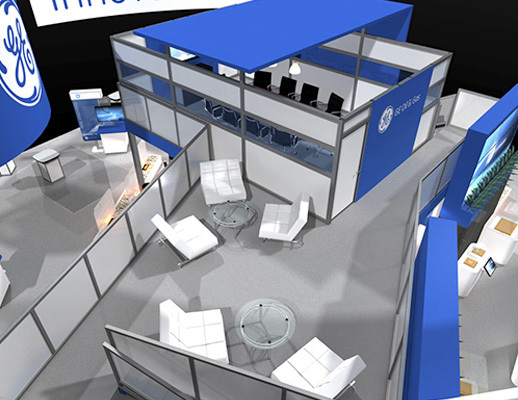 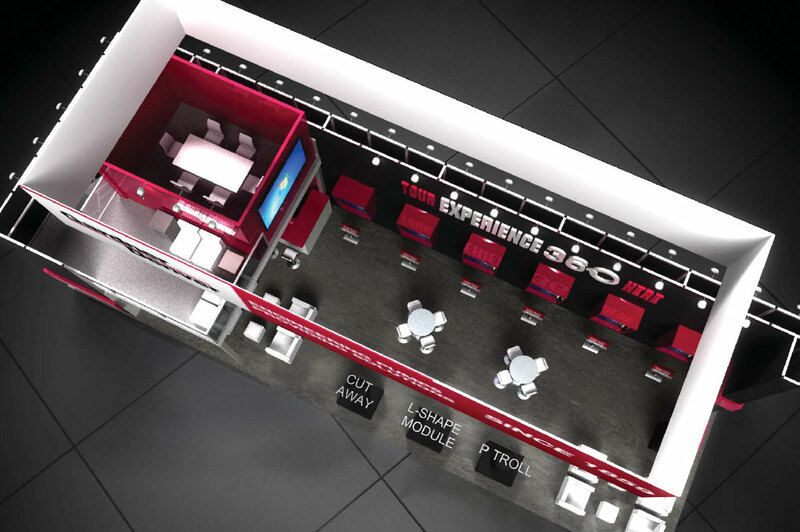 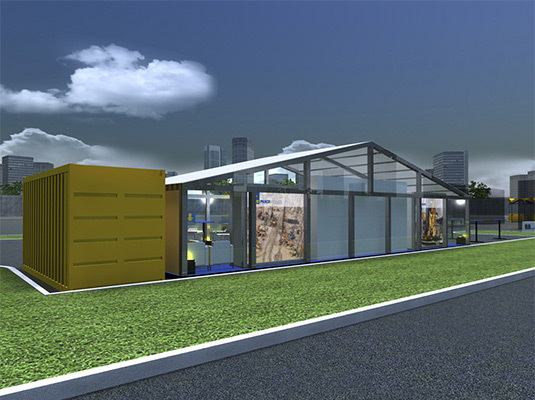 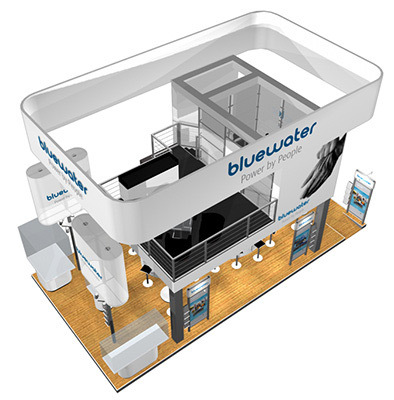 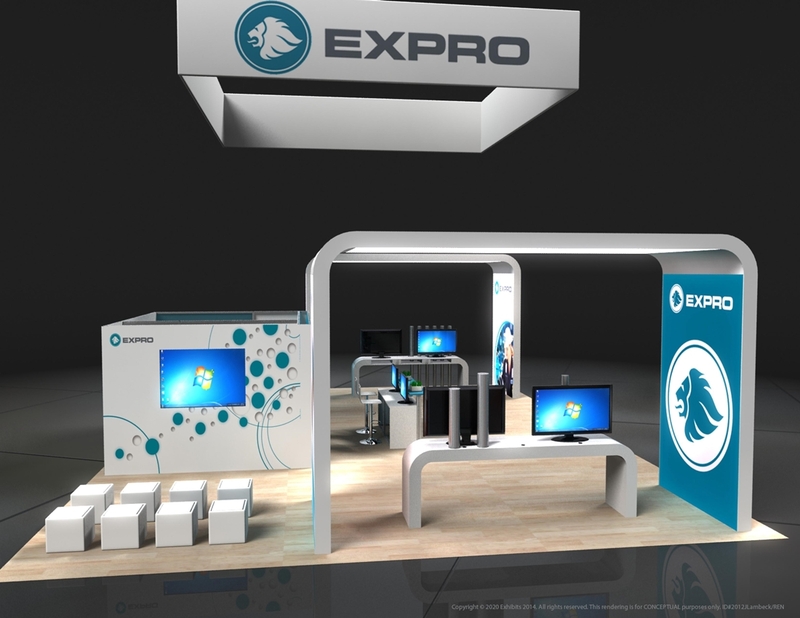 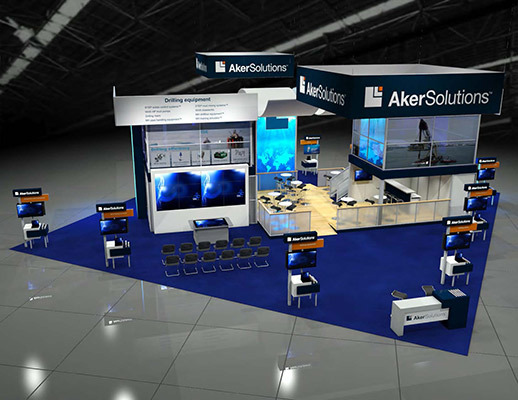 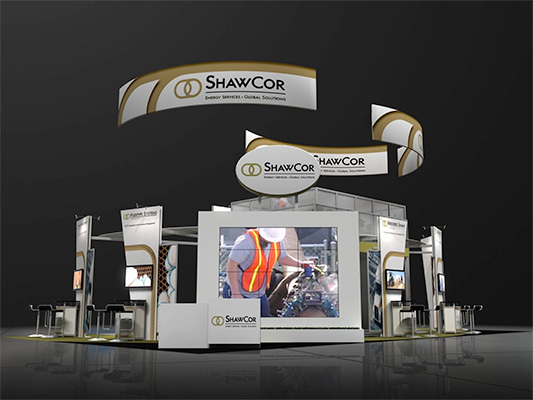 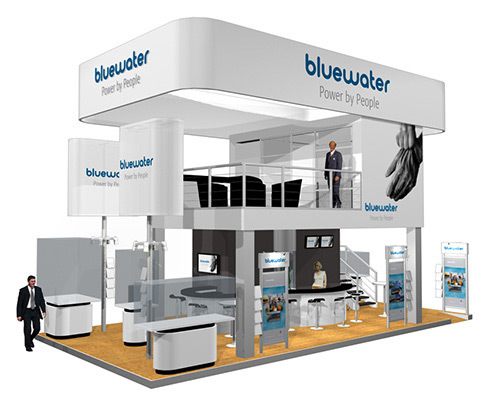 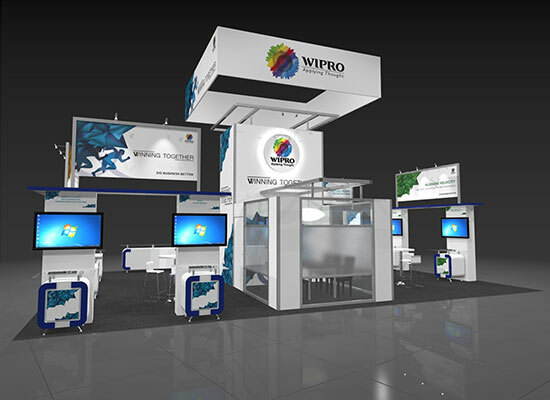 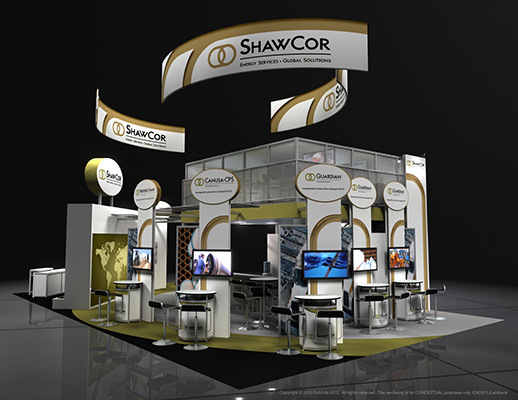 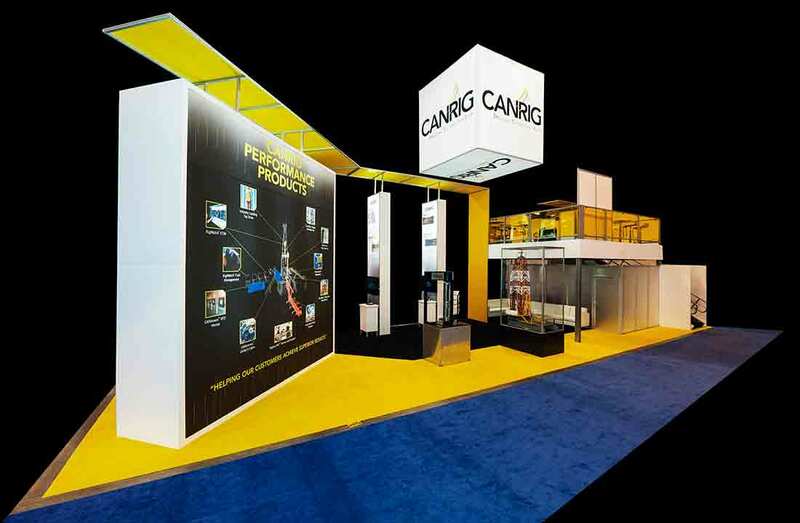 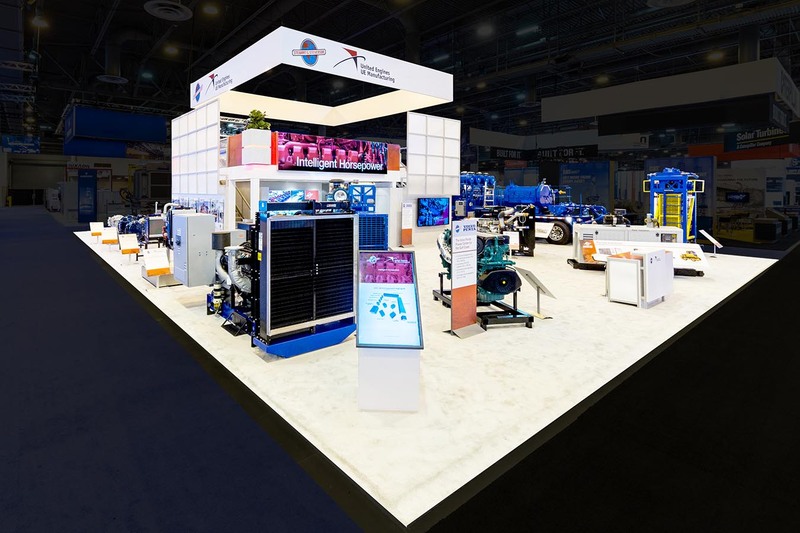 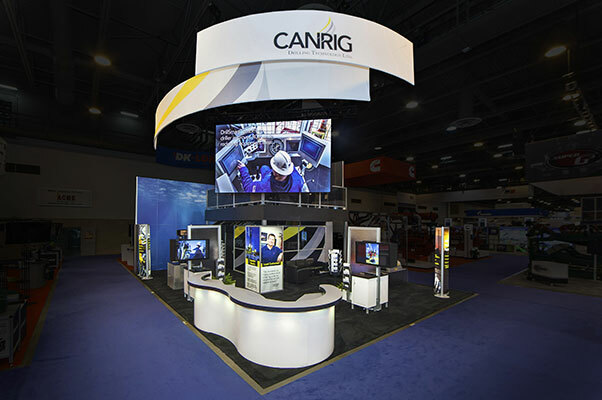 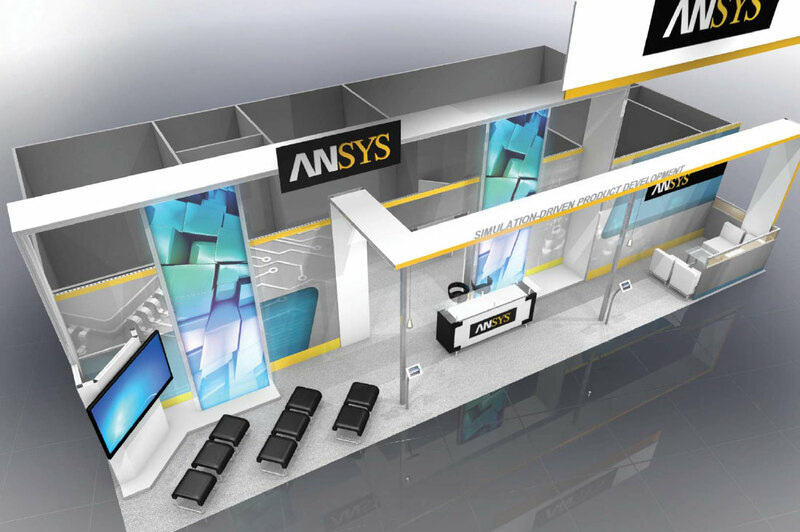 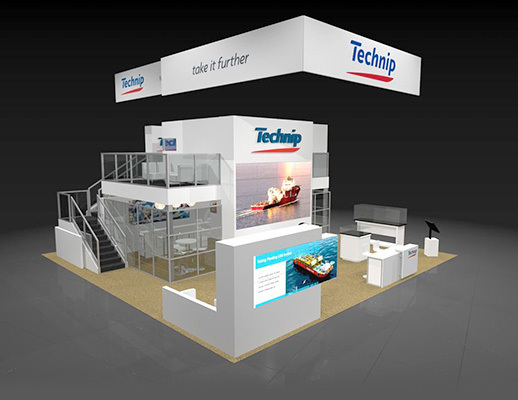 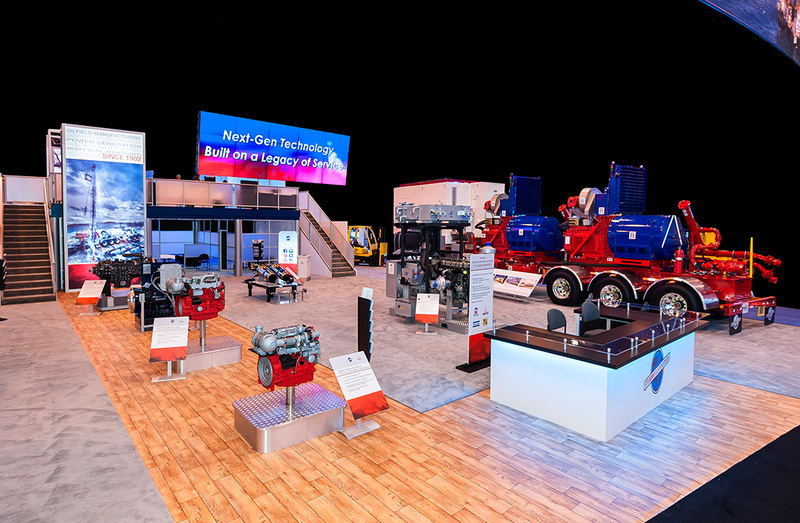 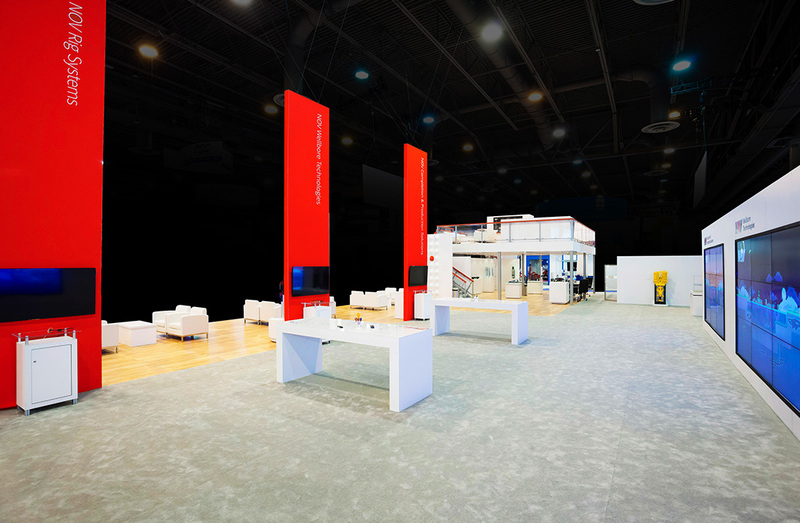 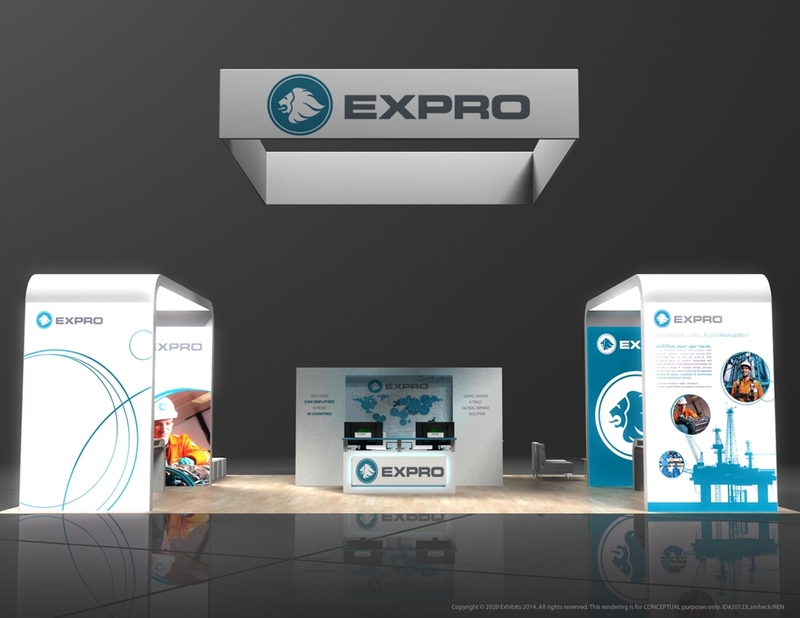 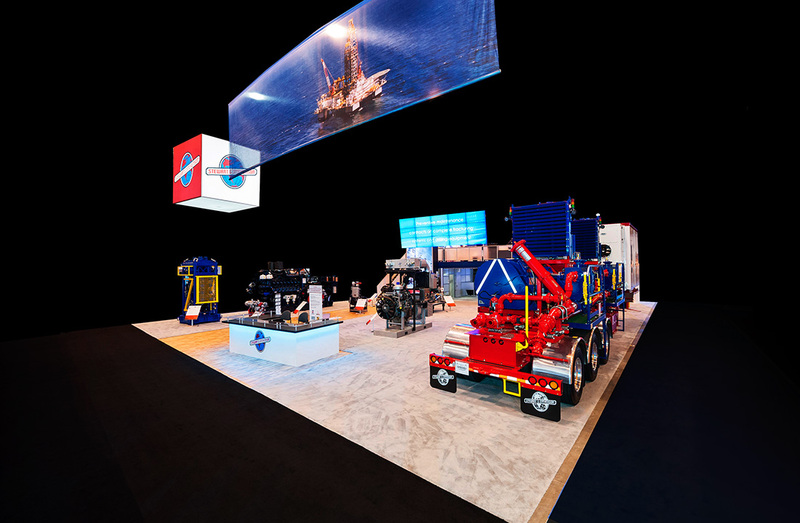 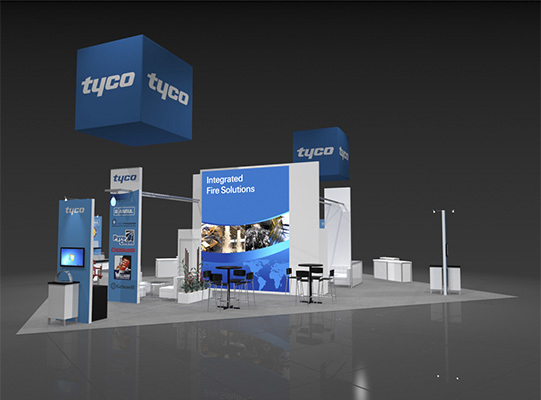 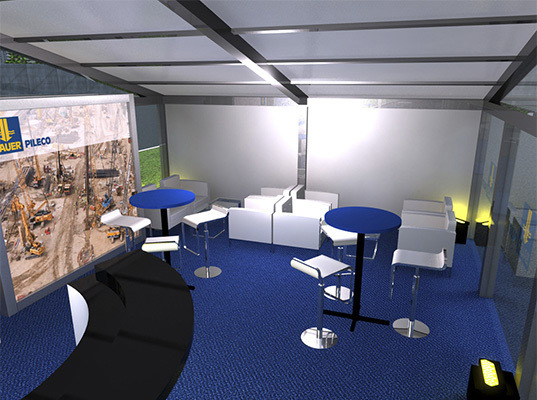 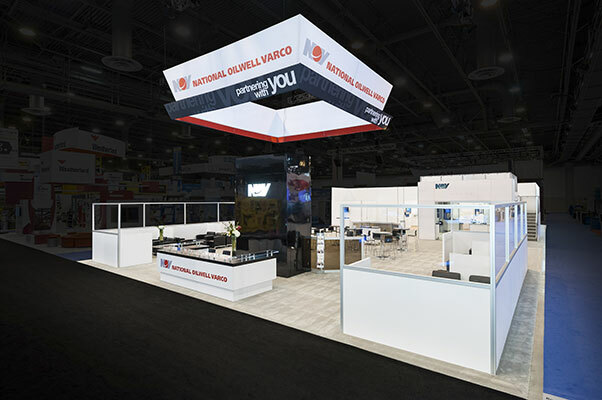 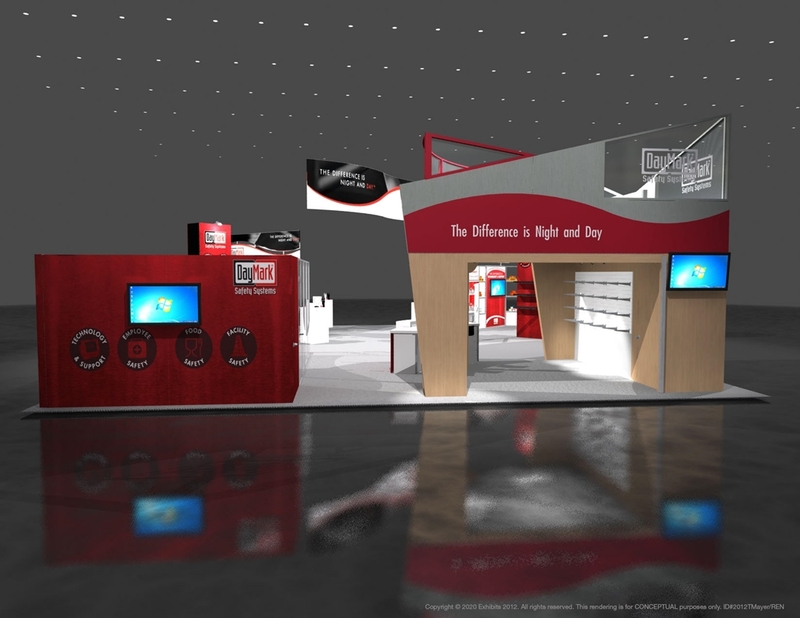 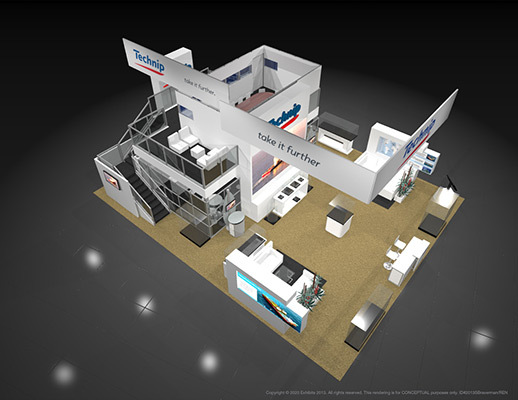 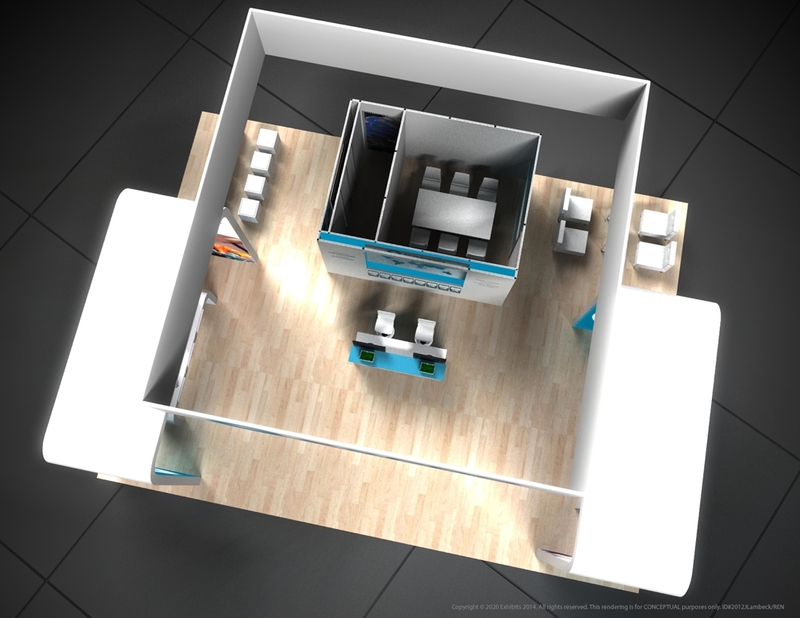 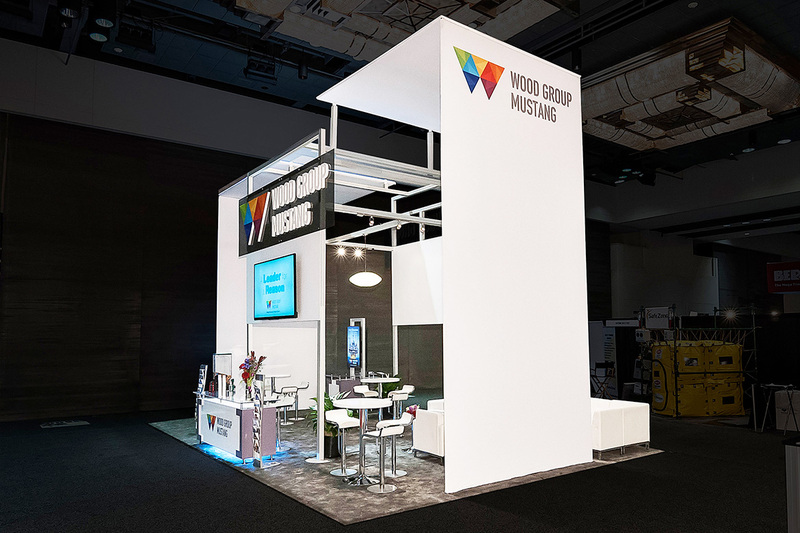 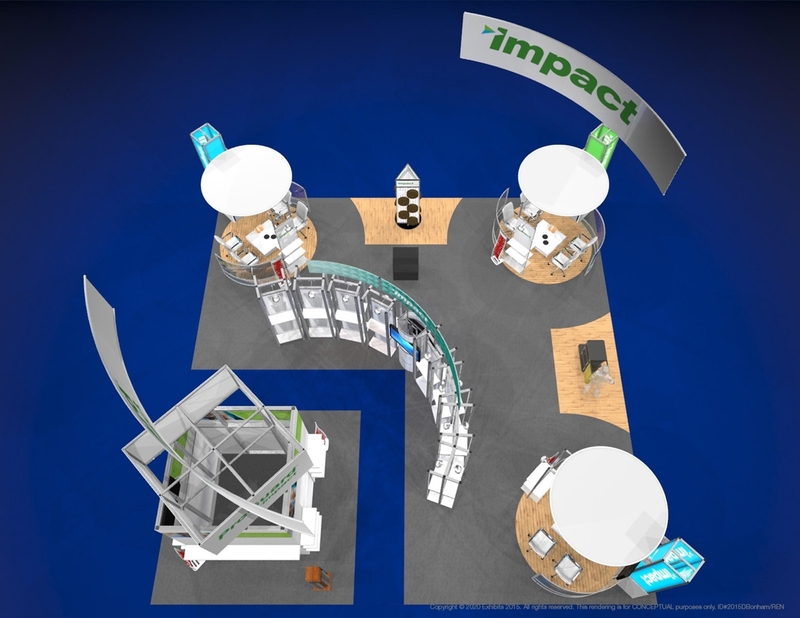 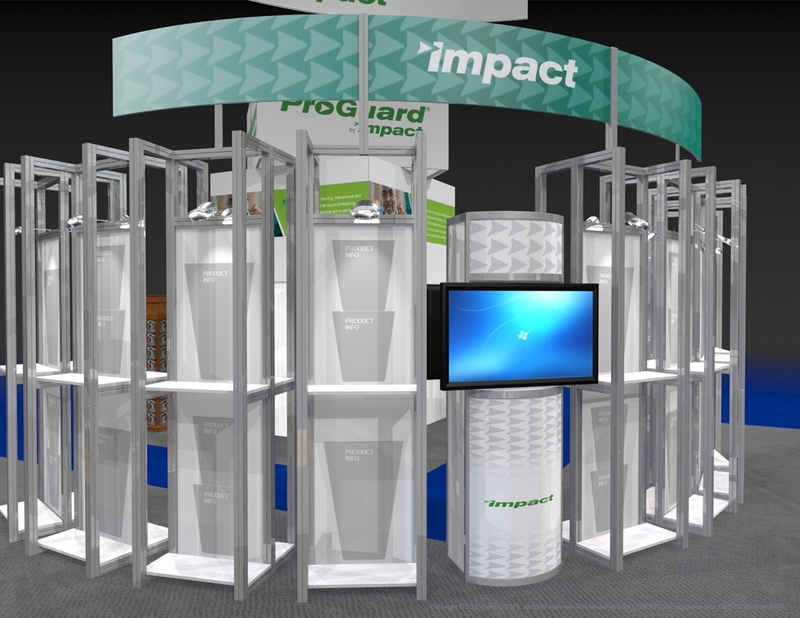 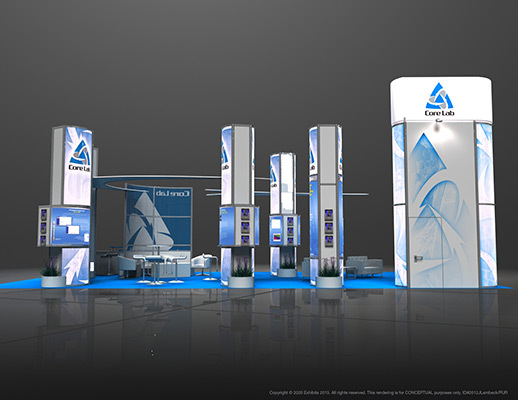 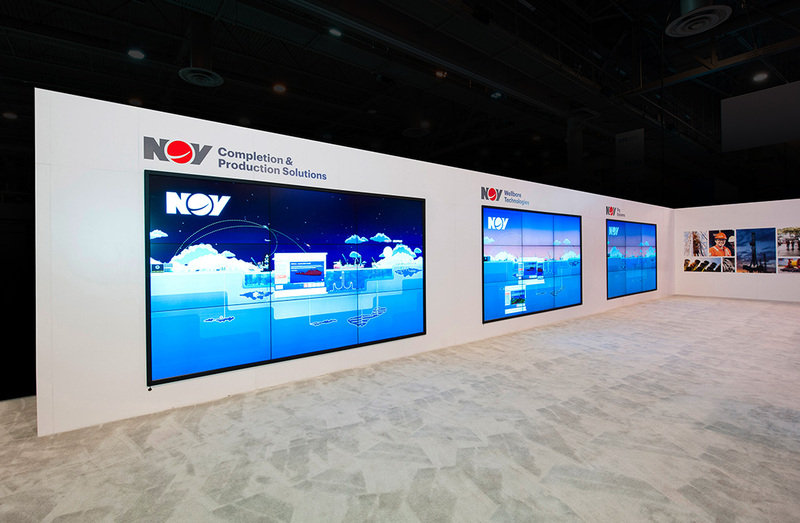 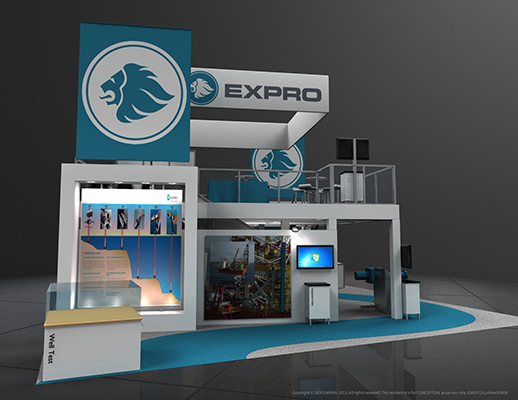 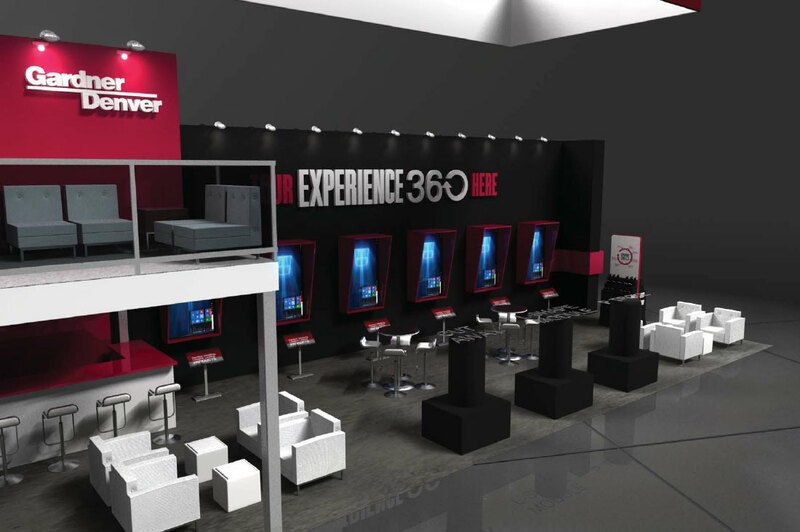 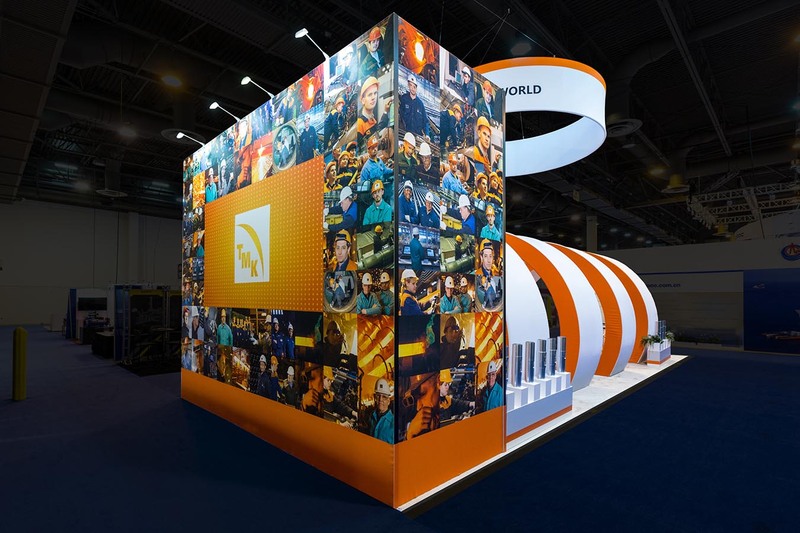 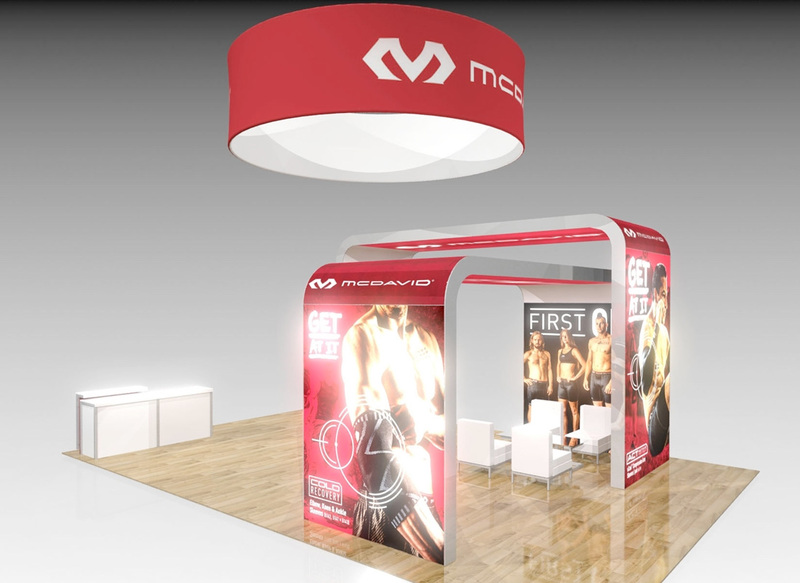 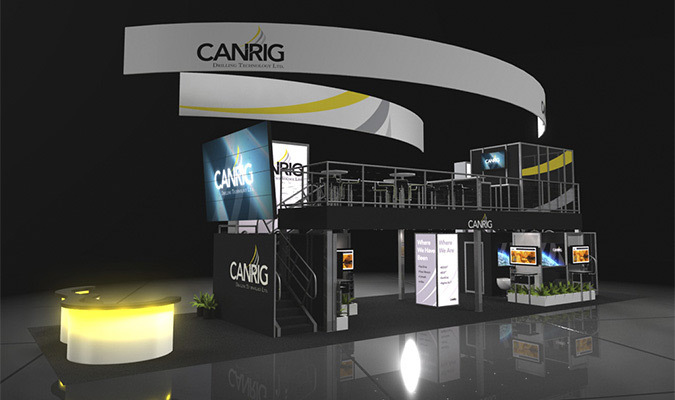 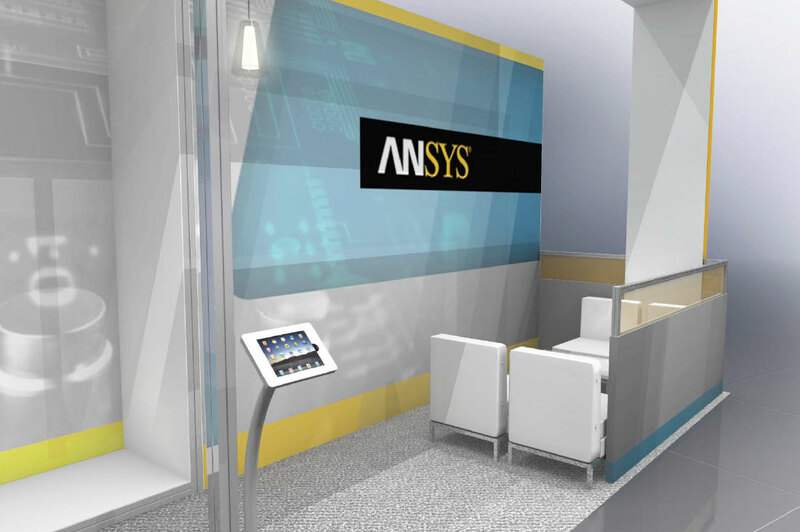 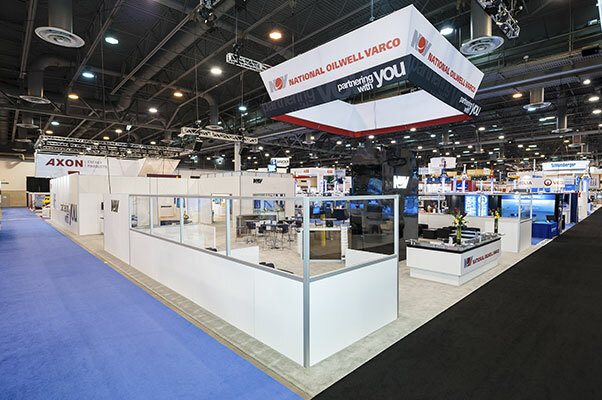 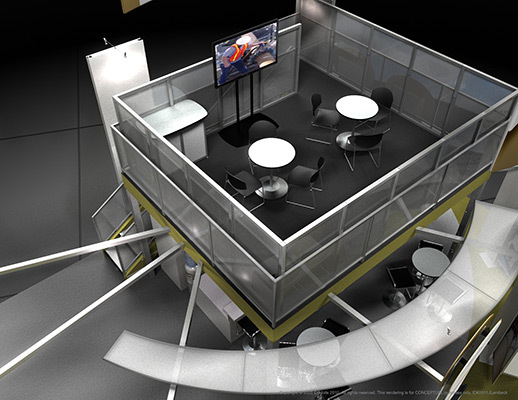 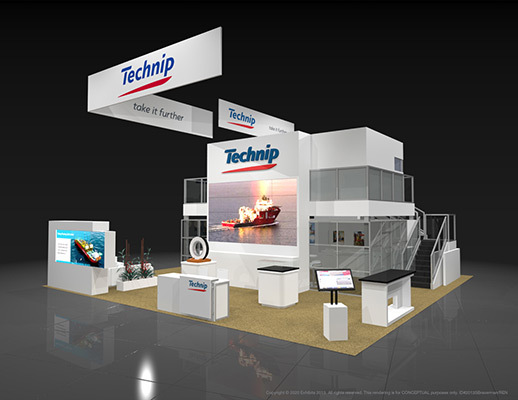 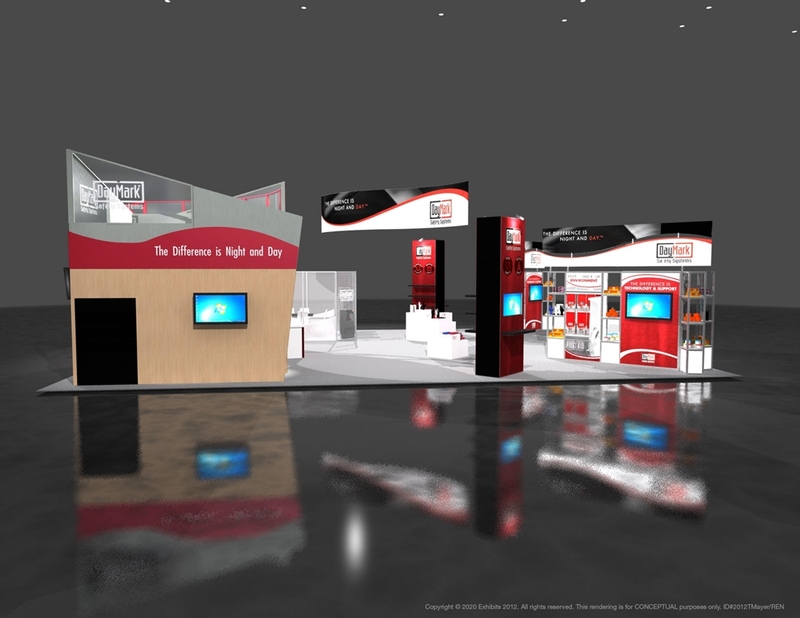 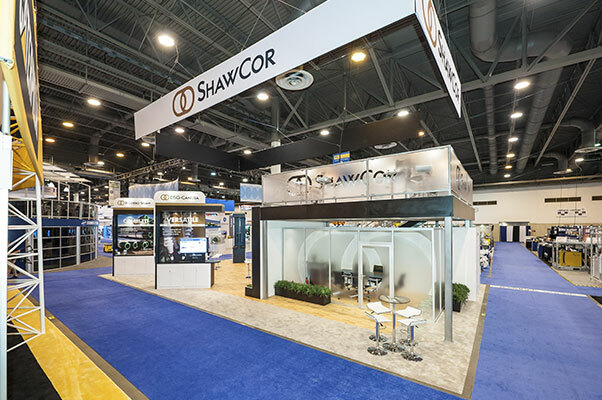 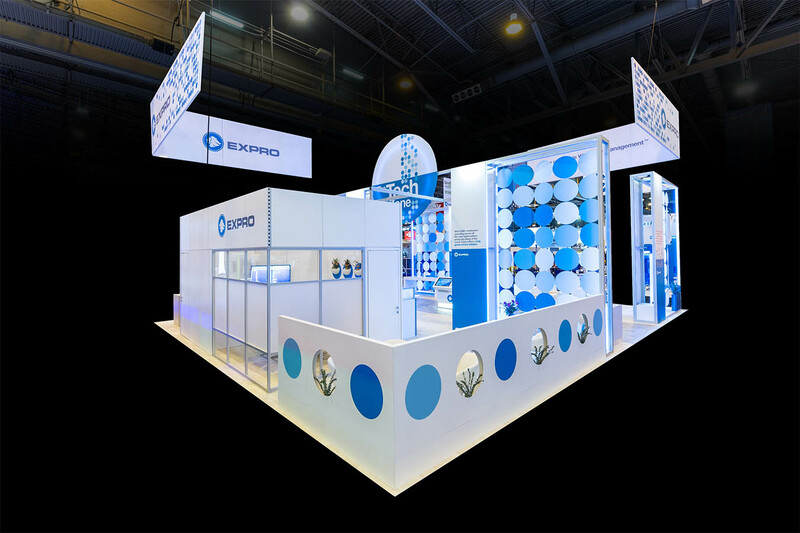 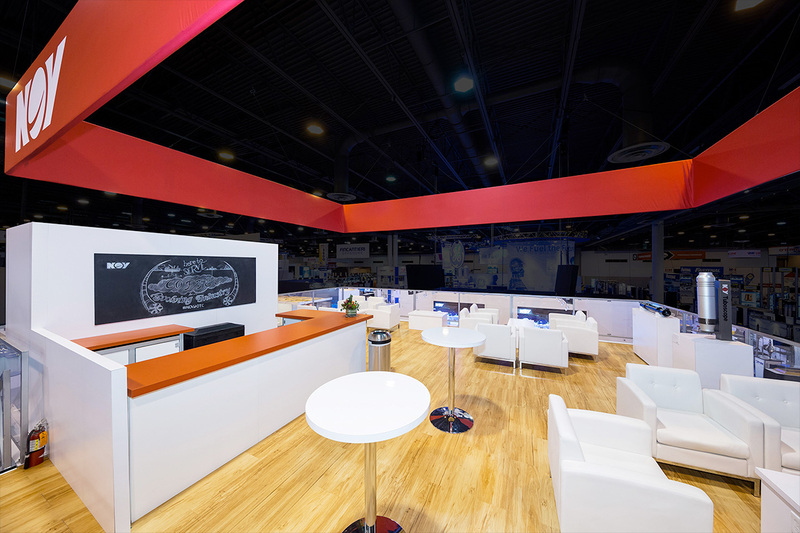 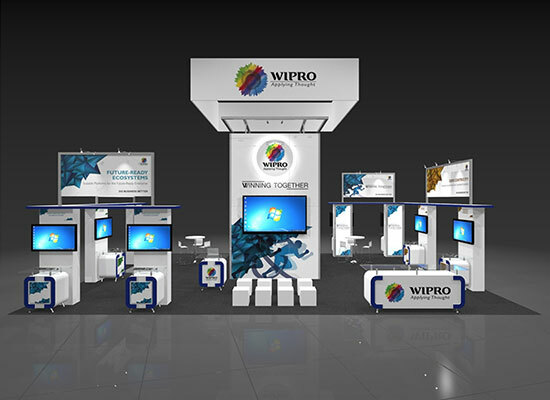 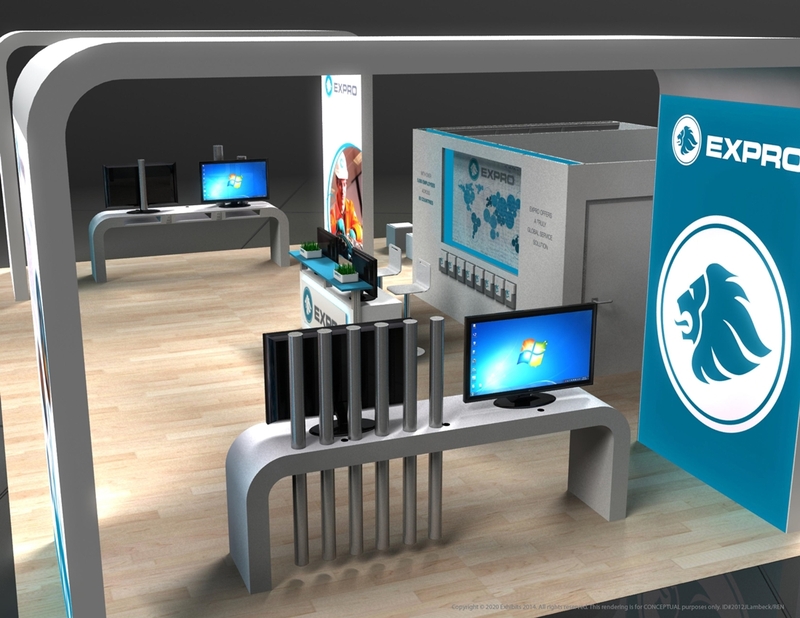 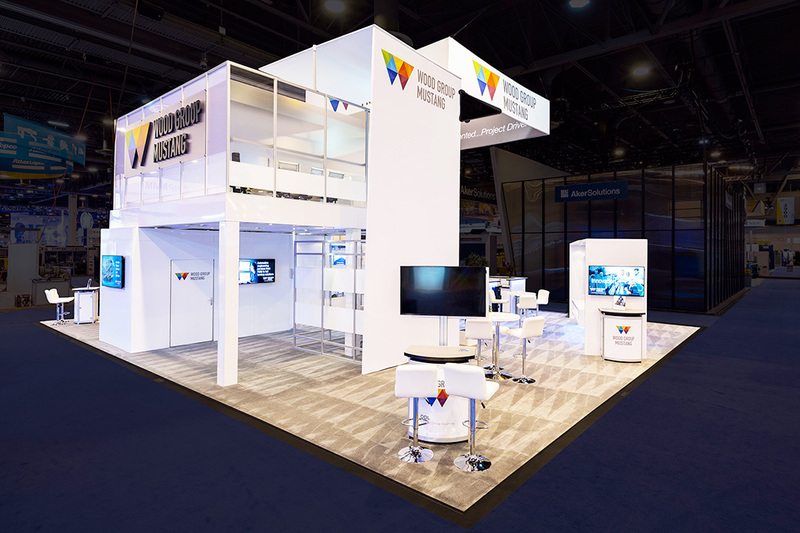 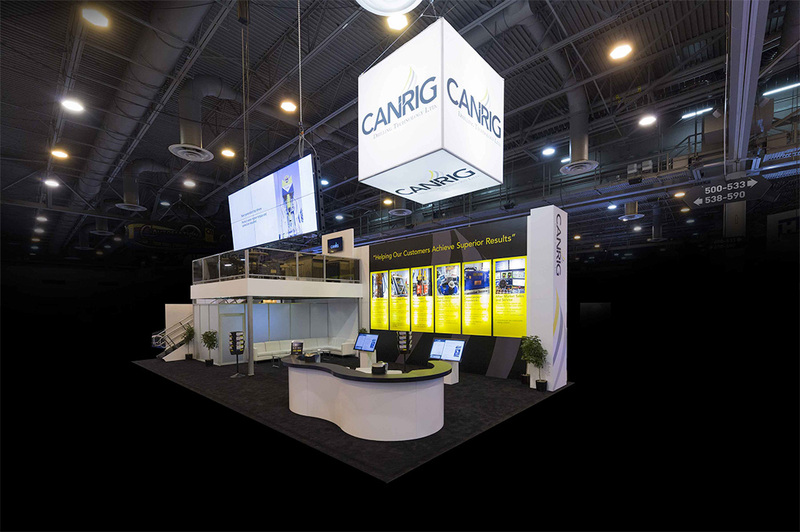 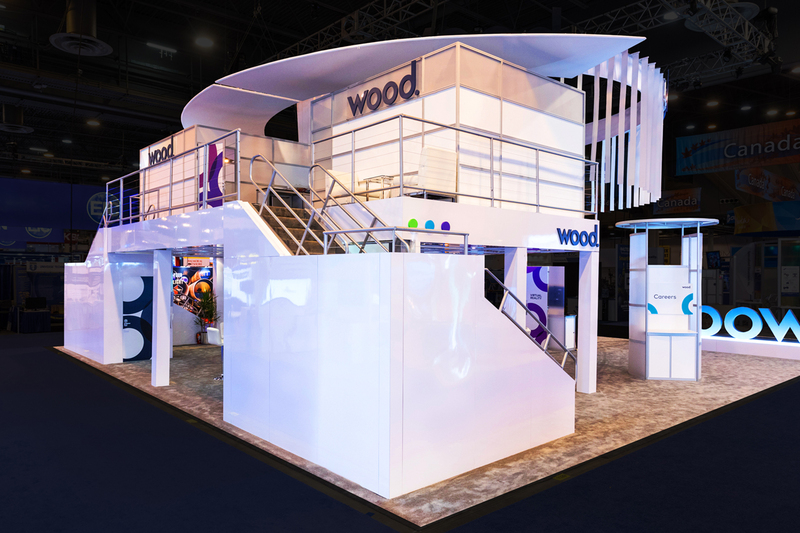 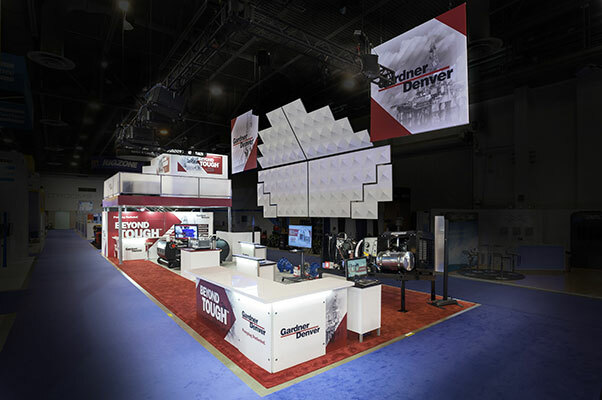 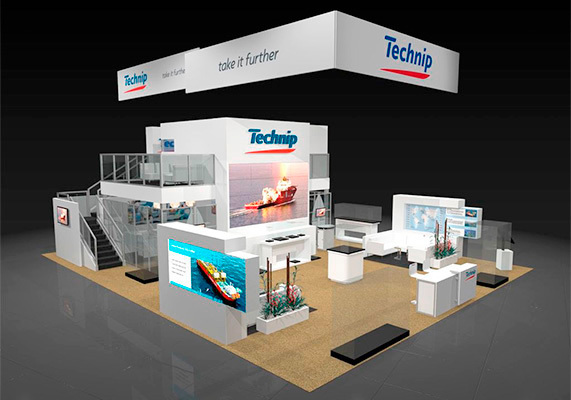 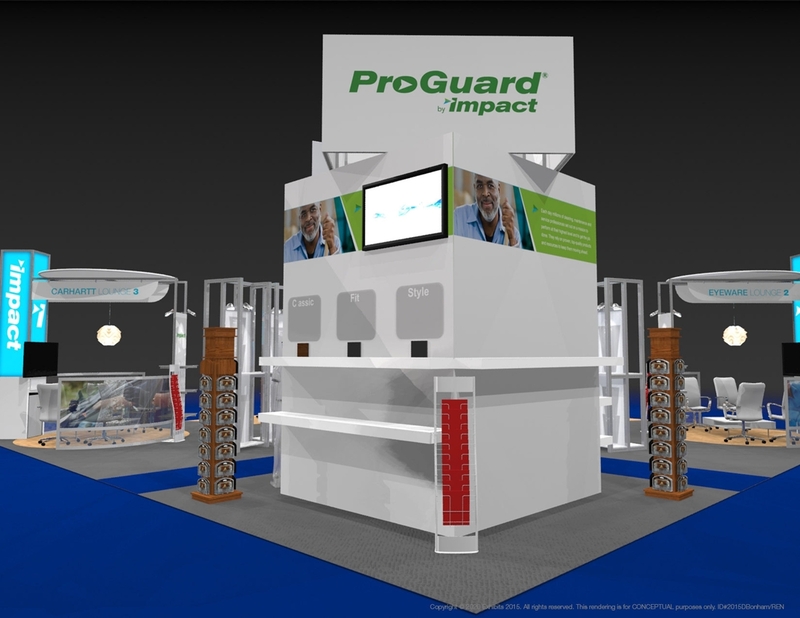 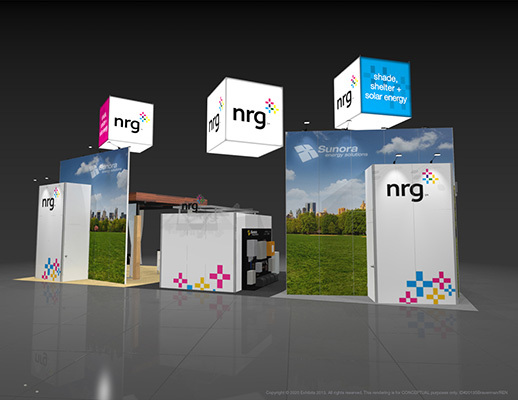 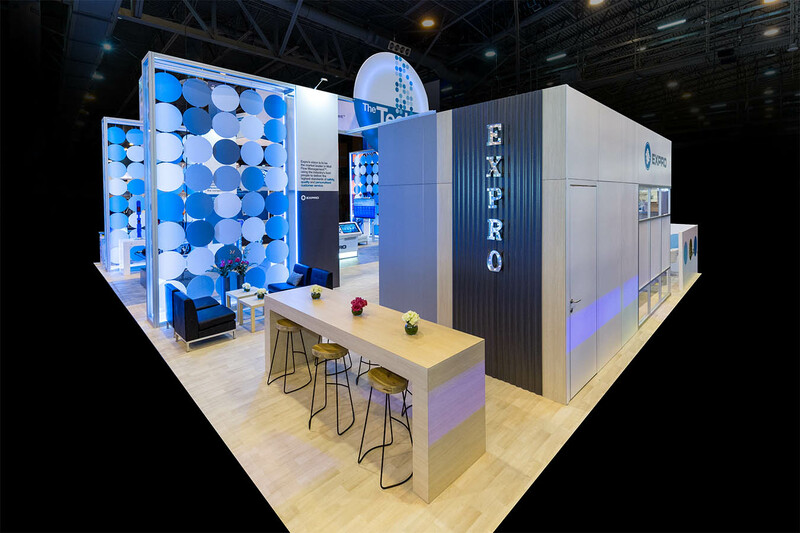 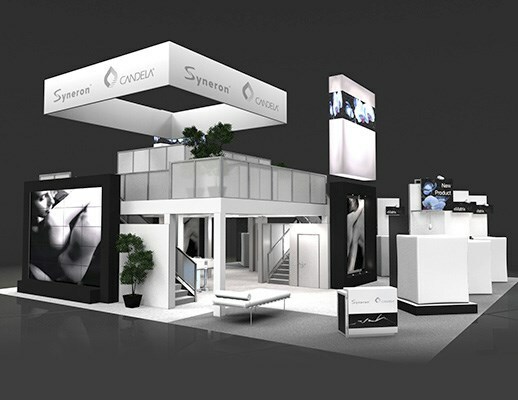 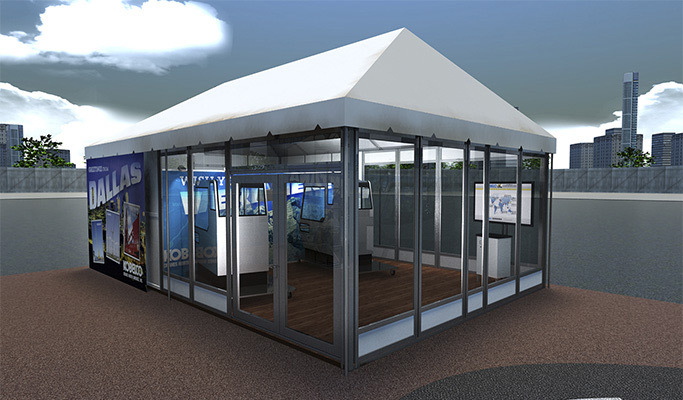 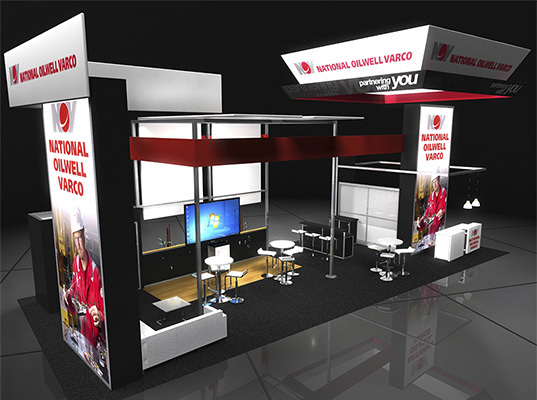 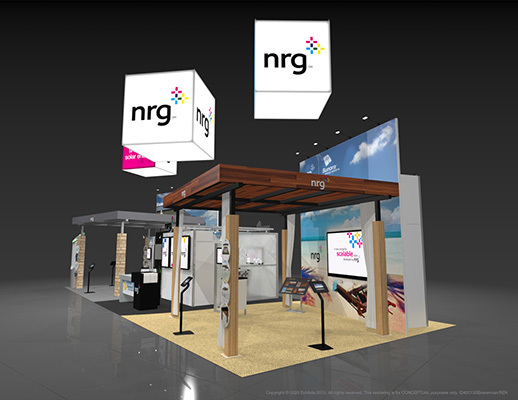 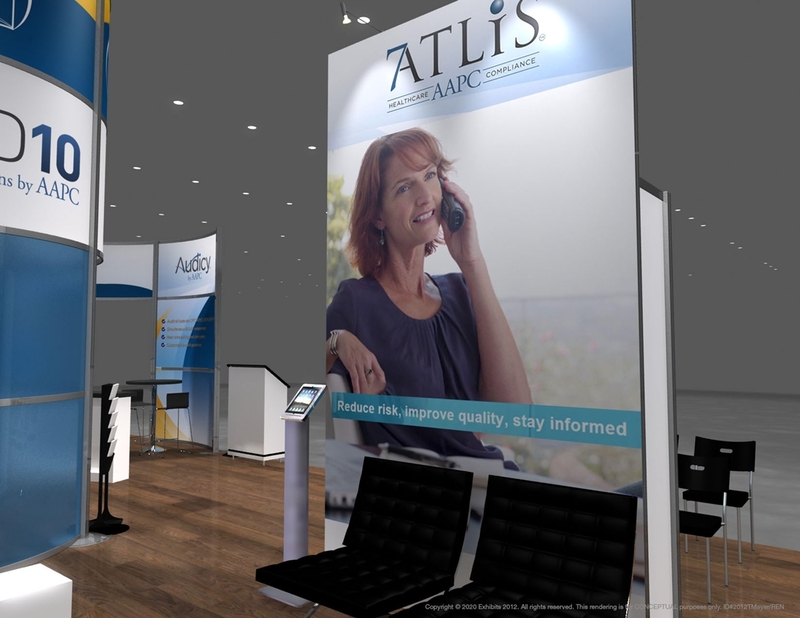 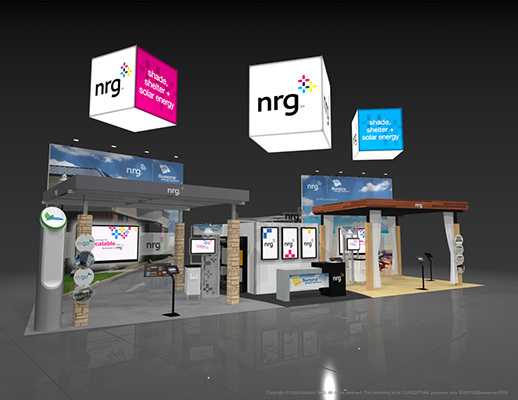 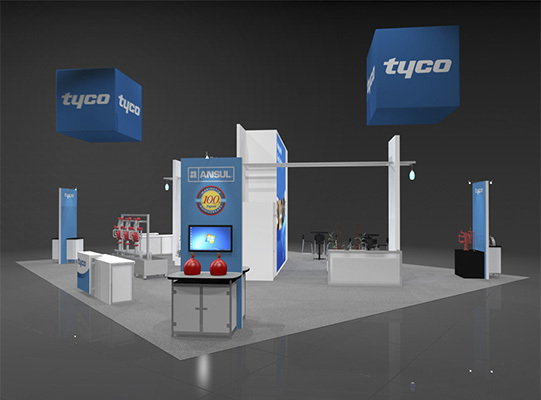 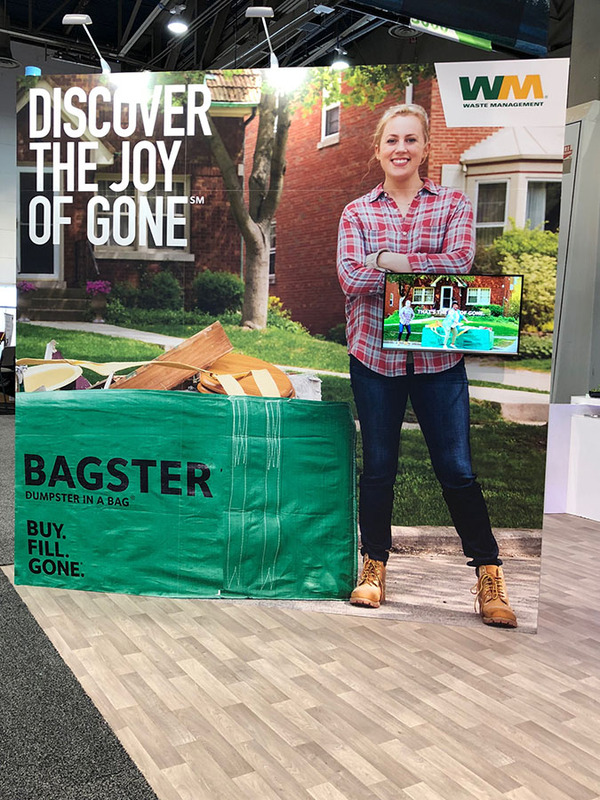 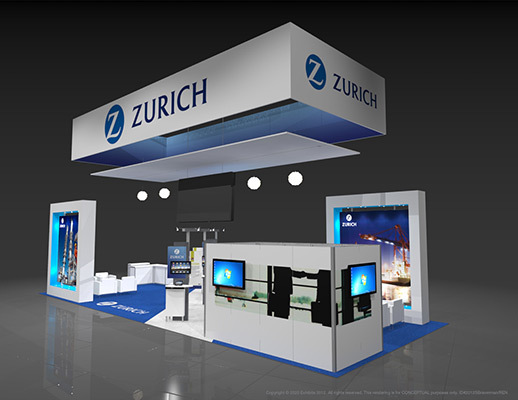 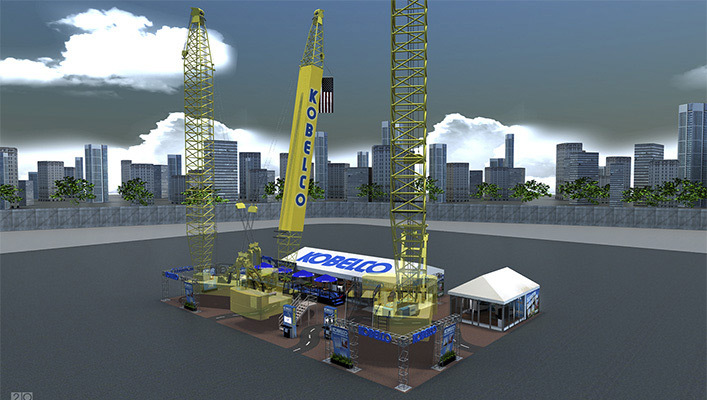 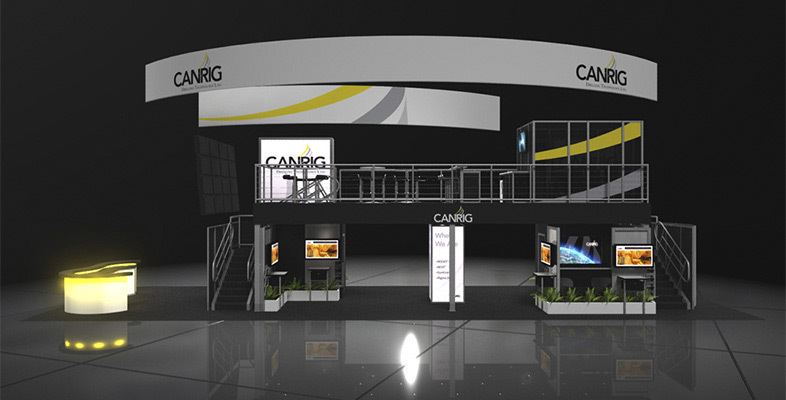 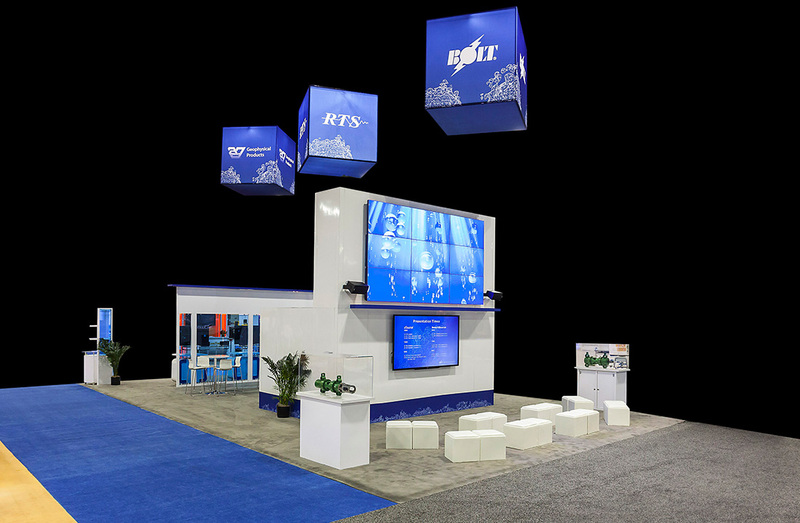 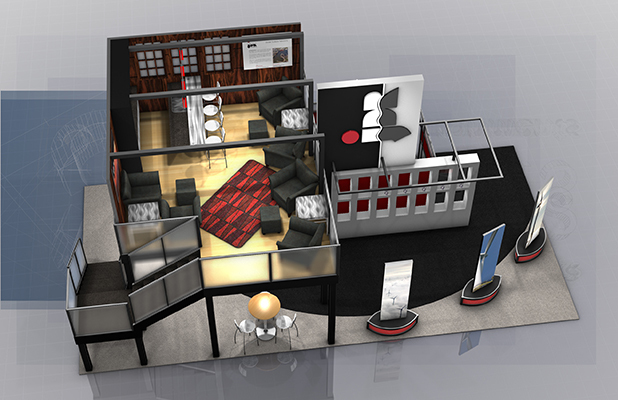 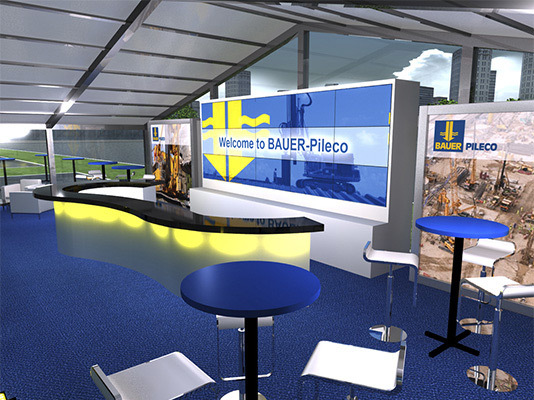 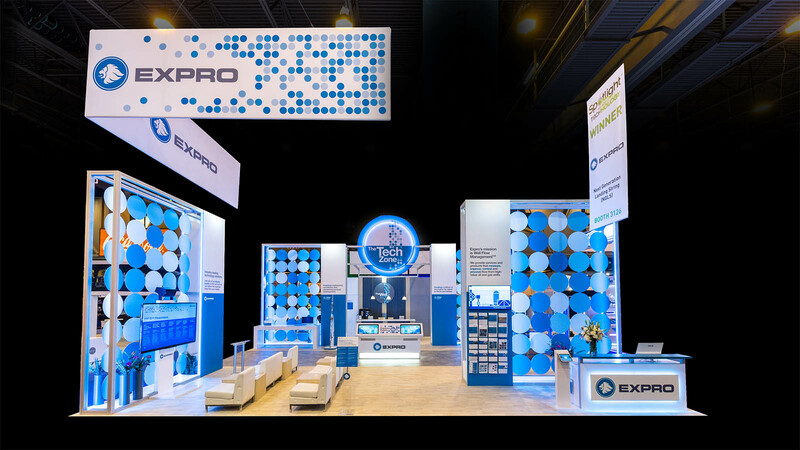 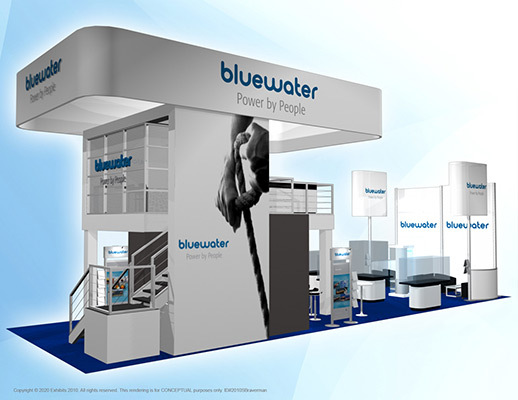 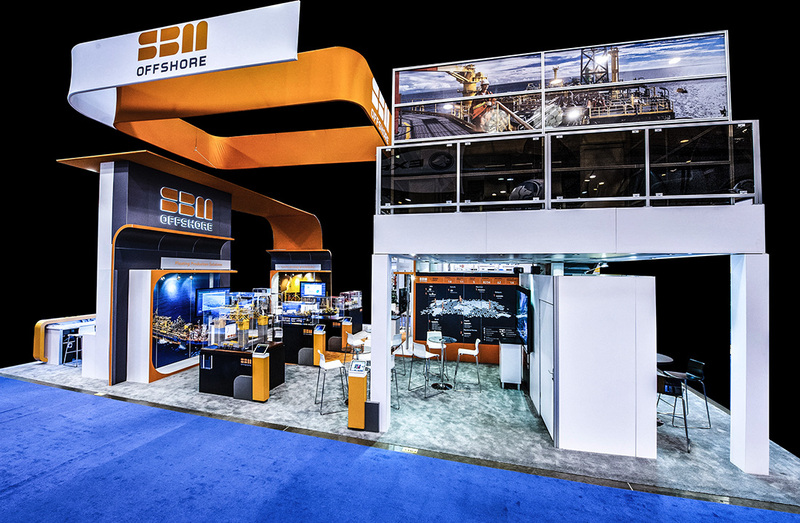 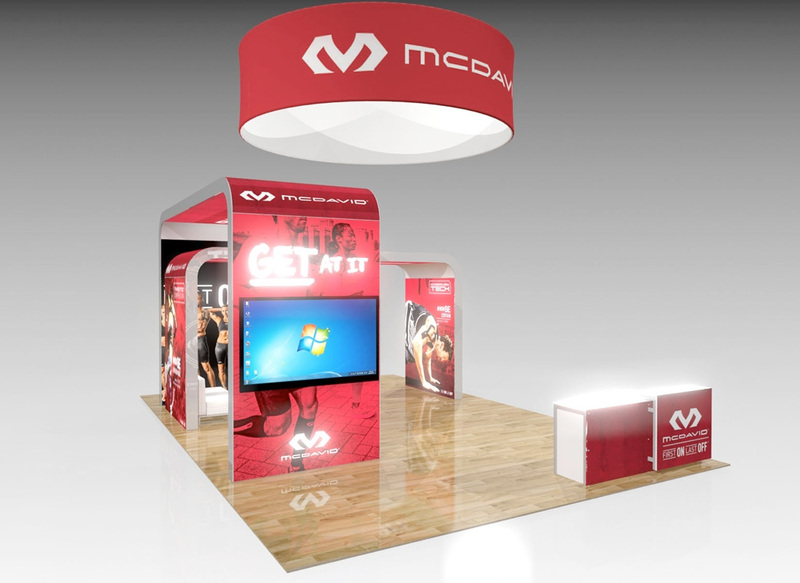 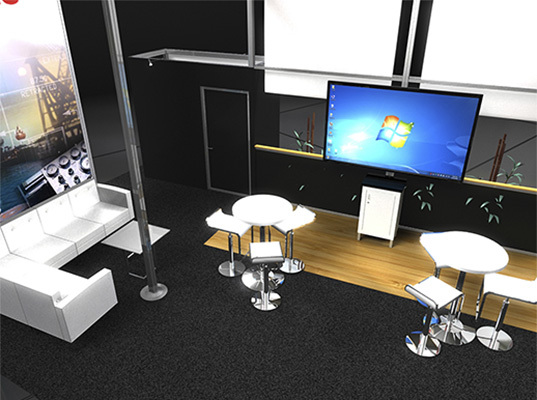 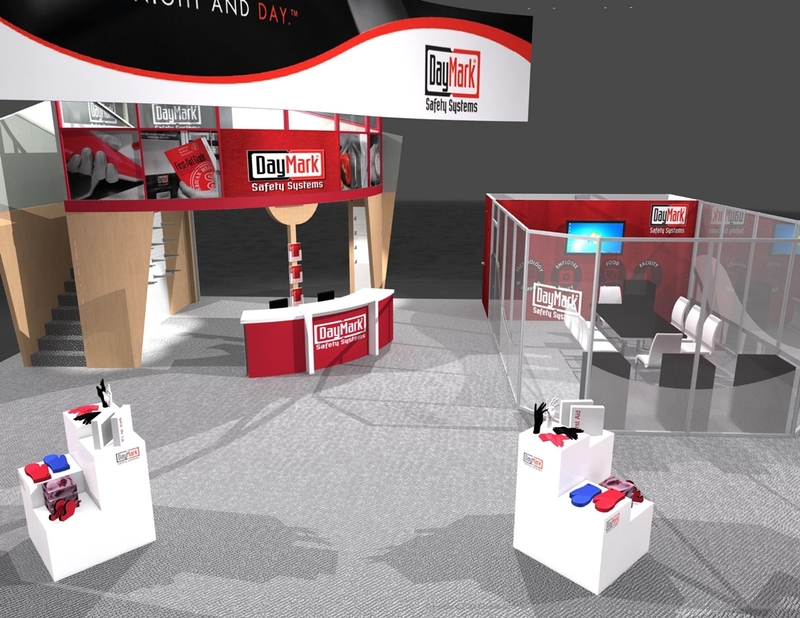 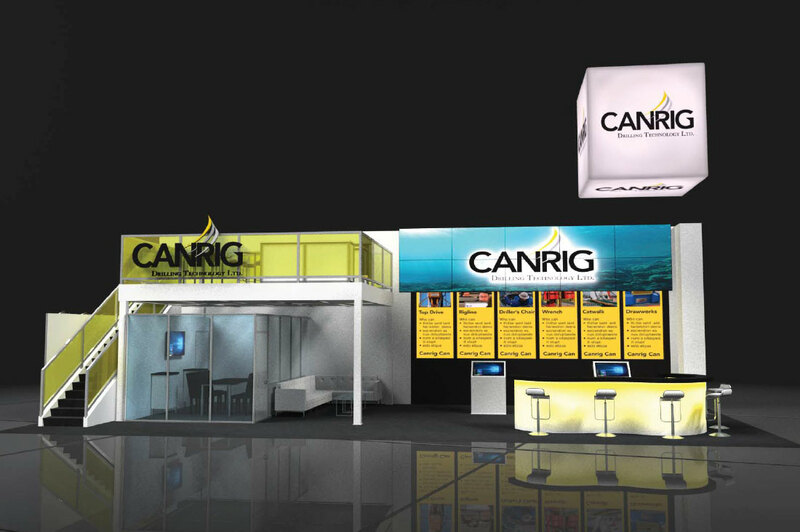 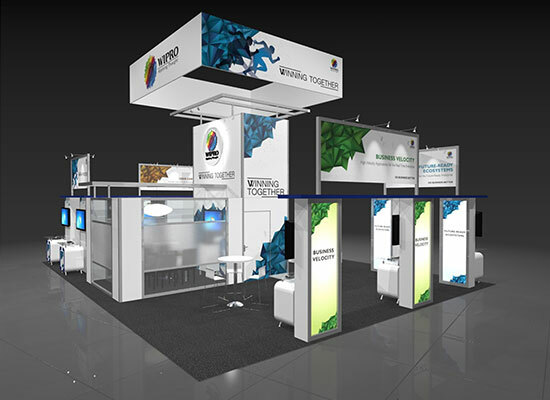 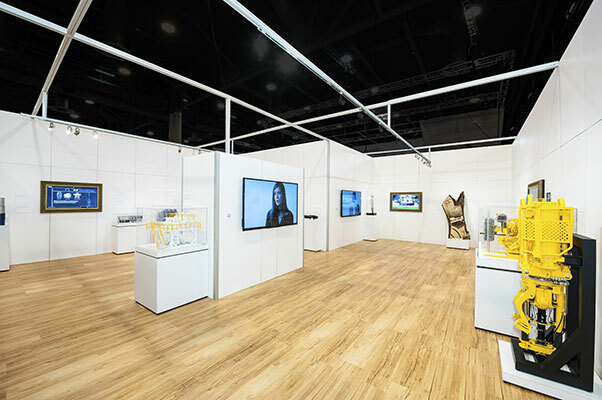 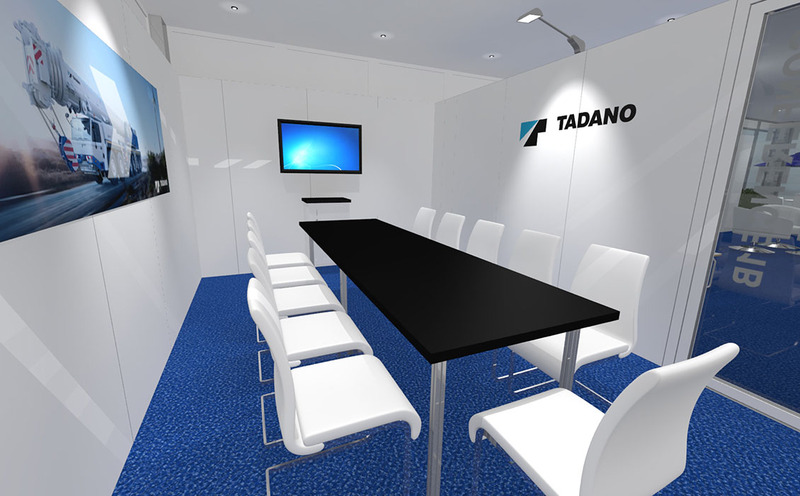 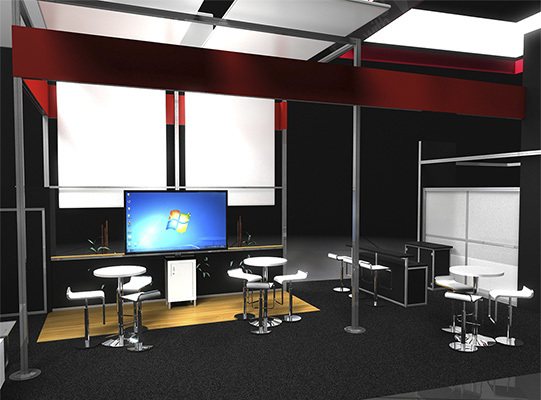 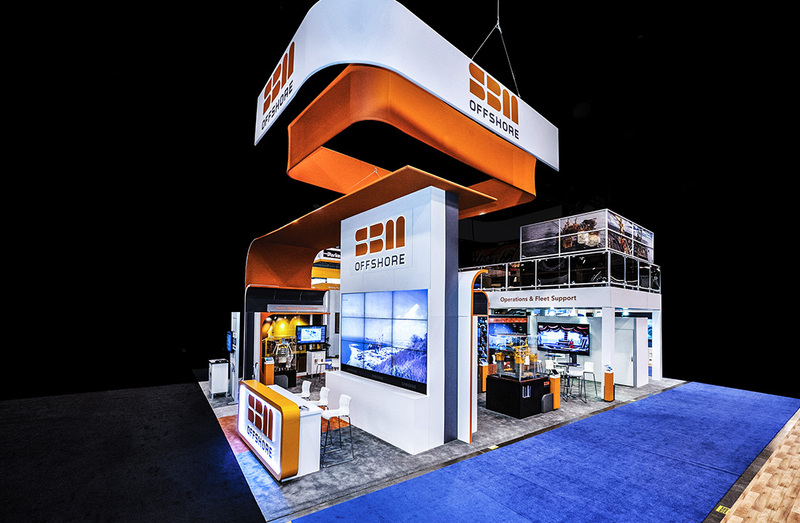 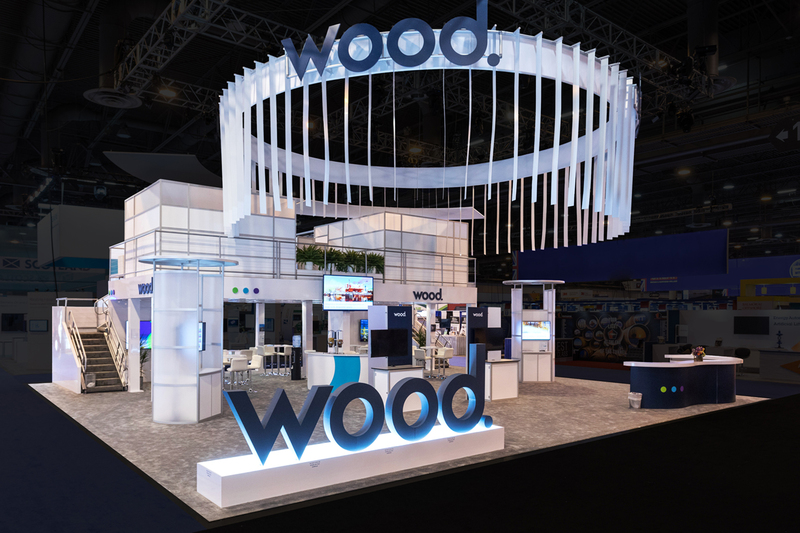 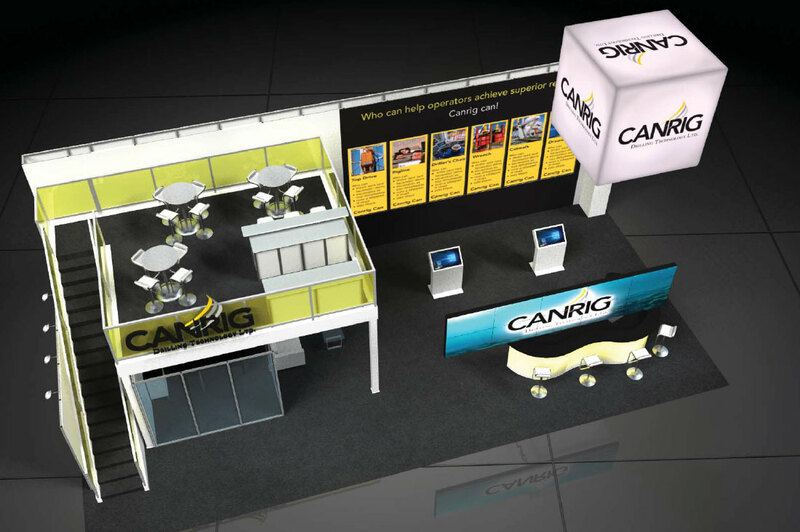 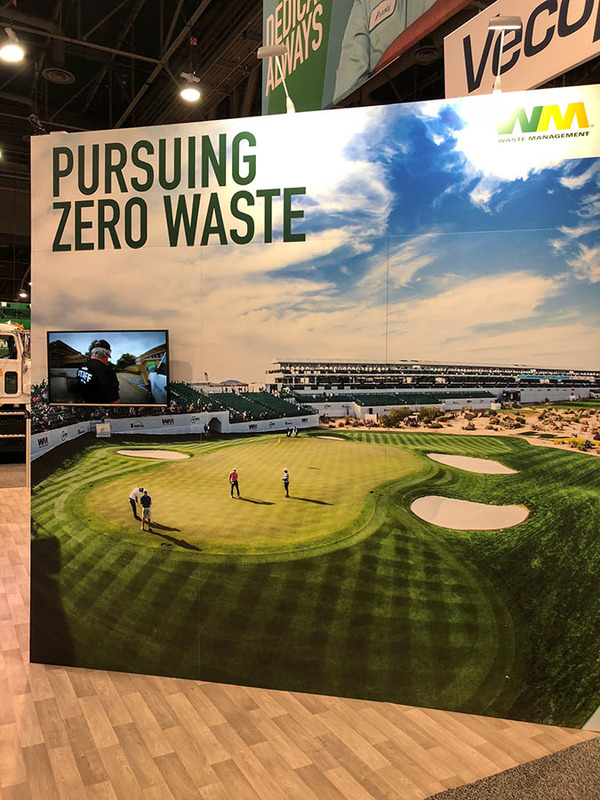 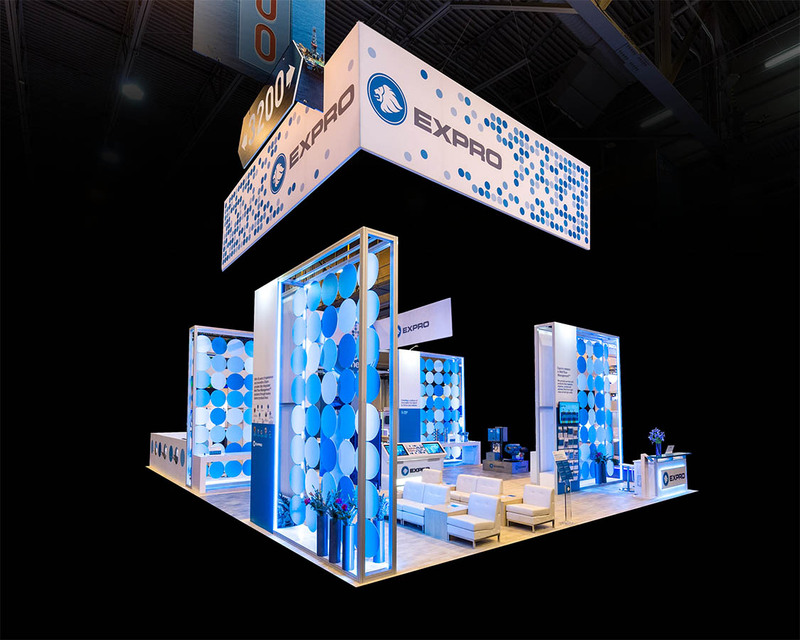 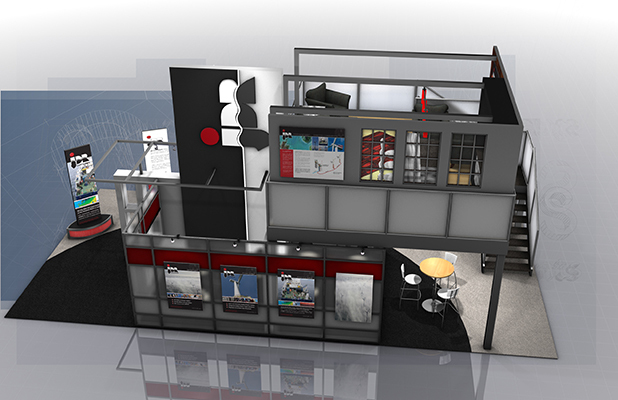 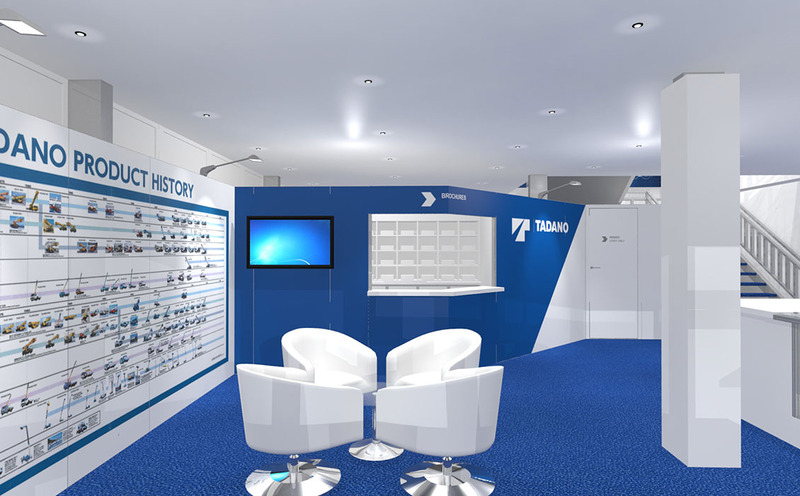 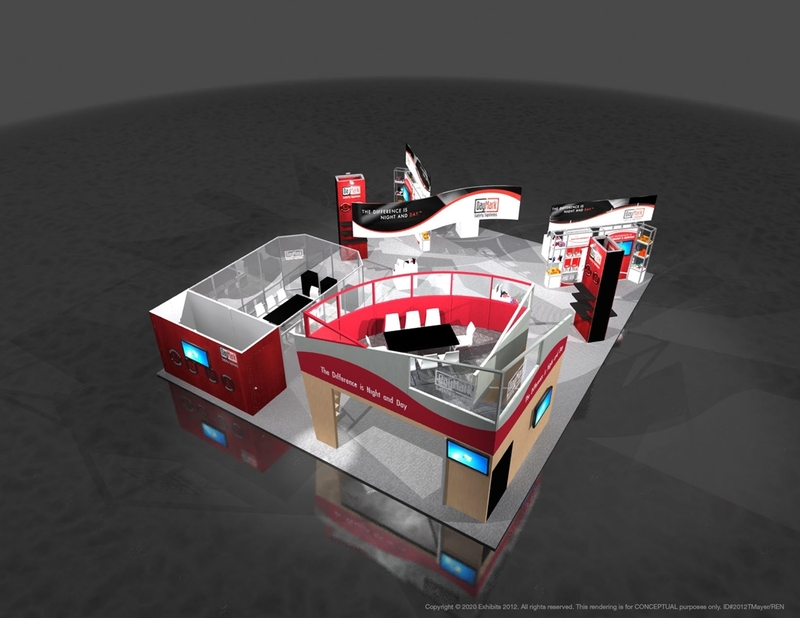 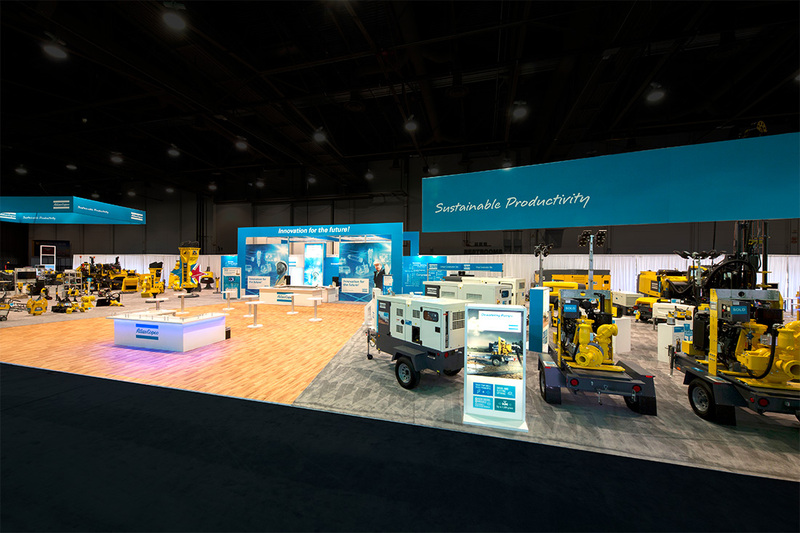 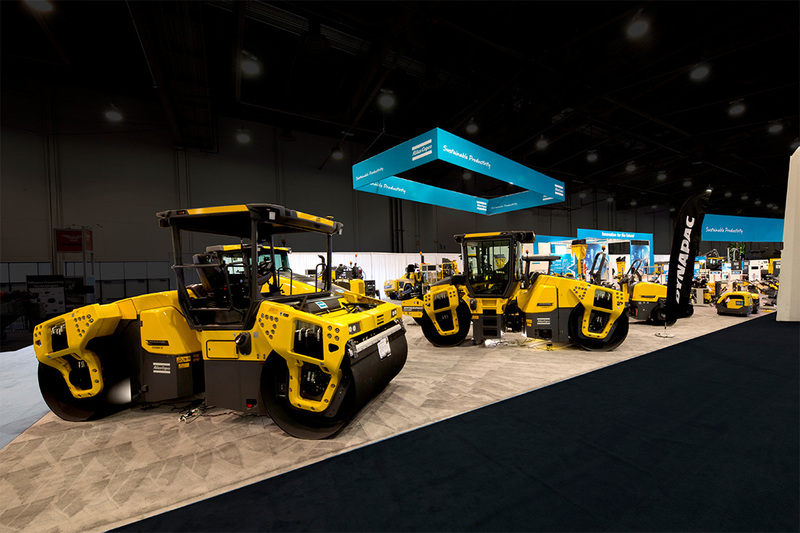 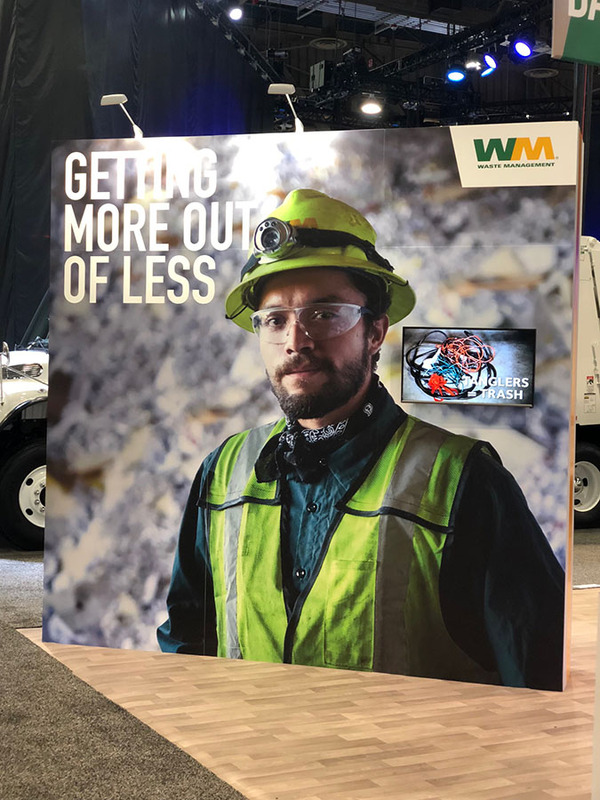 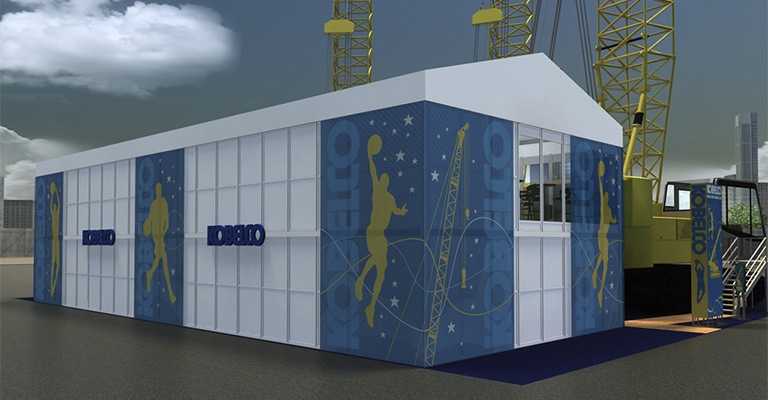 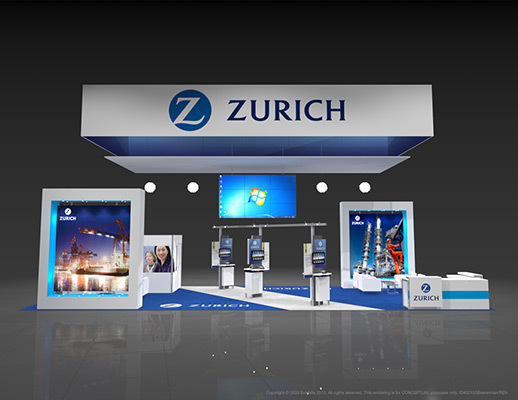 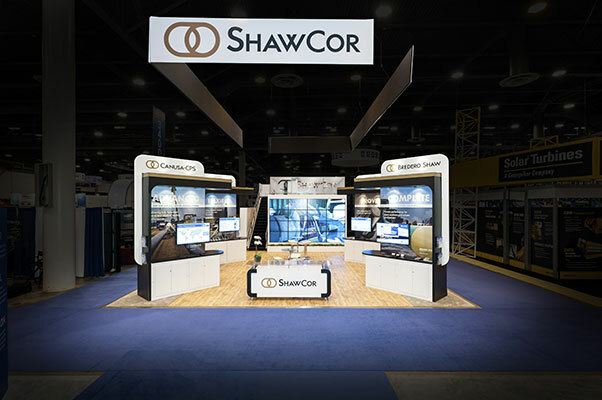 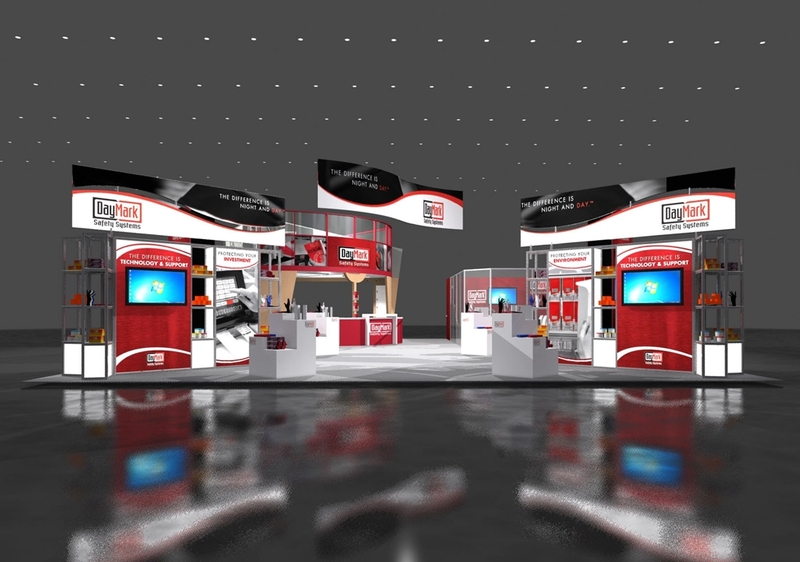 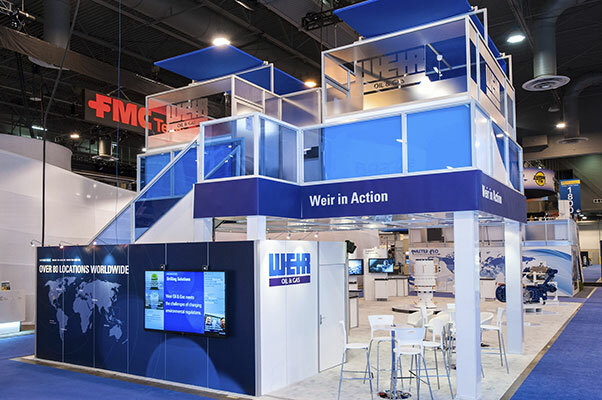 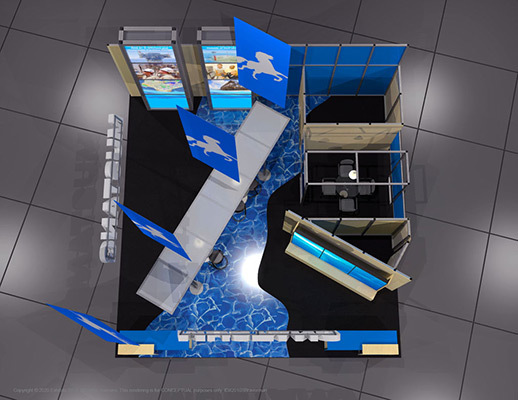 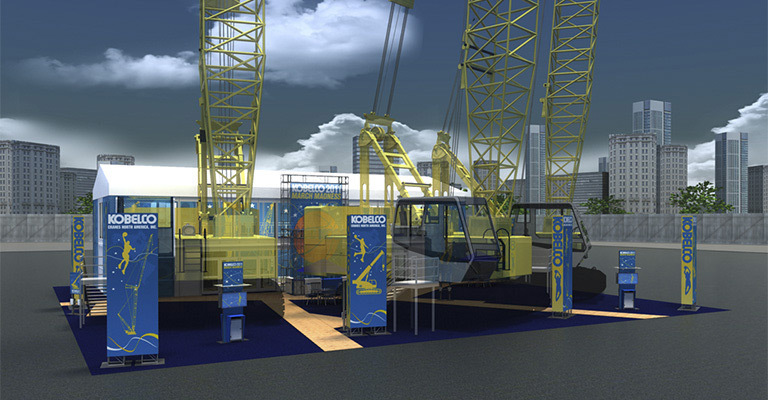 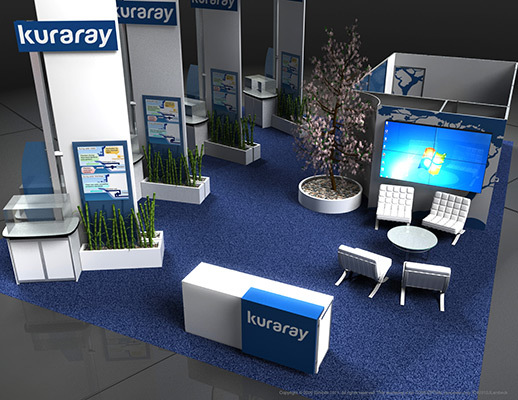 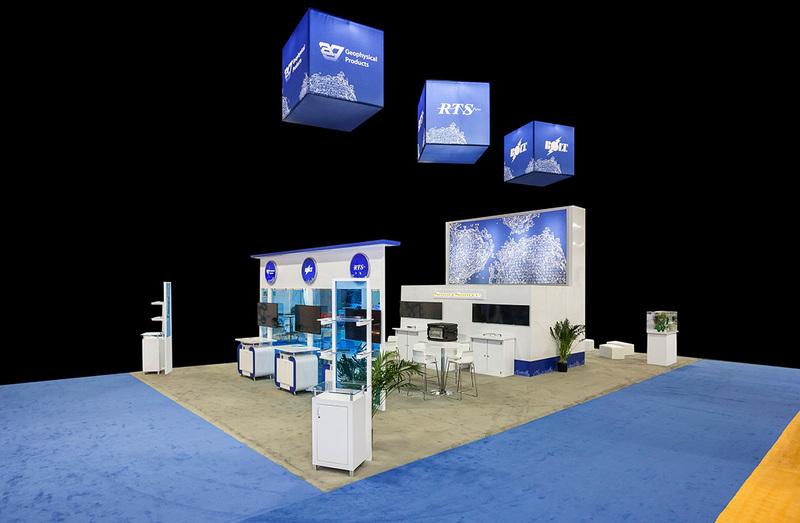 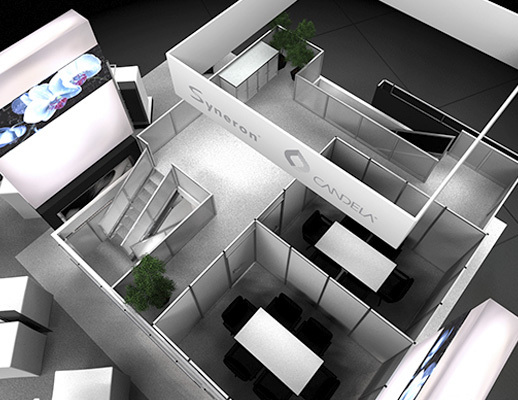 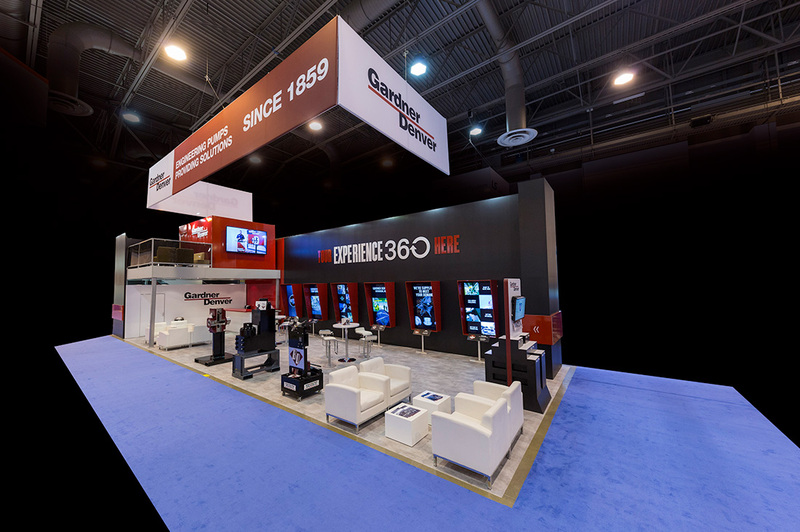 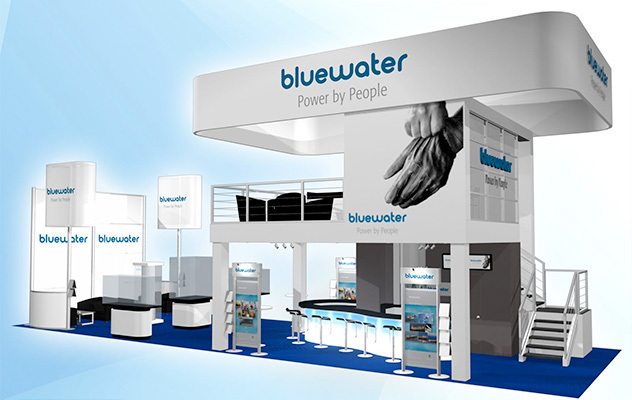 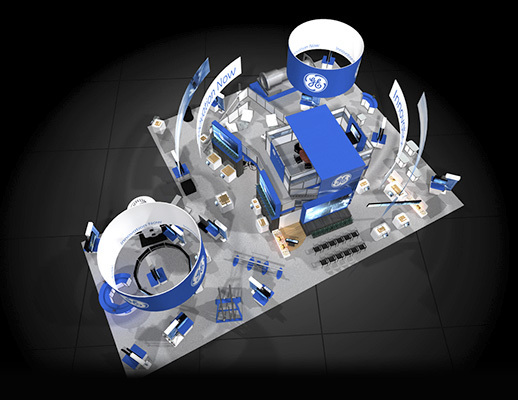 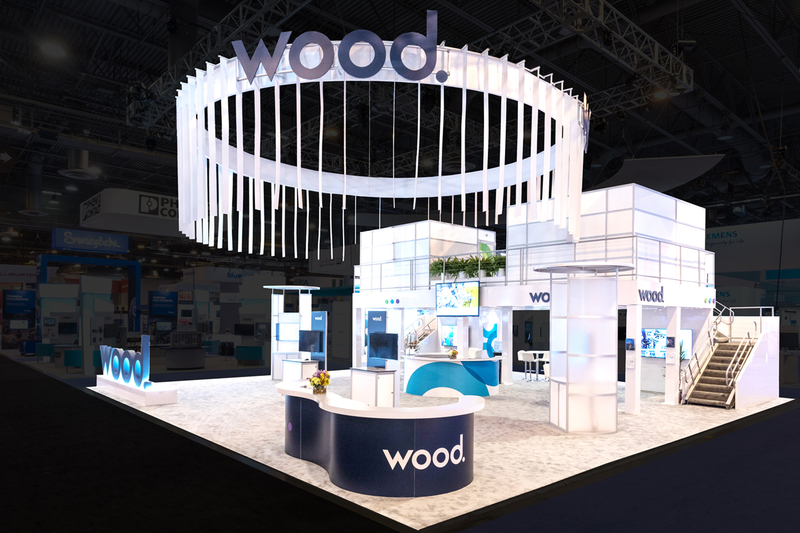 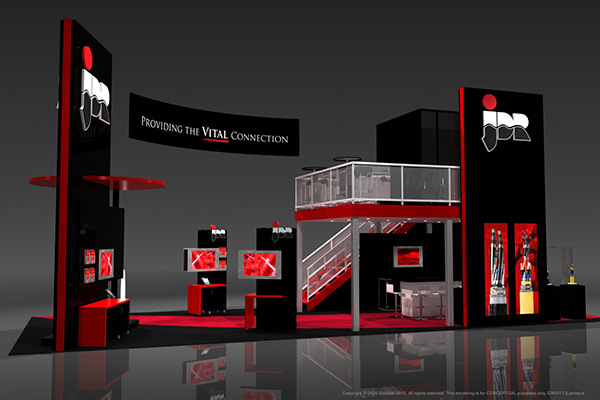 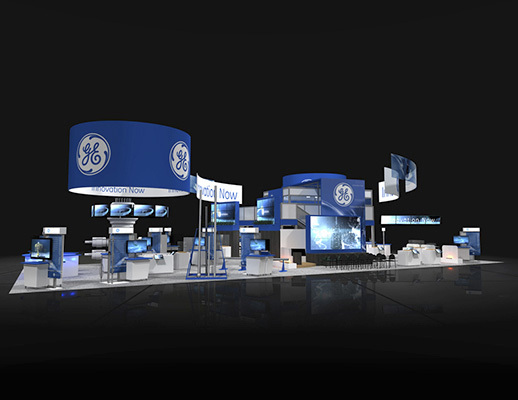 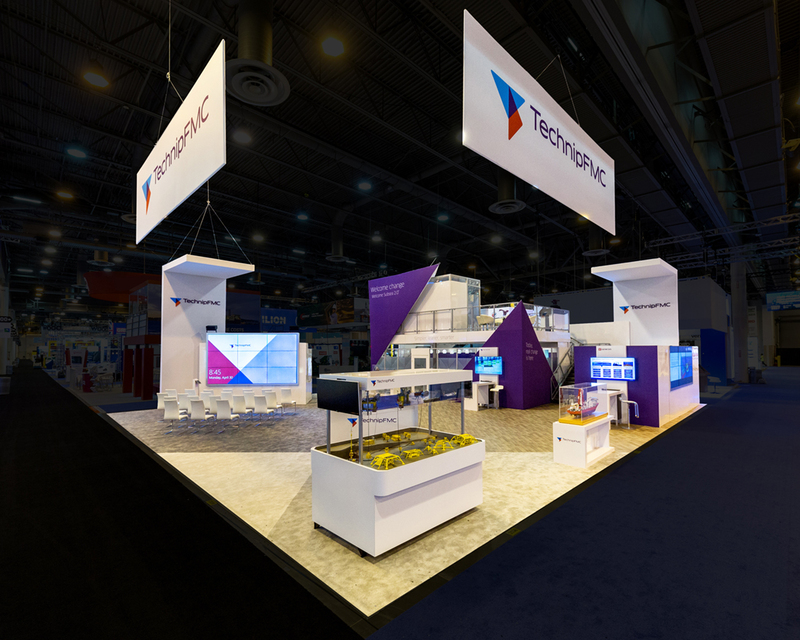 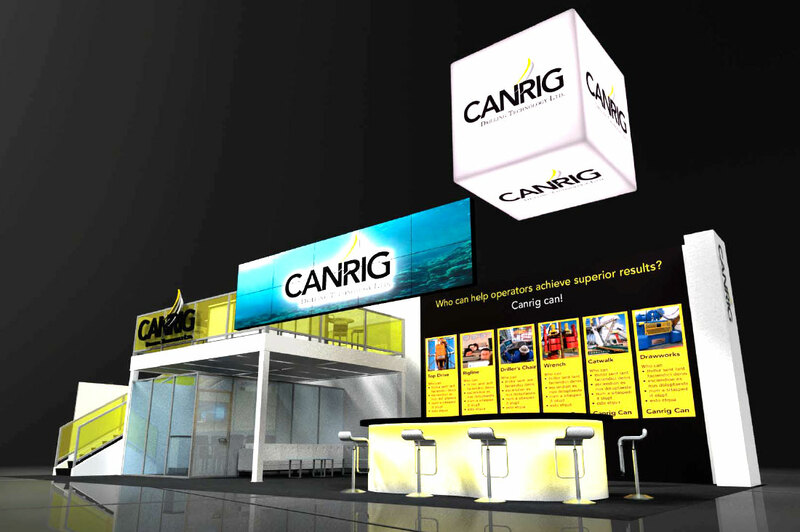 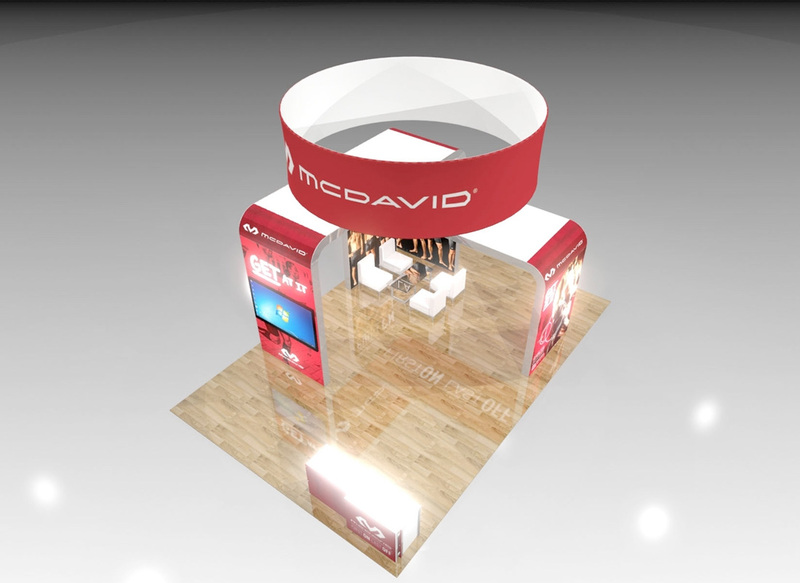 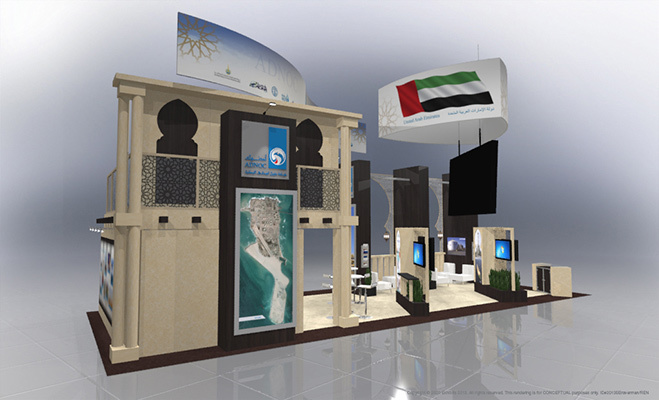 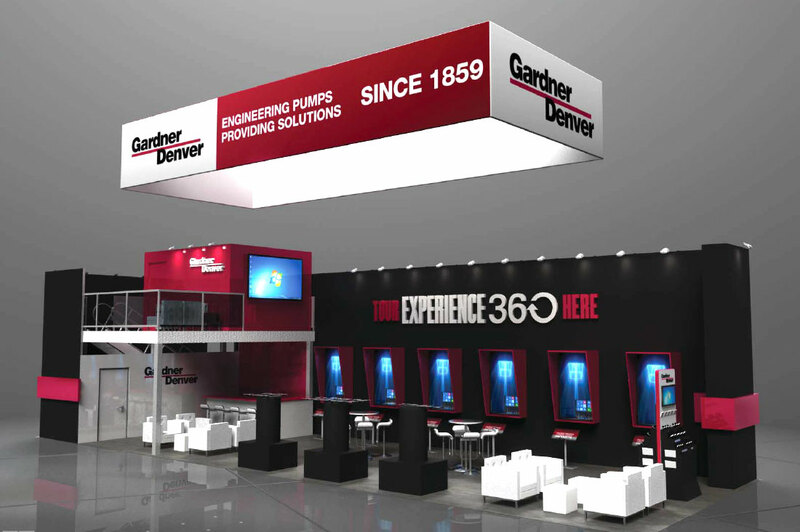 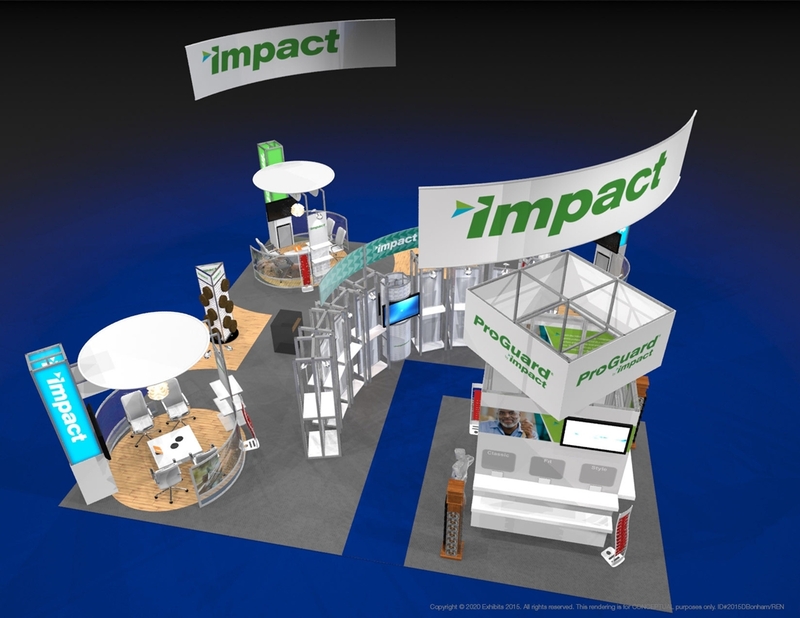 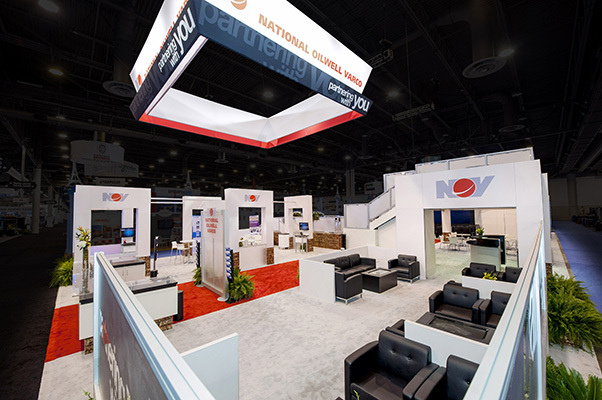 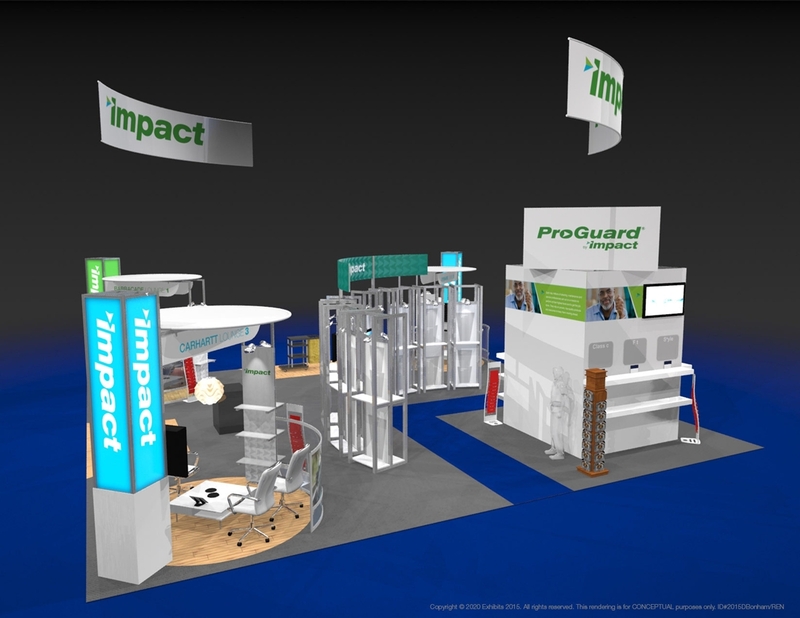 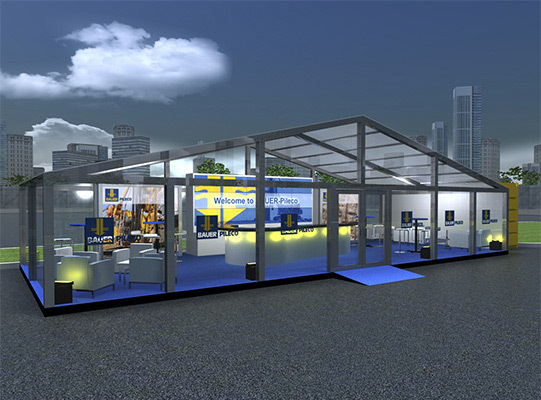 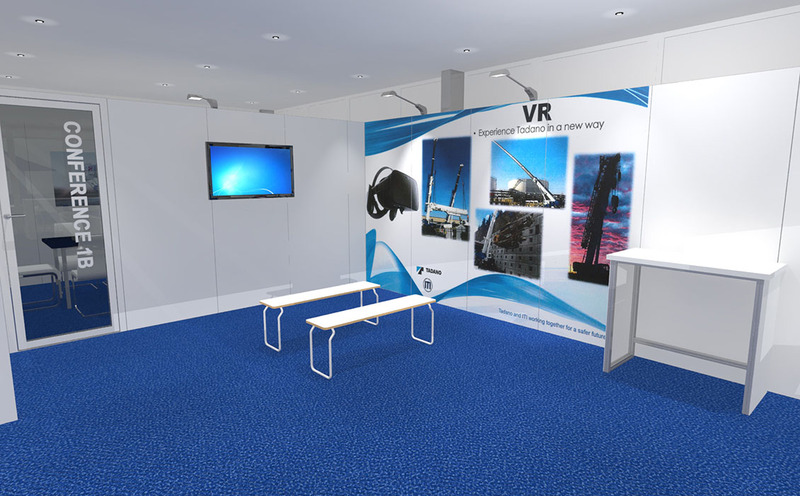 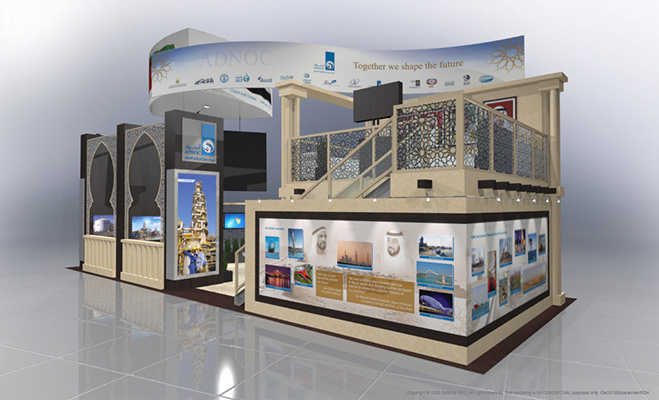 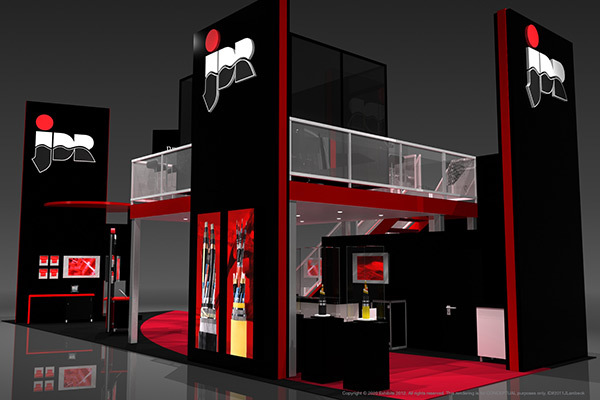 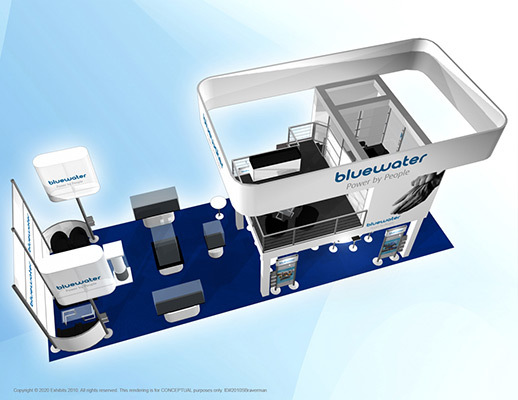 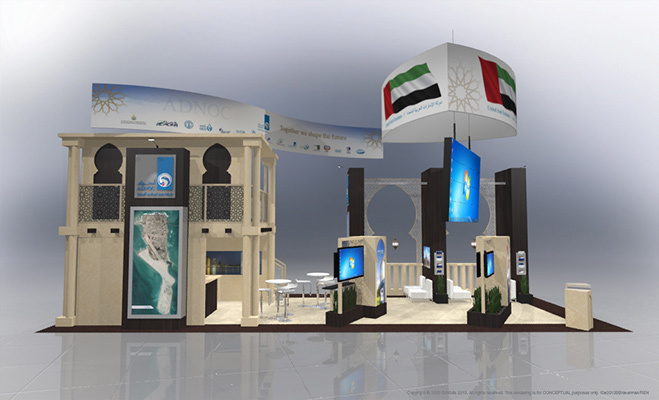 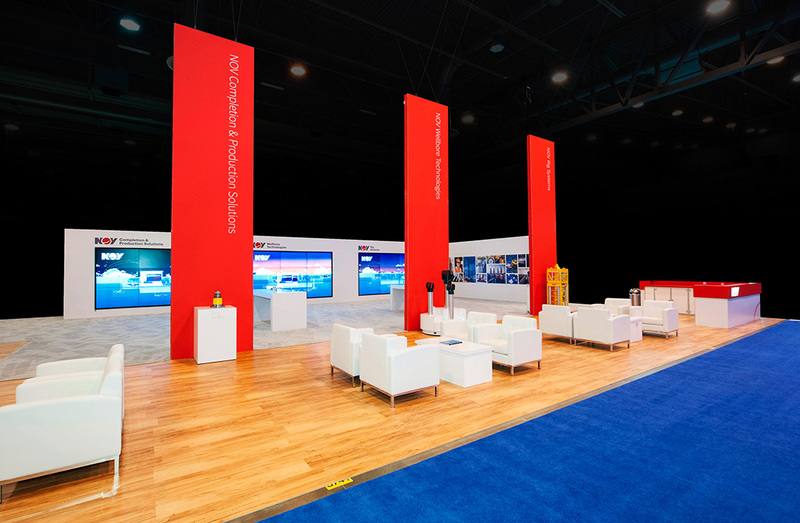 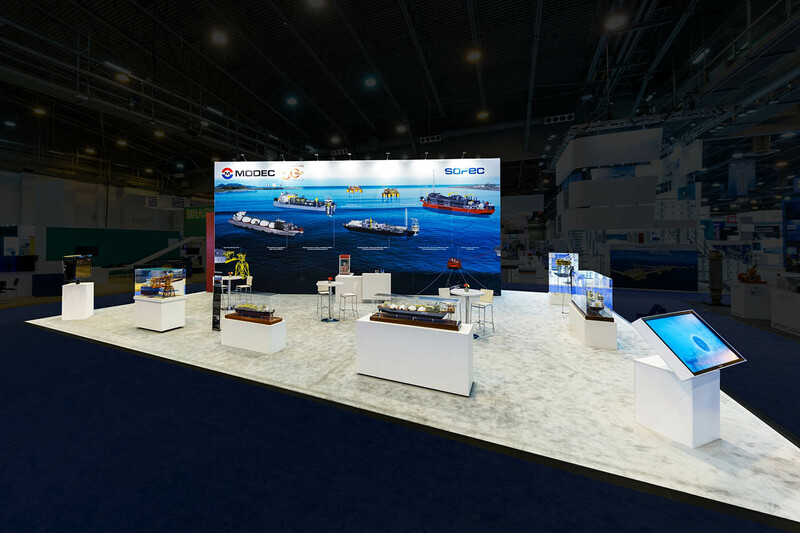 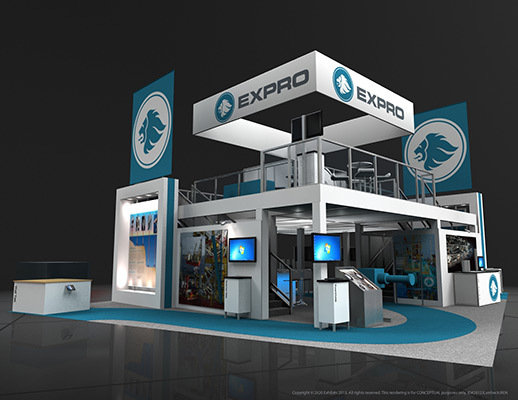 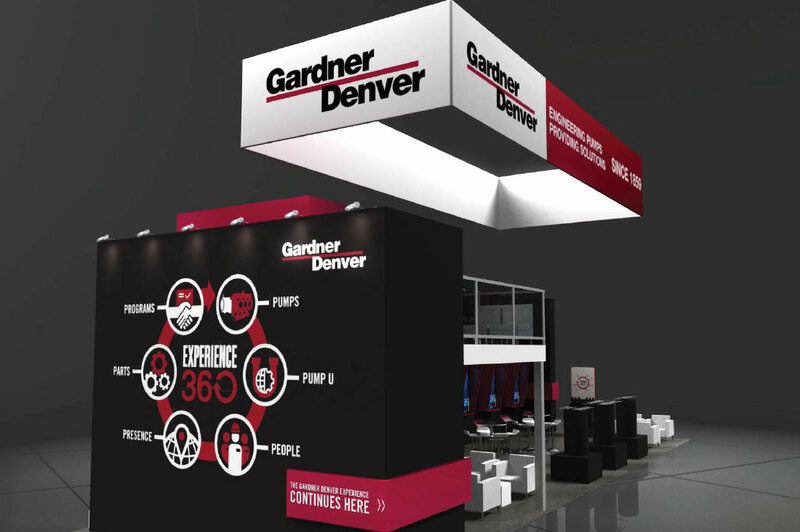 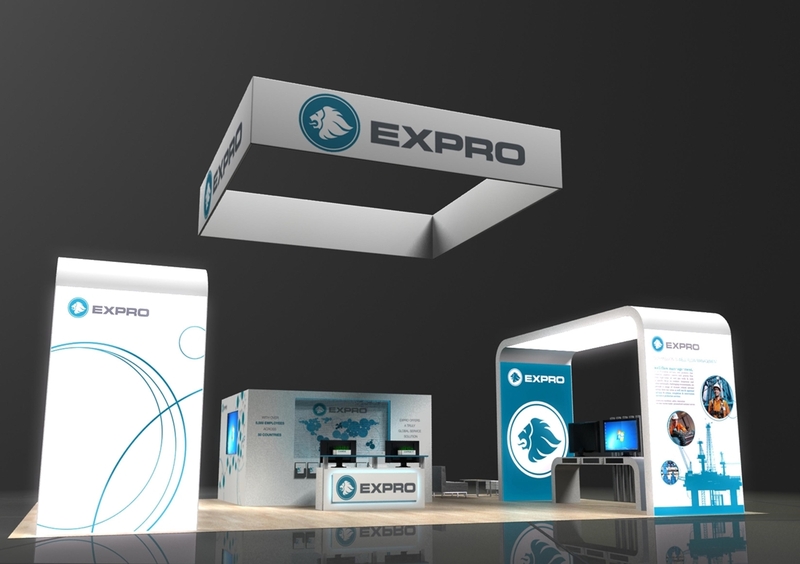 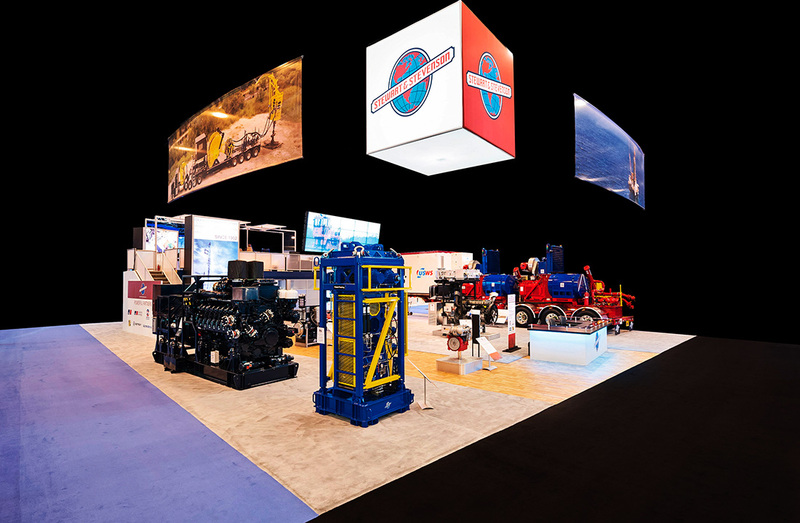 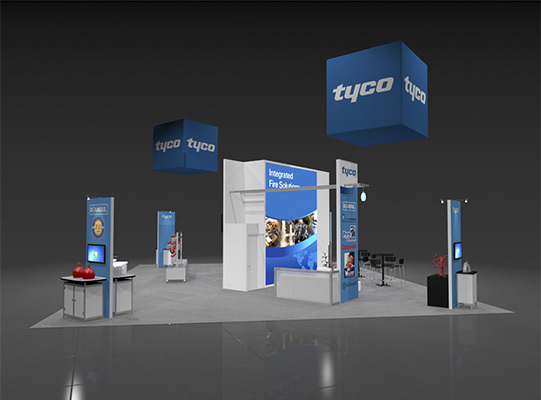 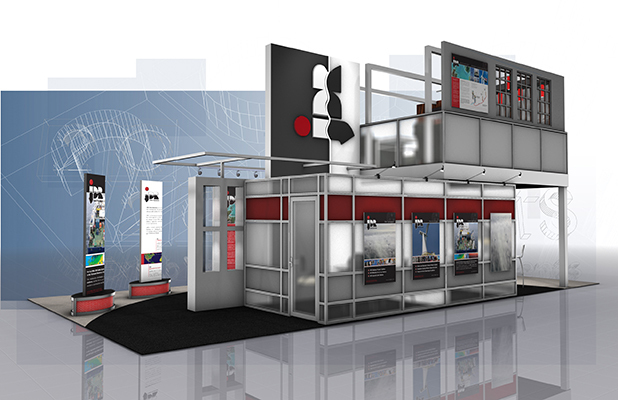 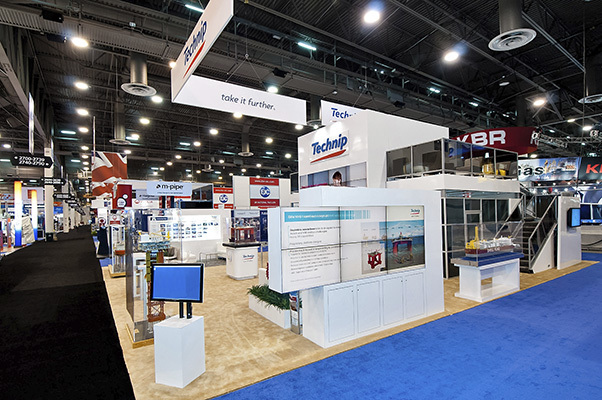 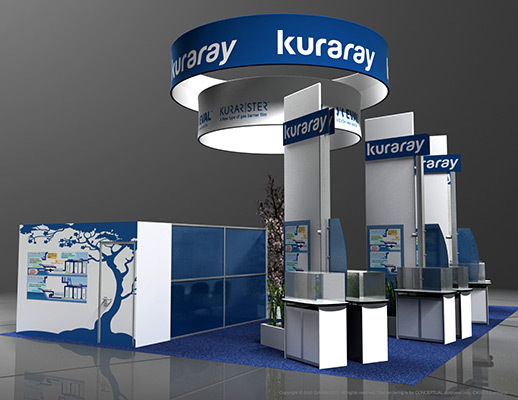 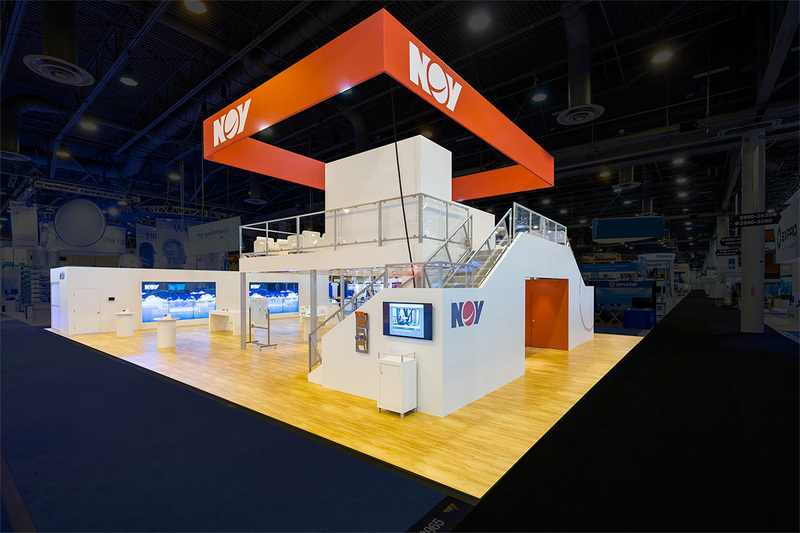 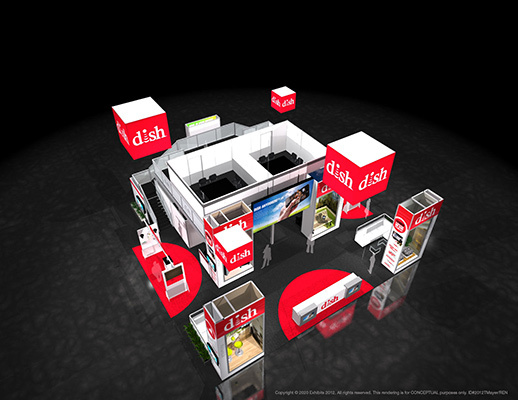 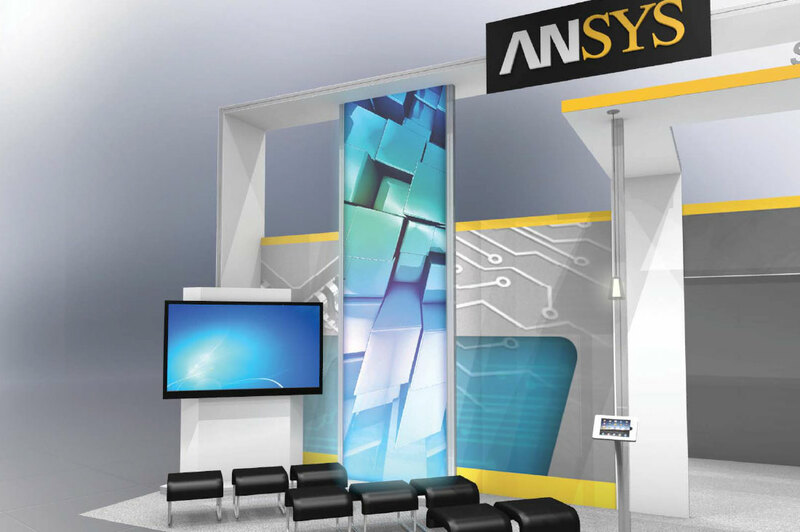 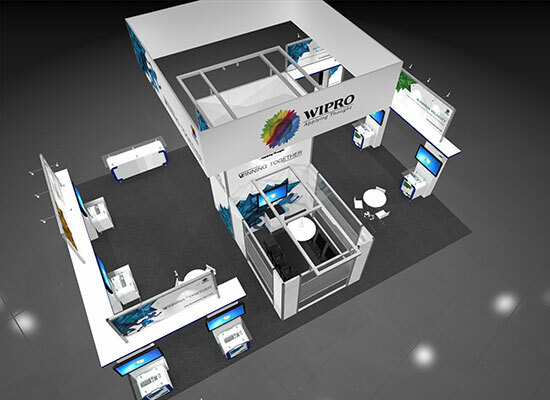 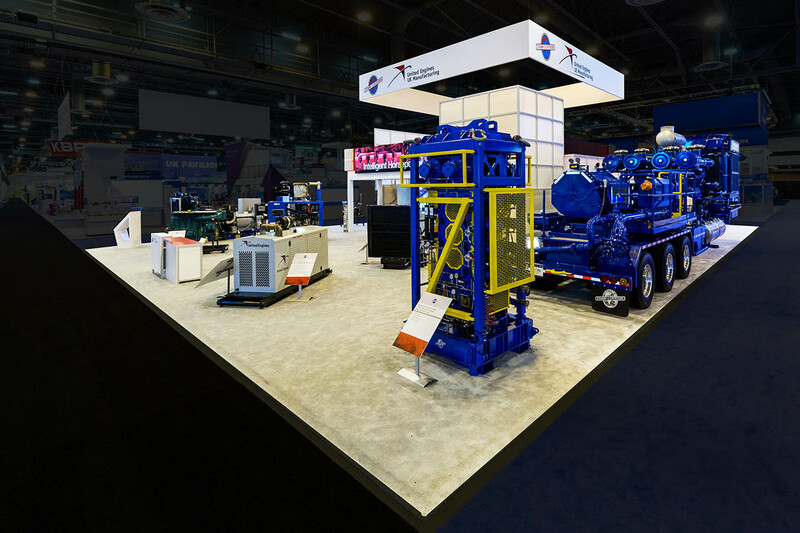 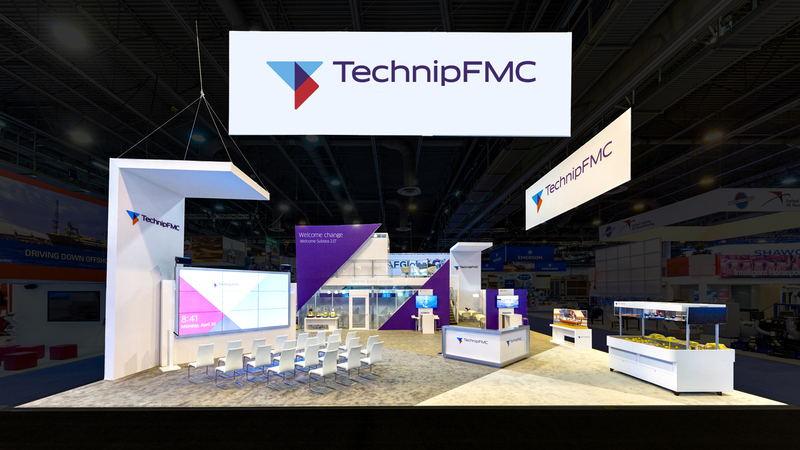 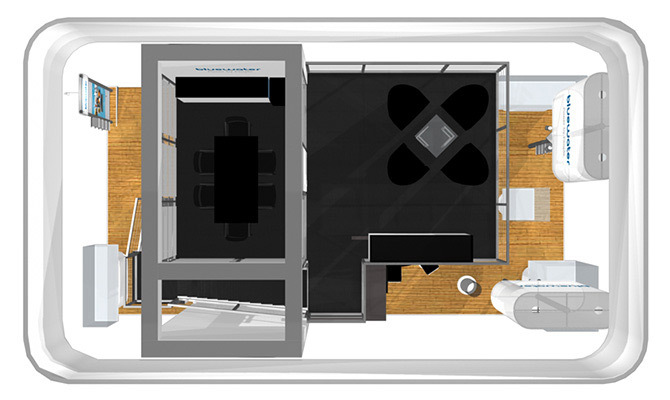 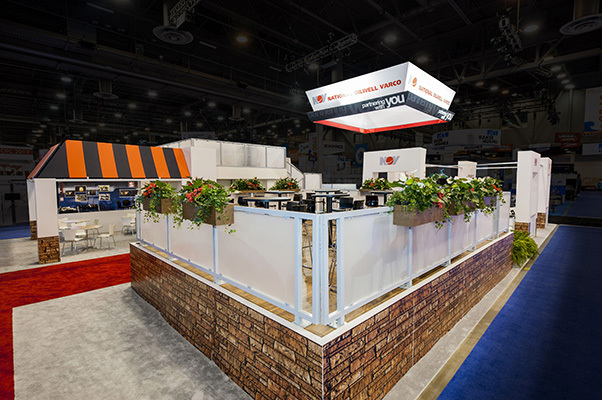 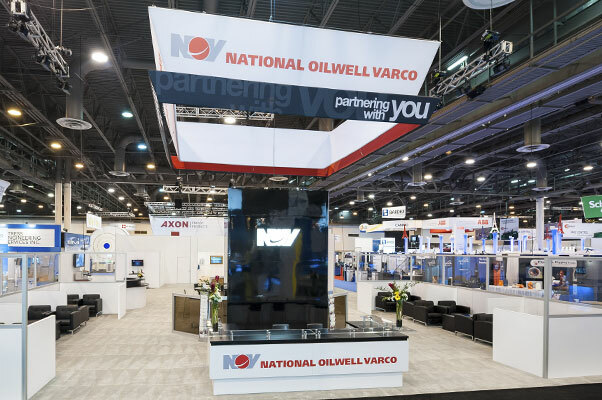 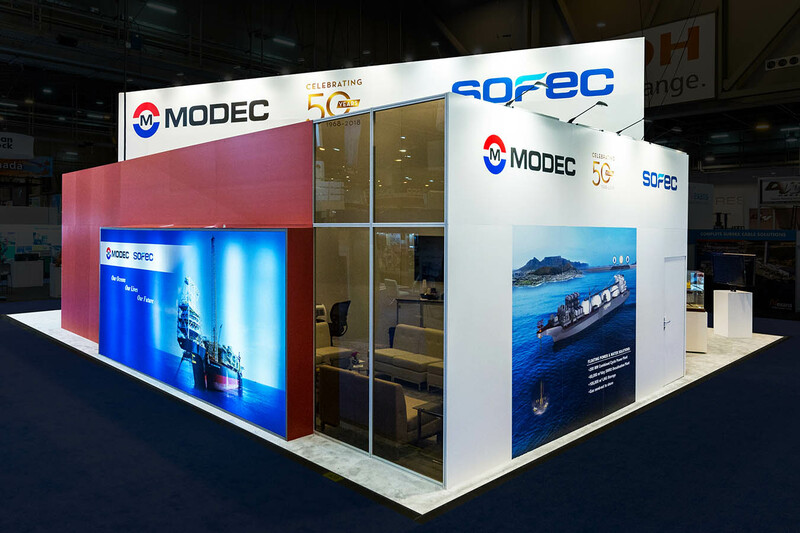 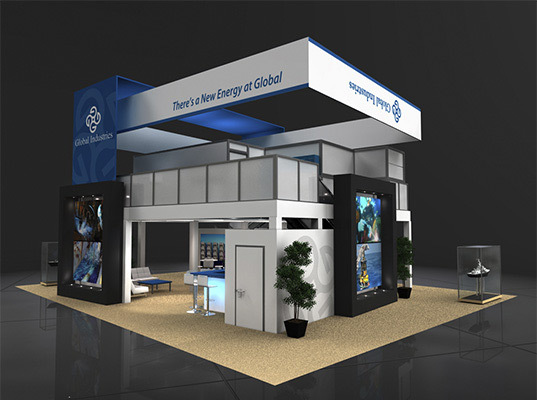 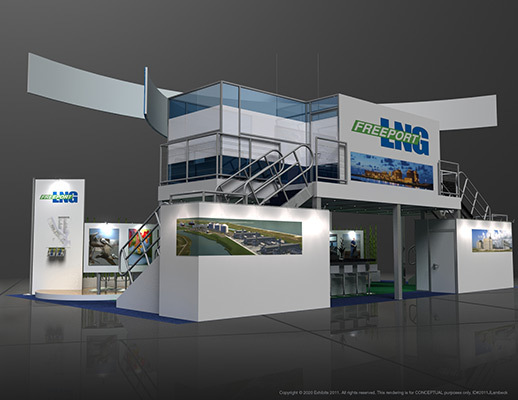 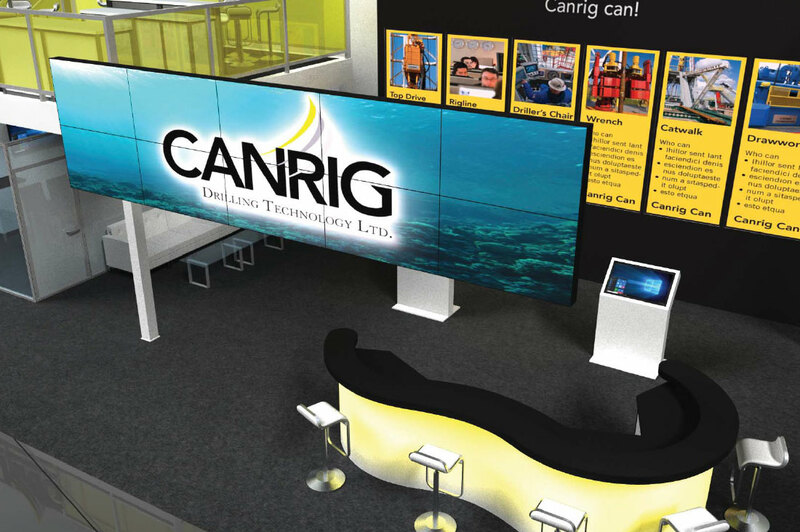 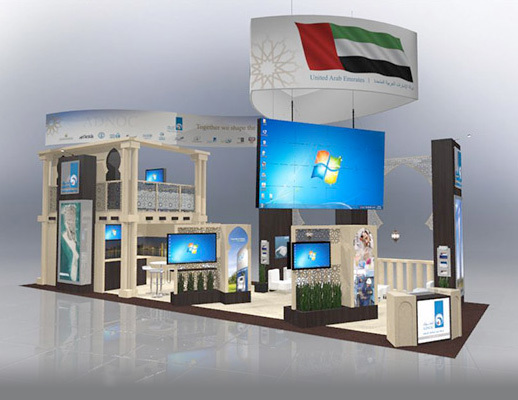 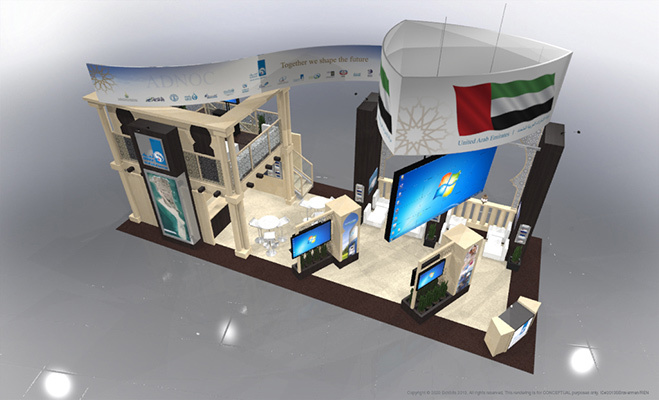 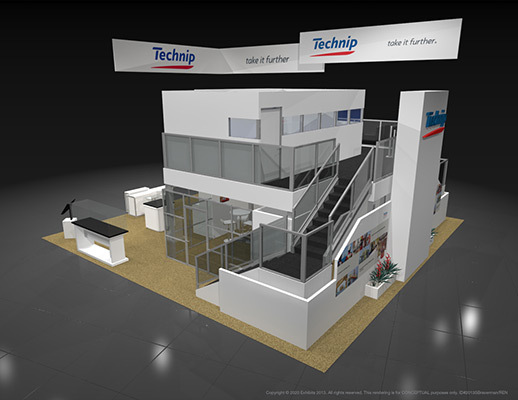 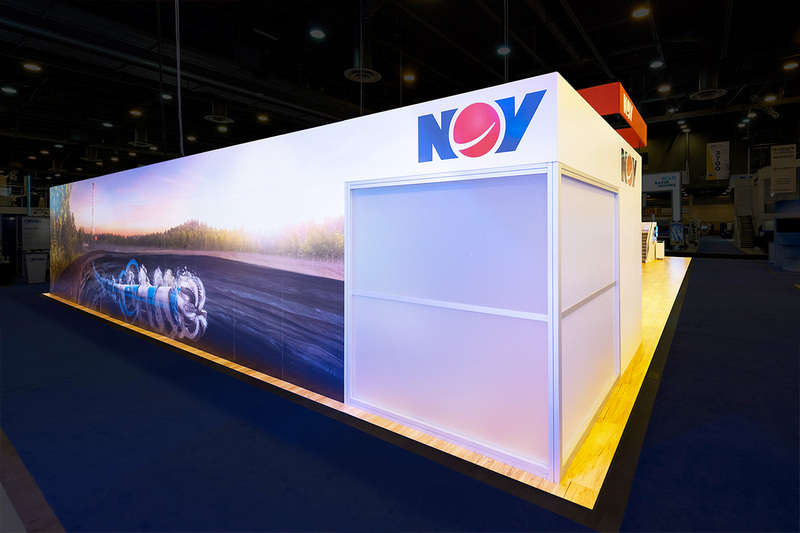 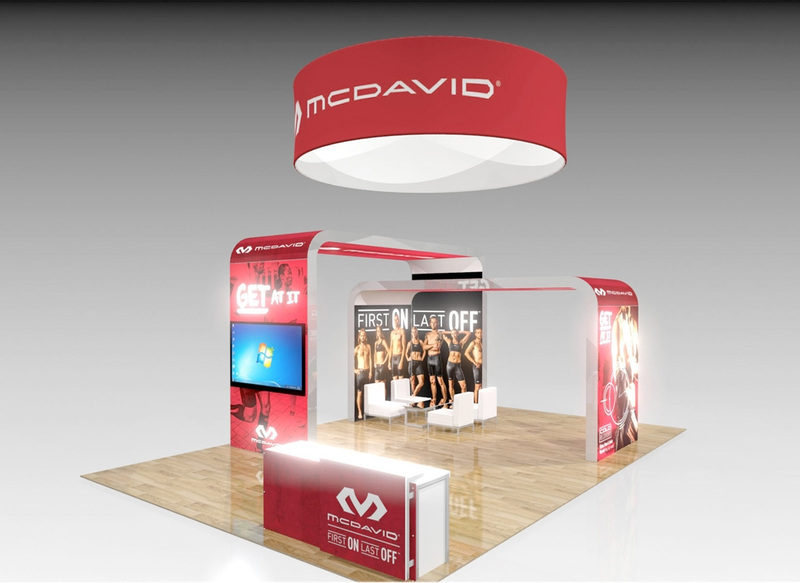 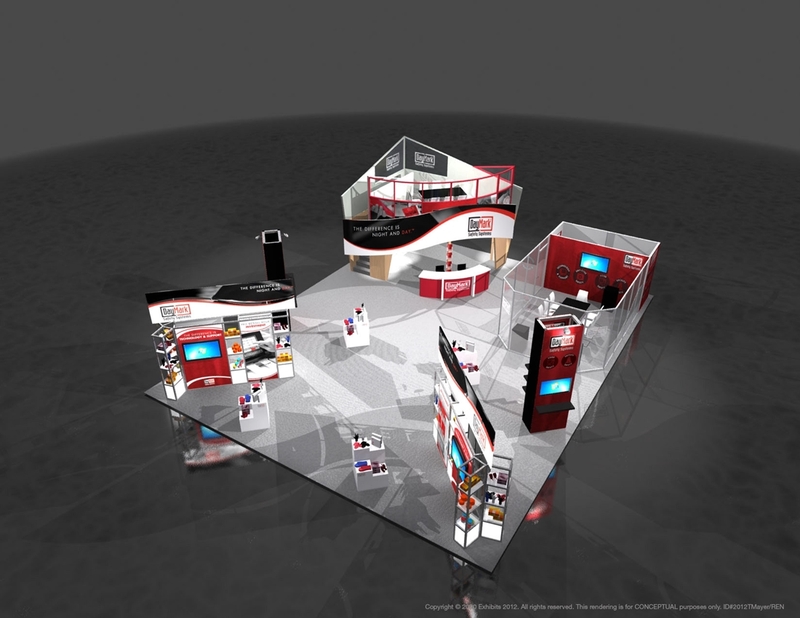 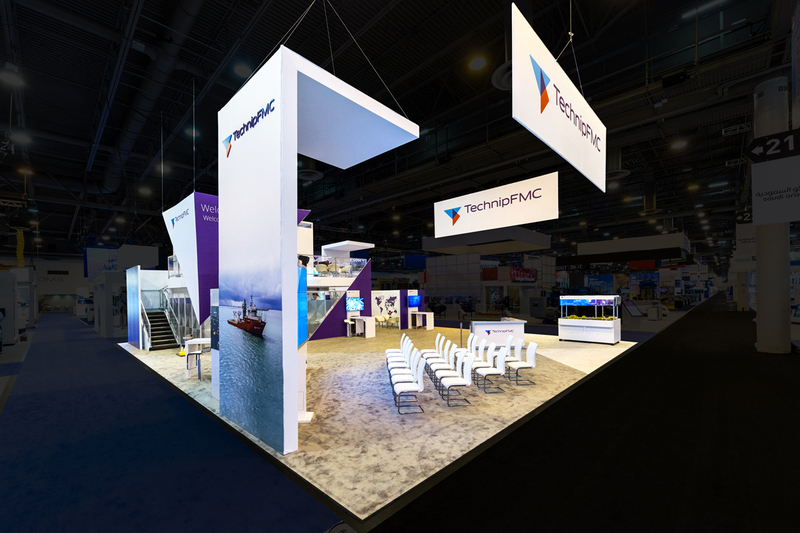 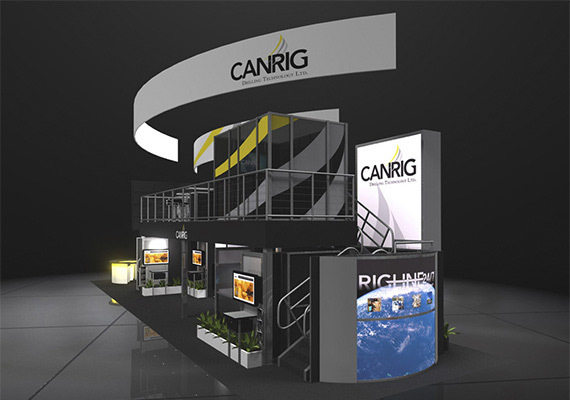 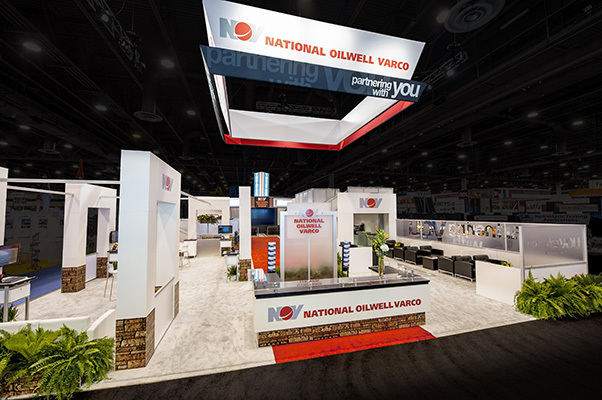 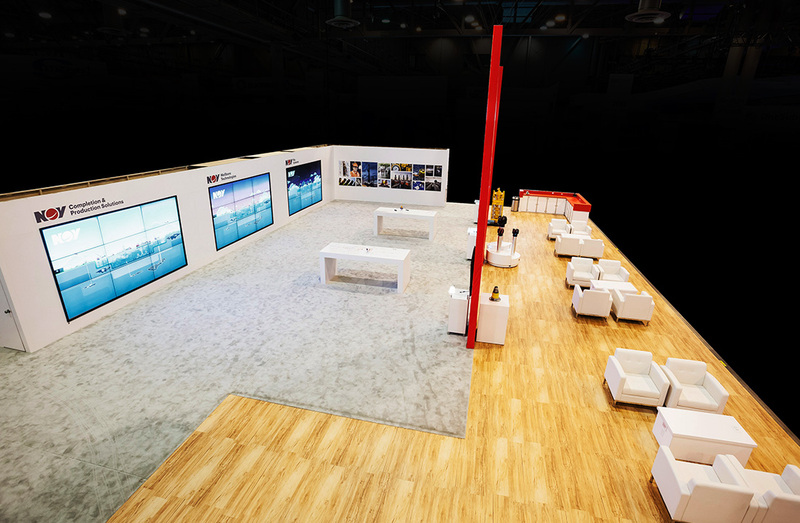 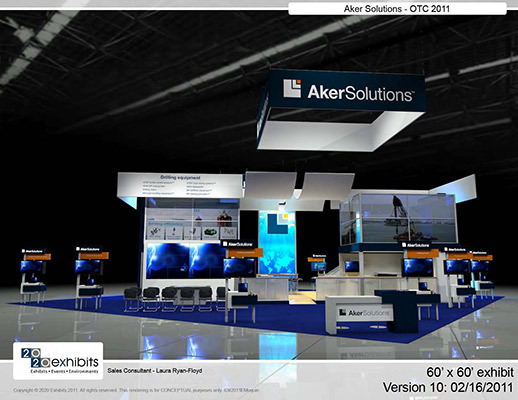 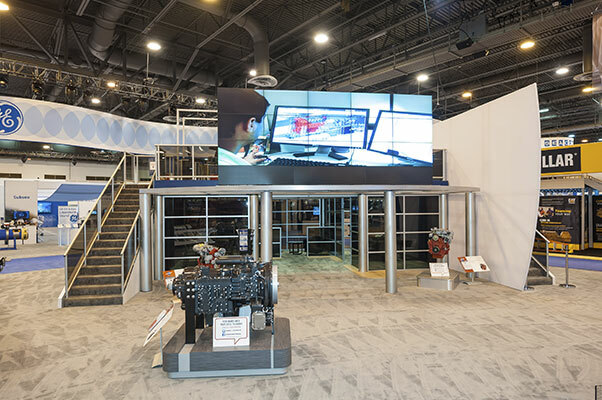 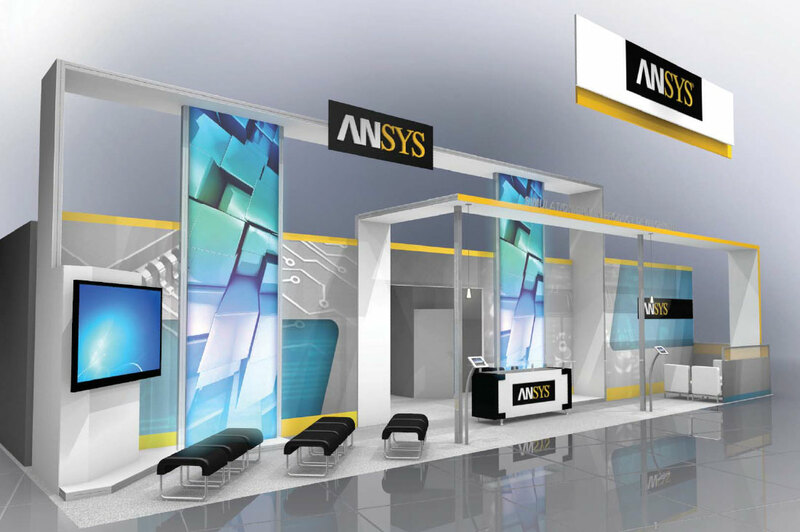 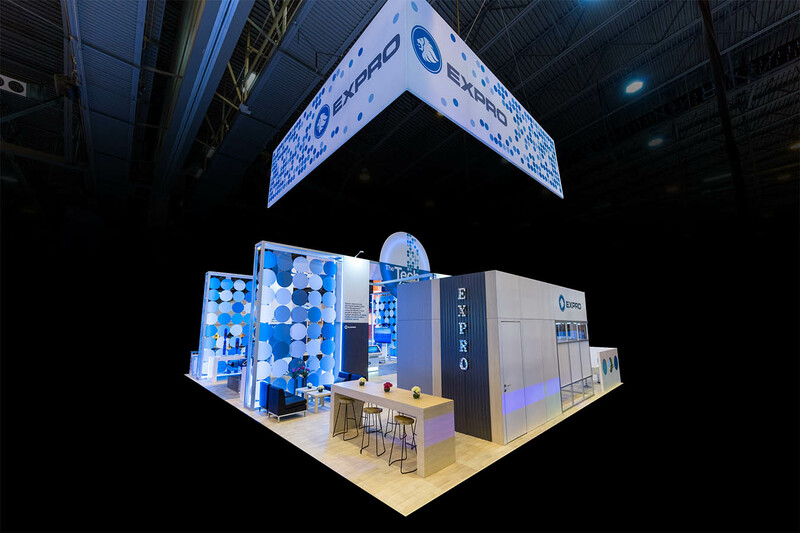 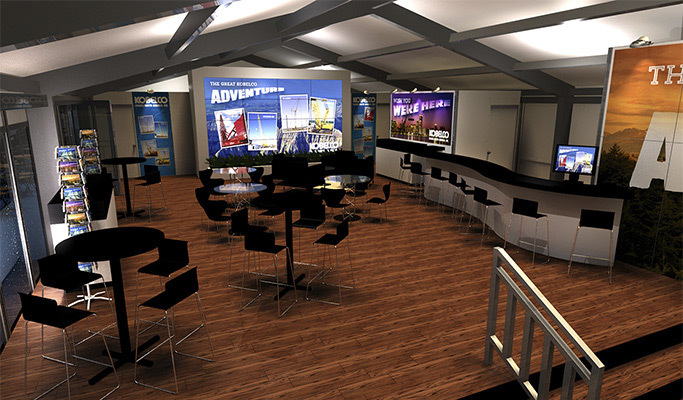 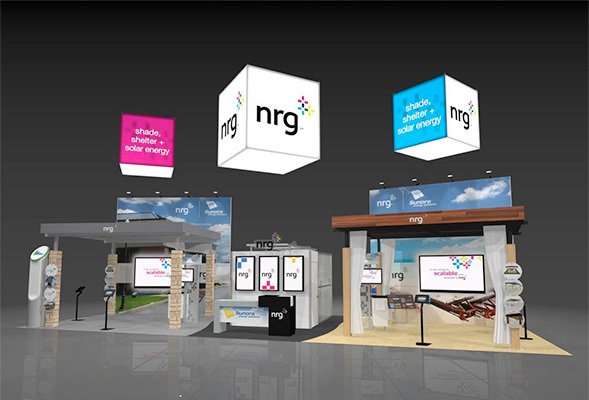 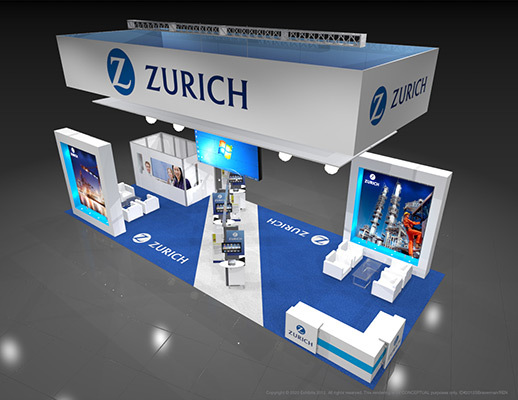 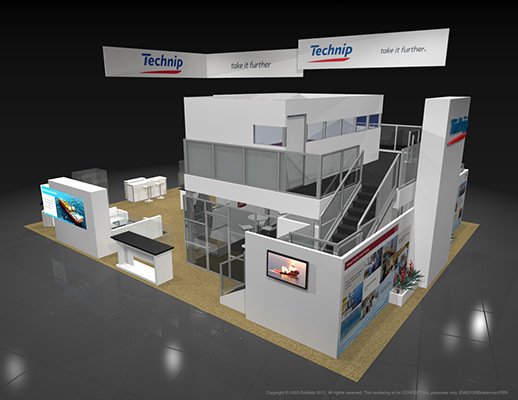 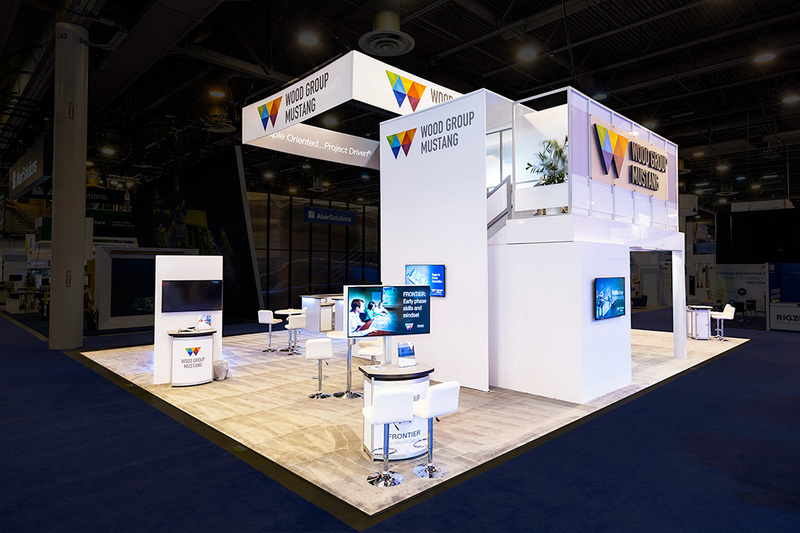 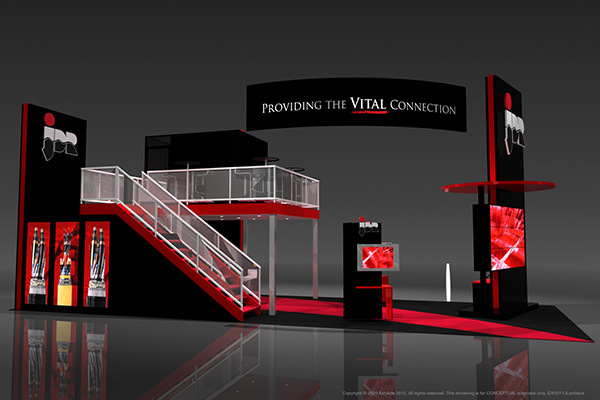 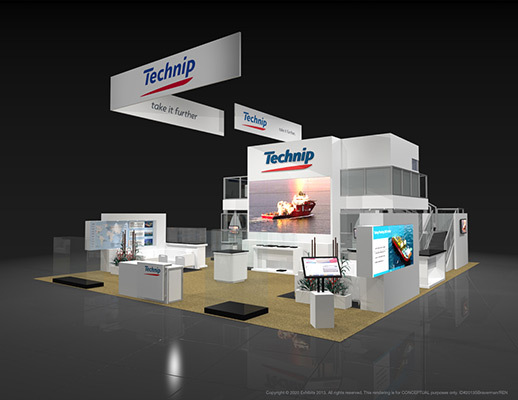 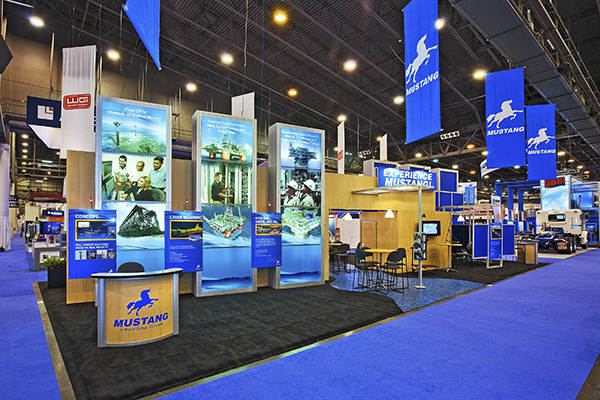 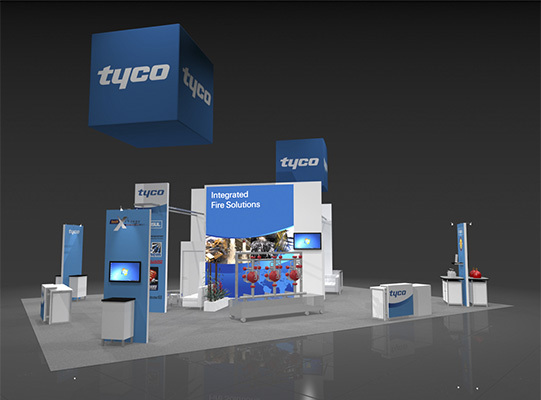 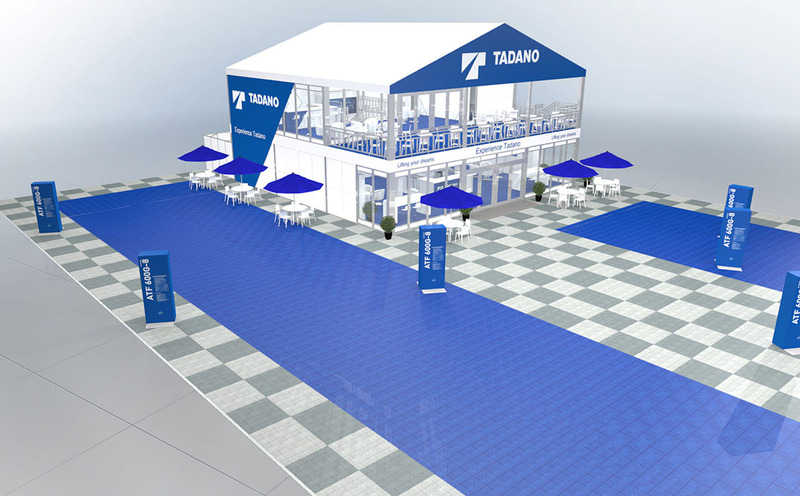 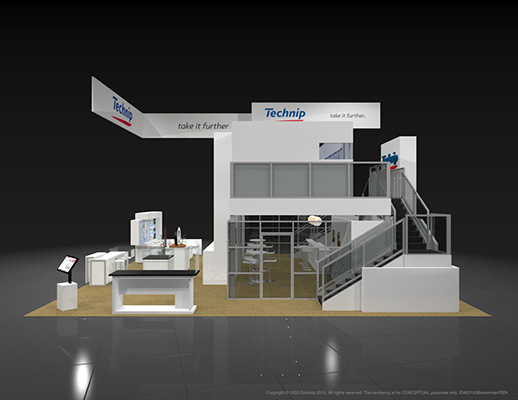 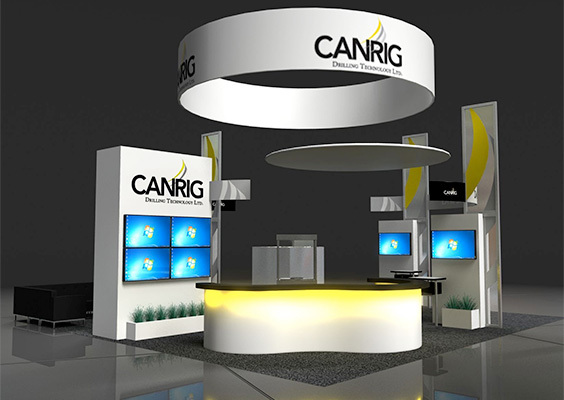 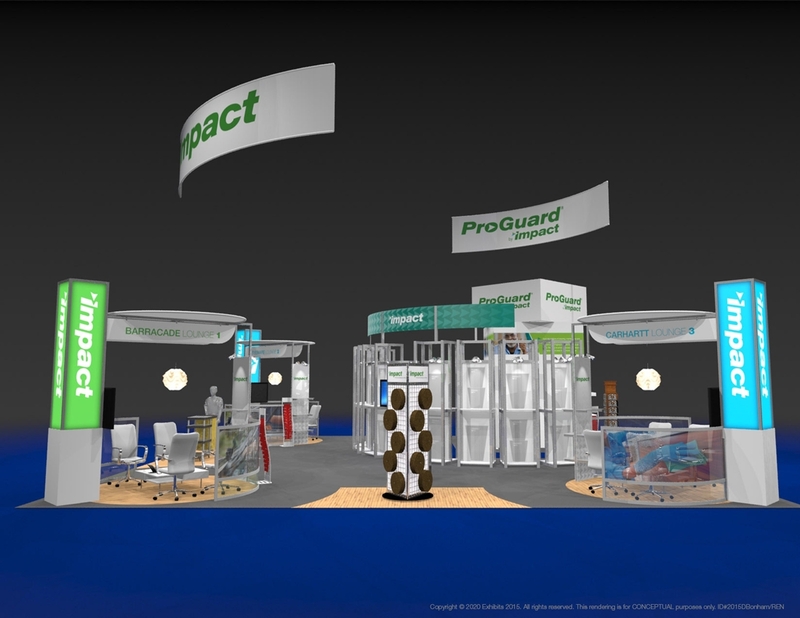 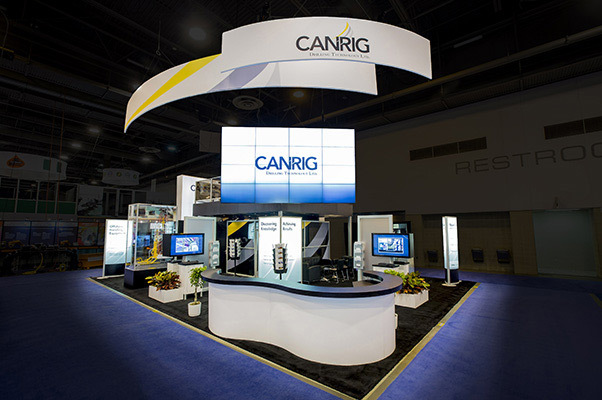 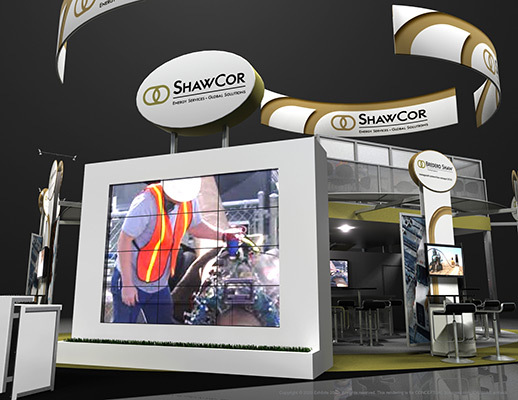 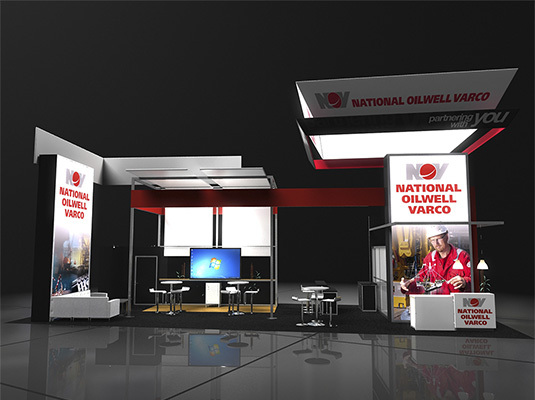 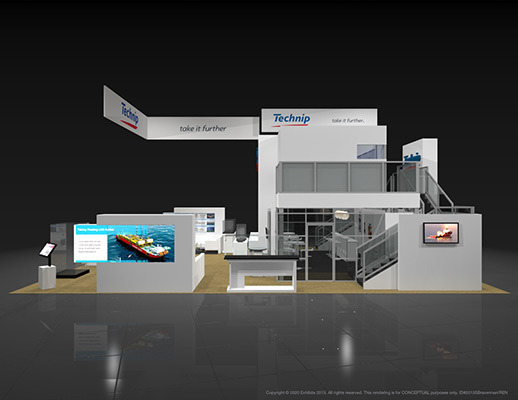 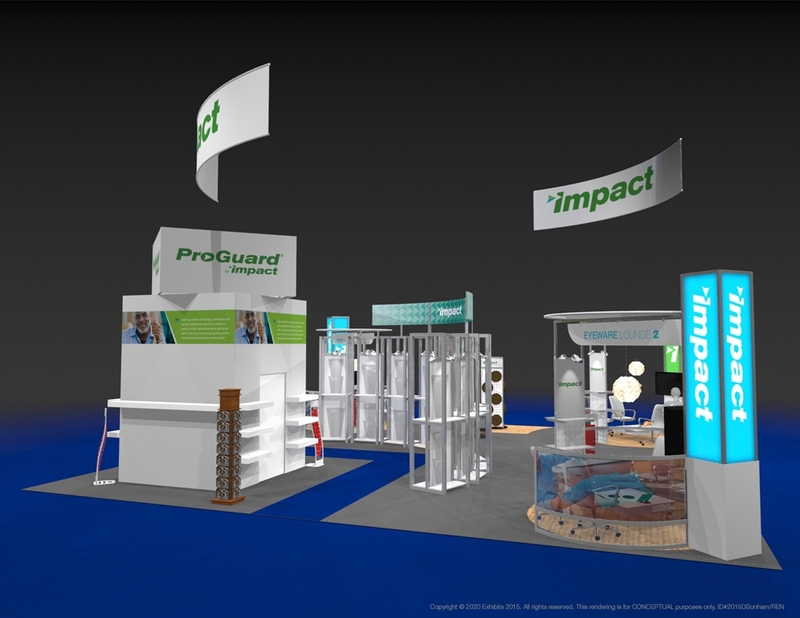 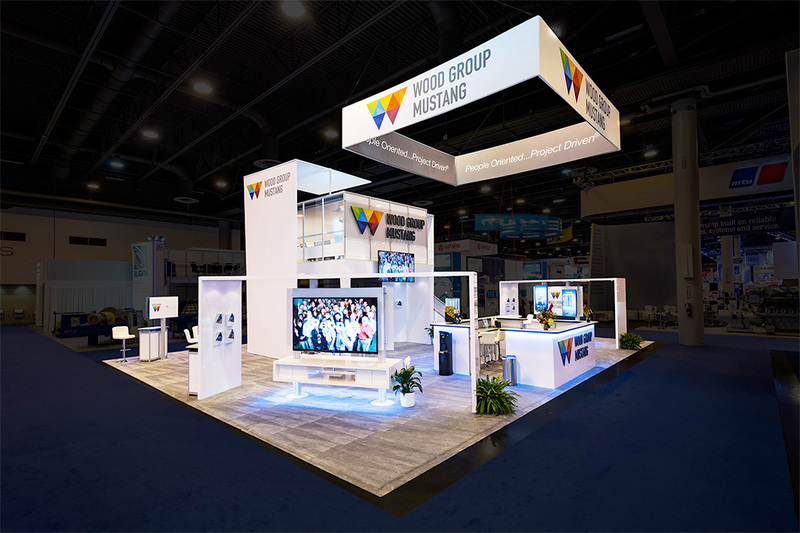 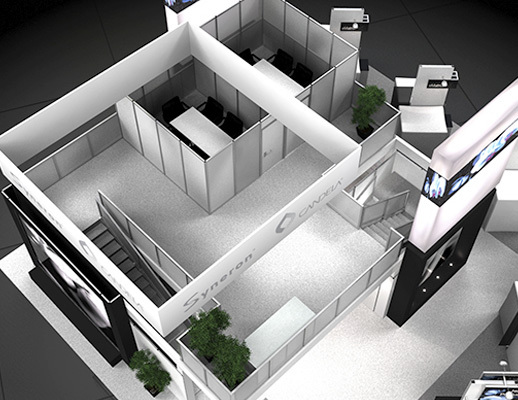 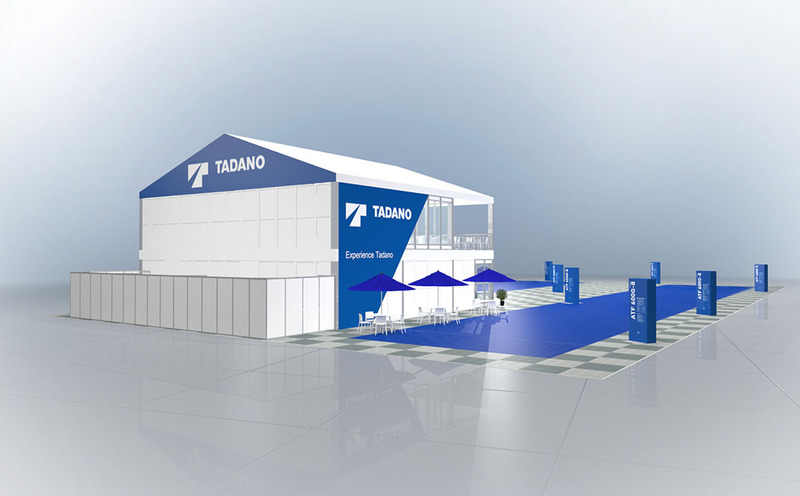 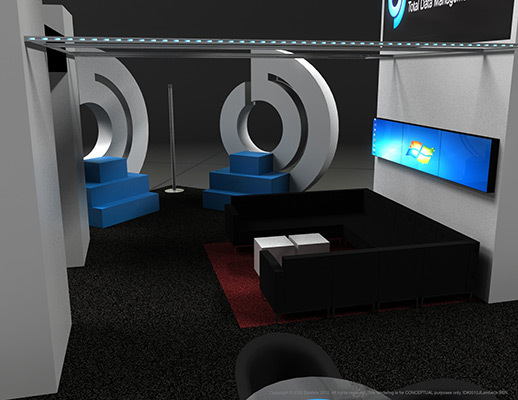 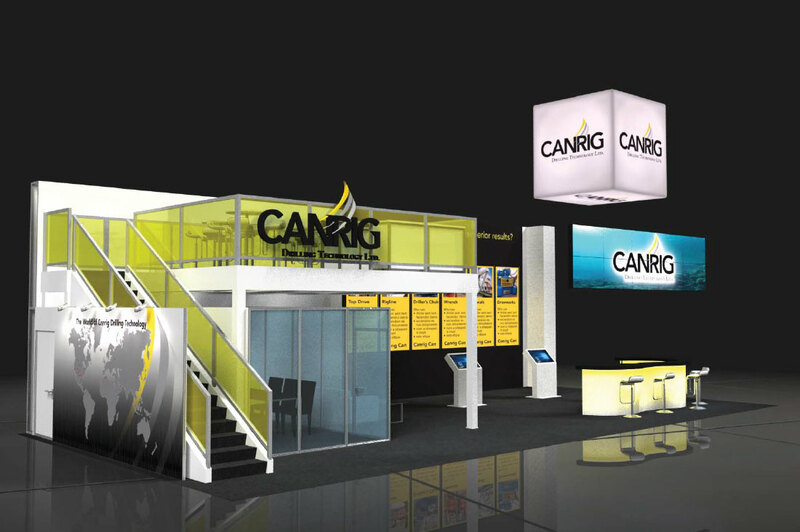 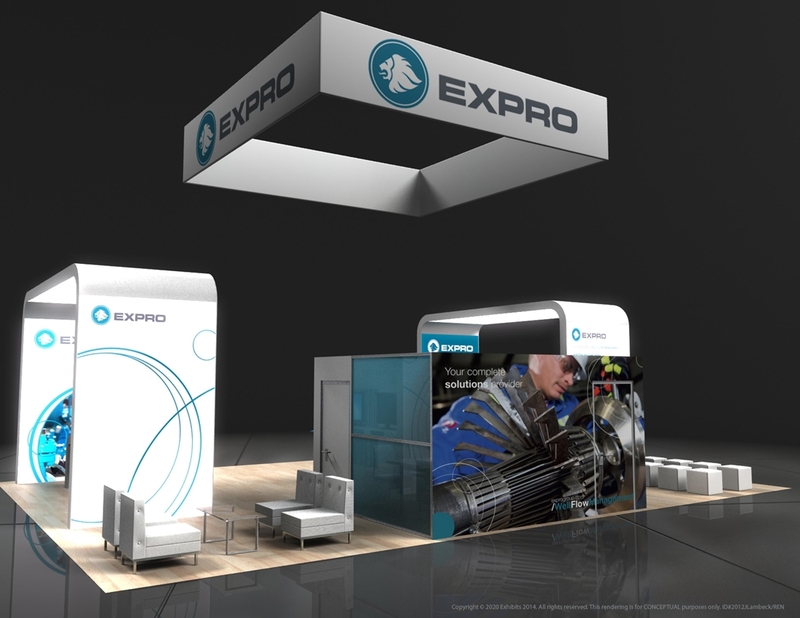 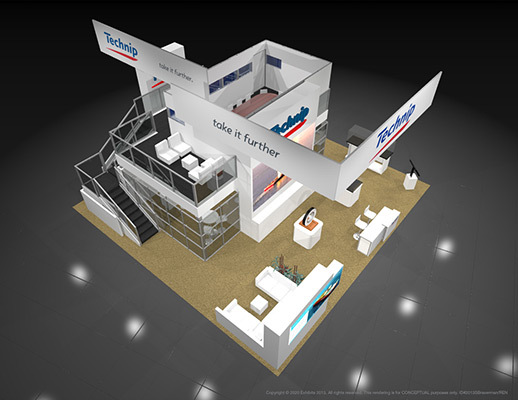 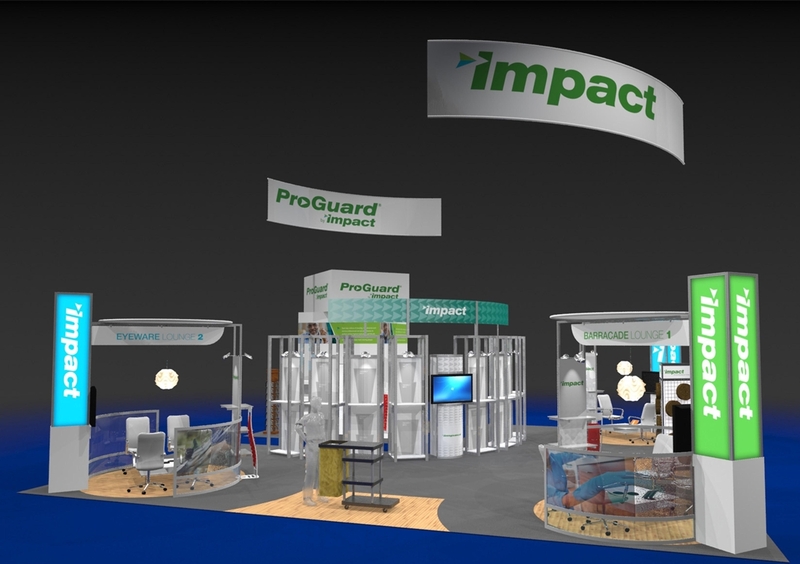 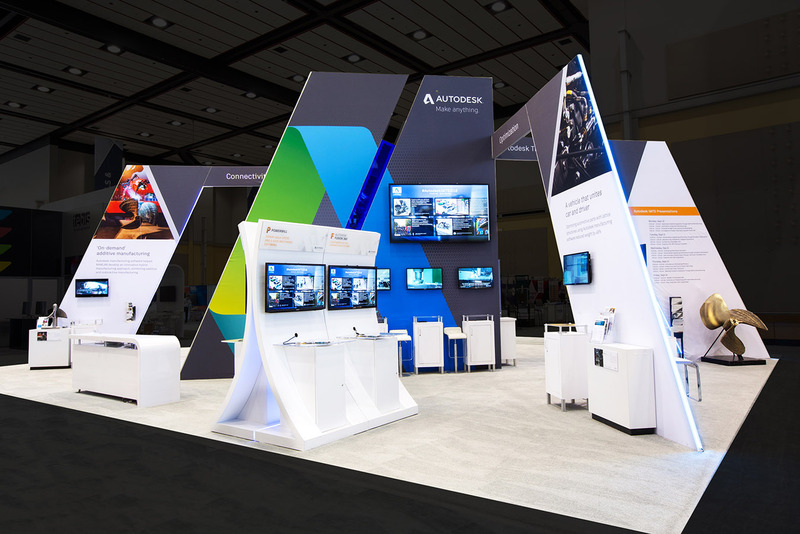 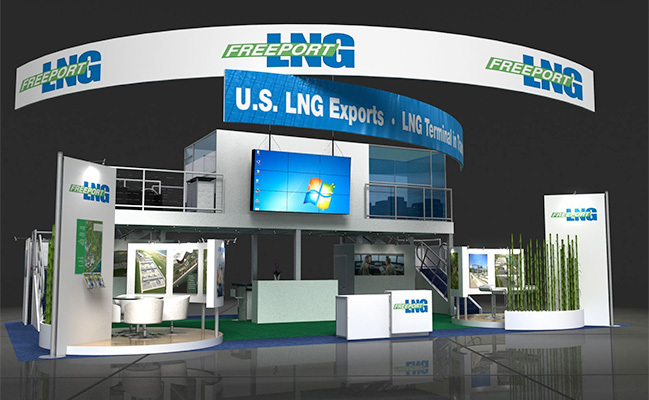 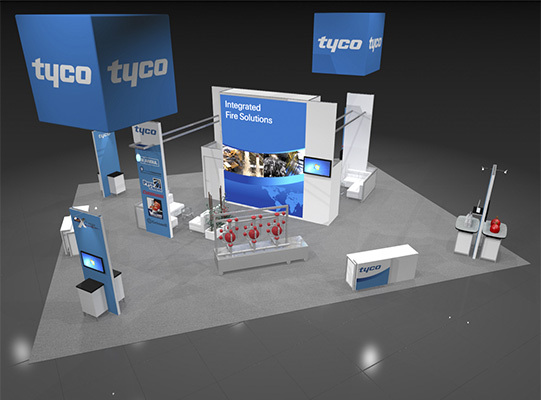 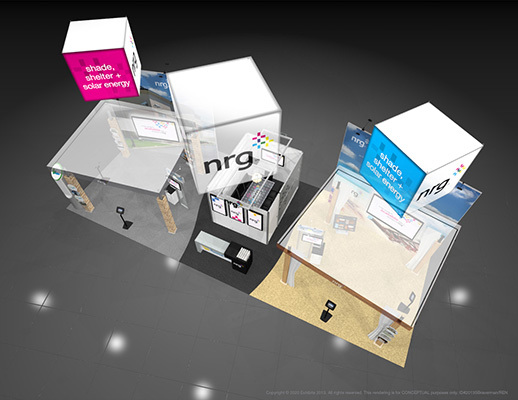 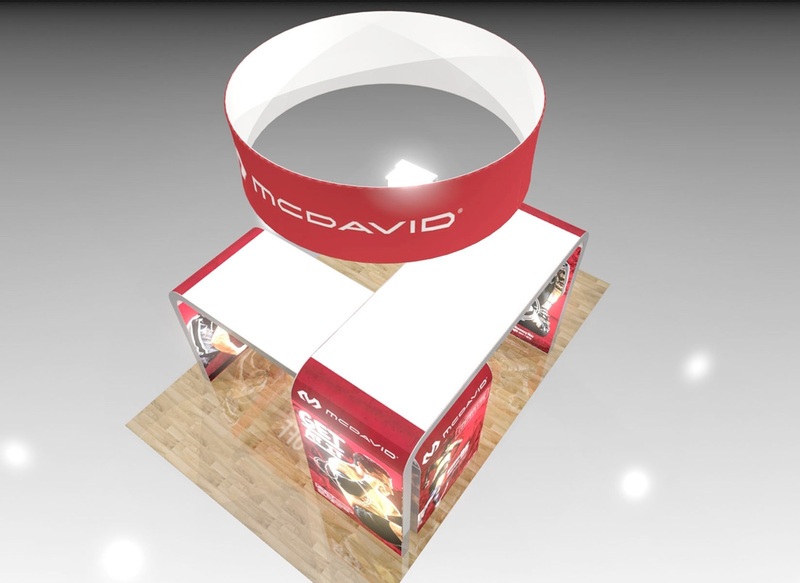 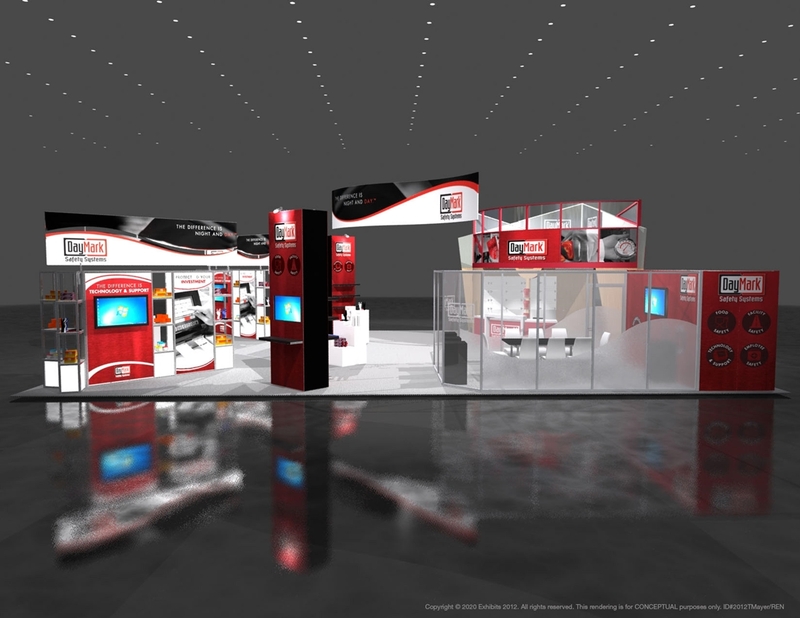 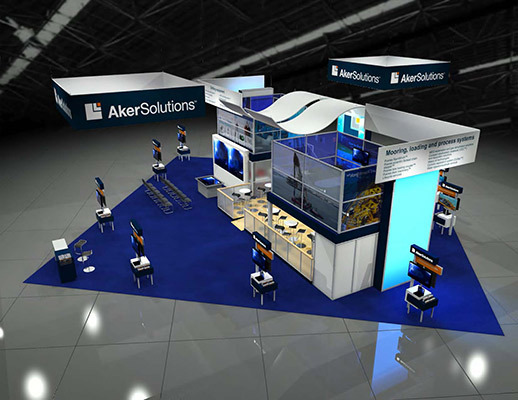 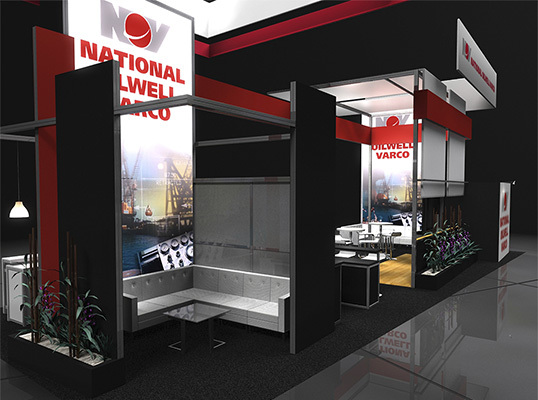 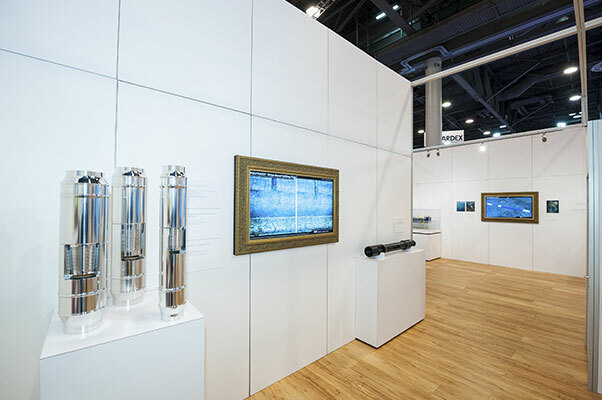 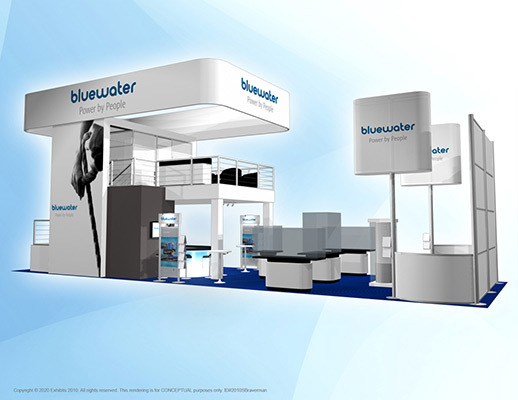 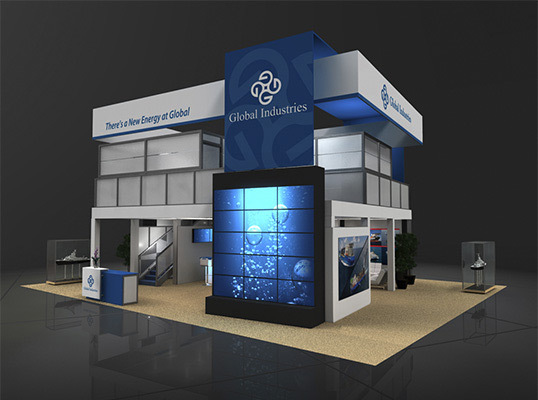 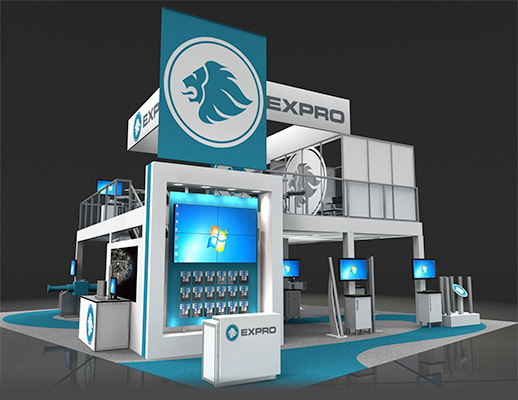 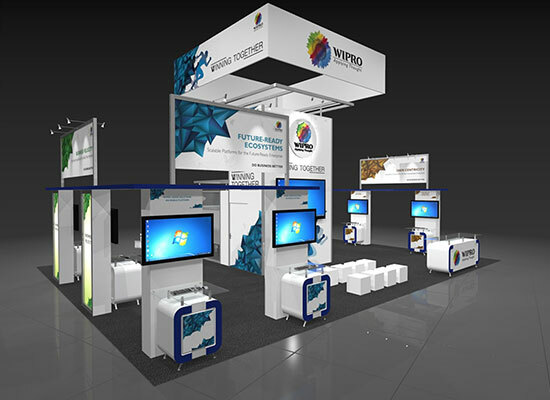 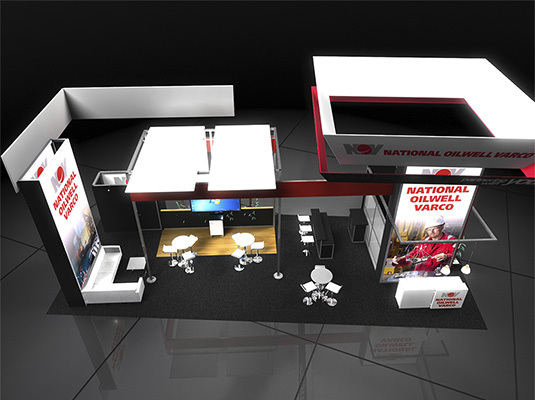 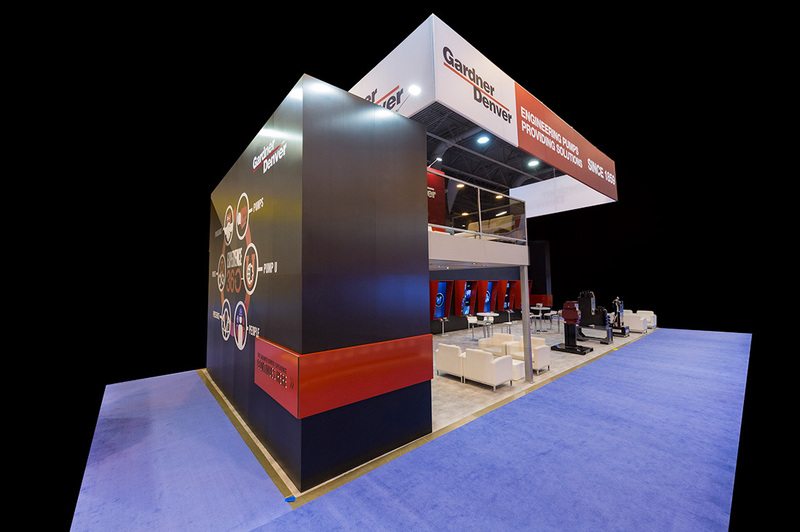 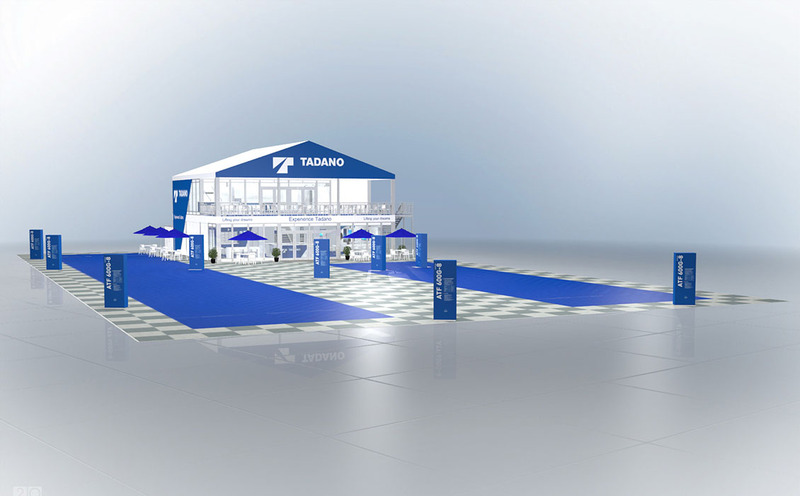 Large video wall can showcase the brand and capture the attention of attendees across the tradeshow floor. 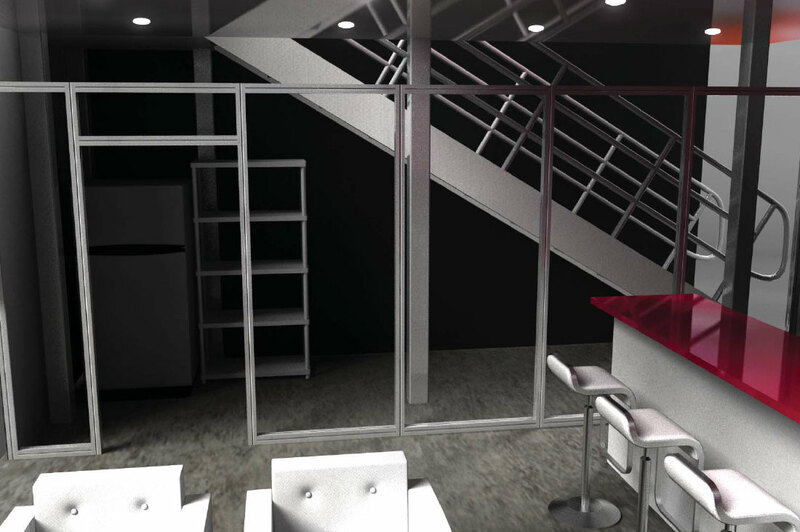 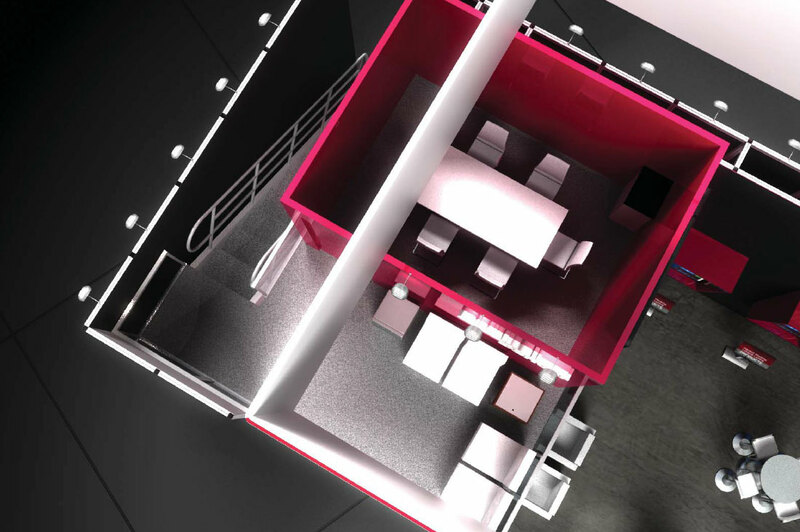 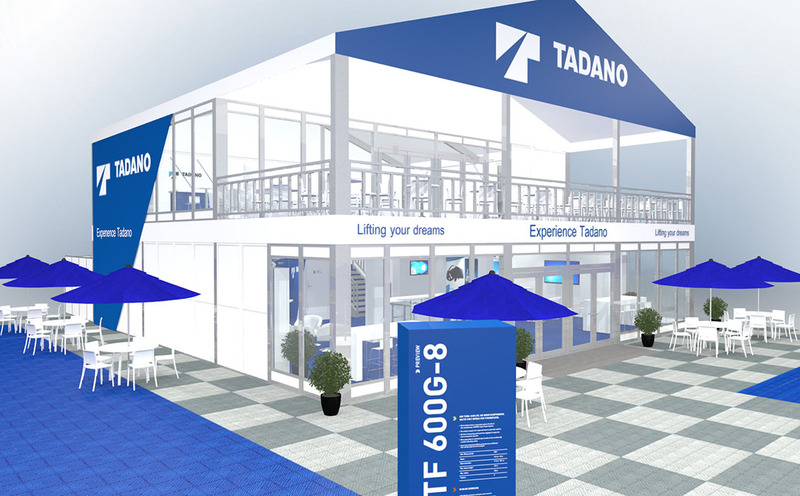 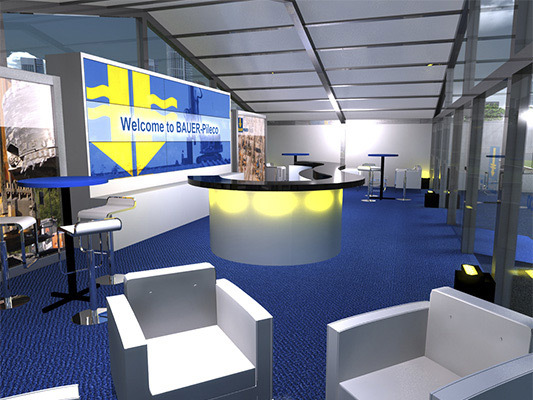 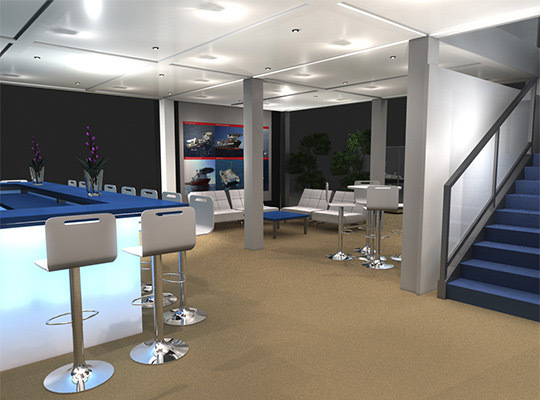 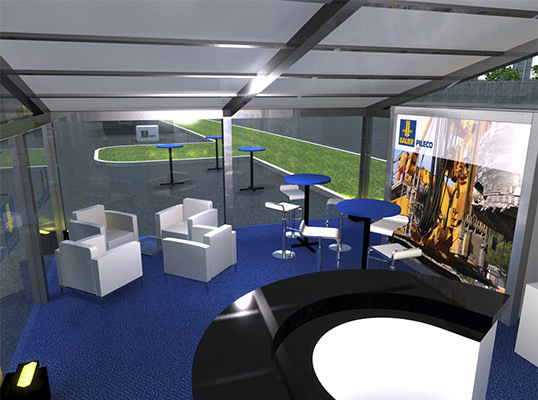 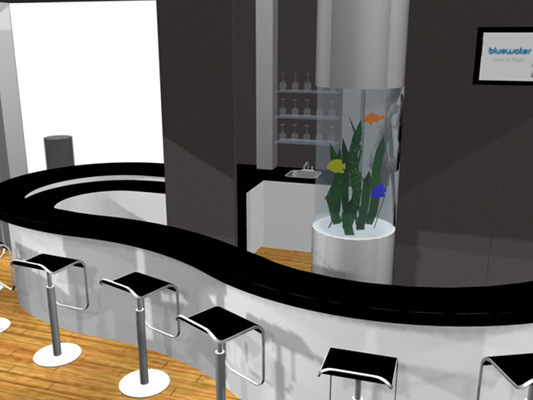 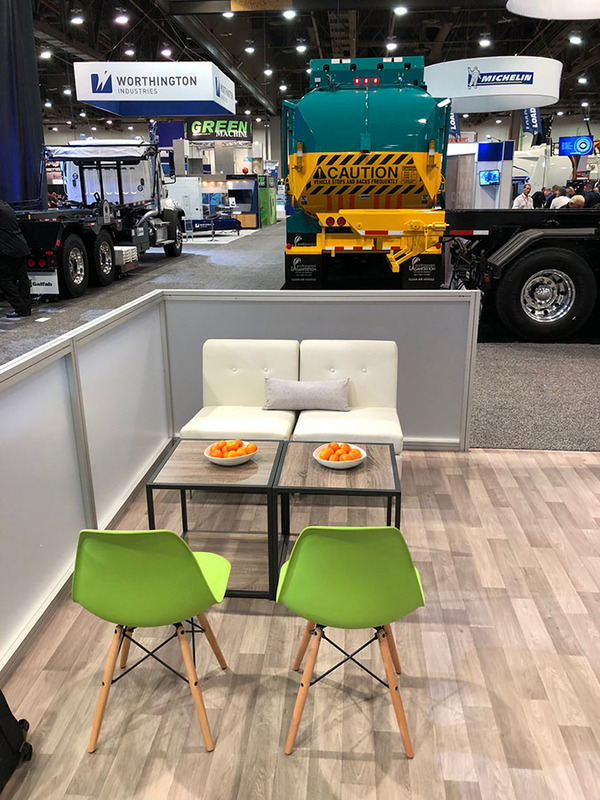 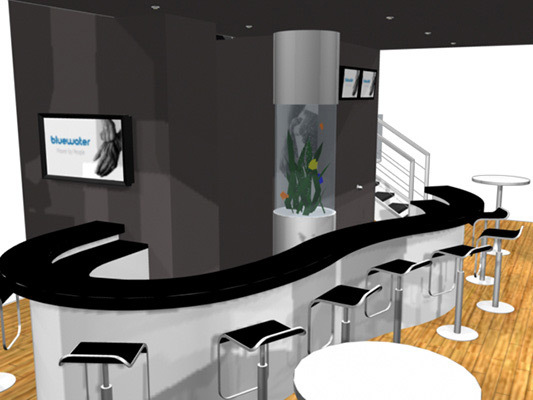 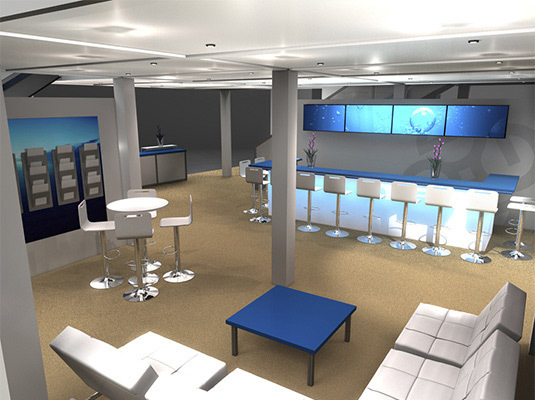 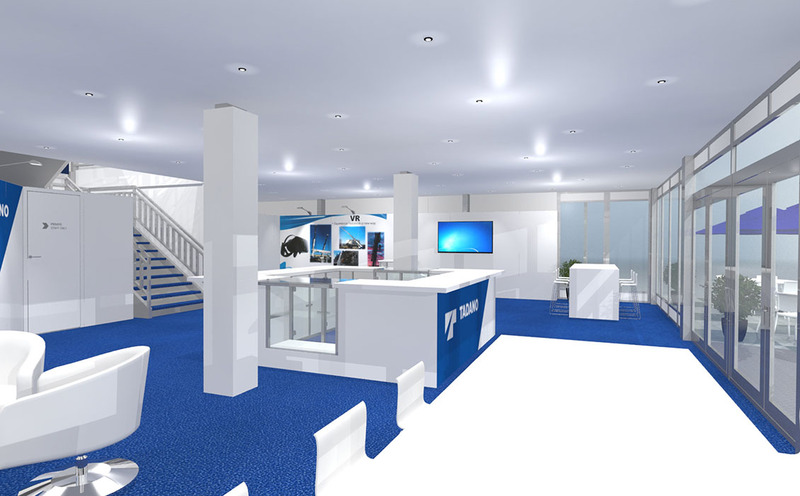 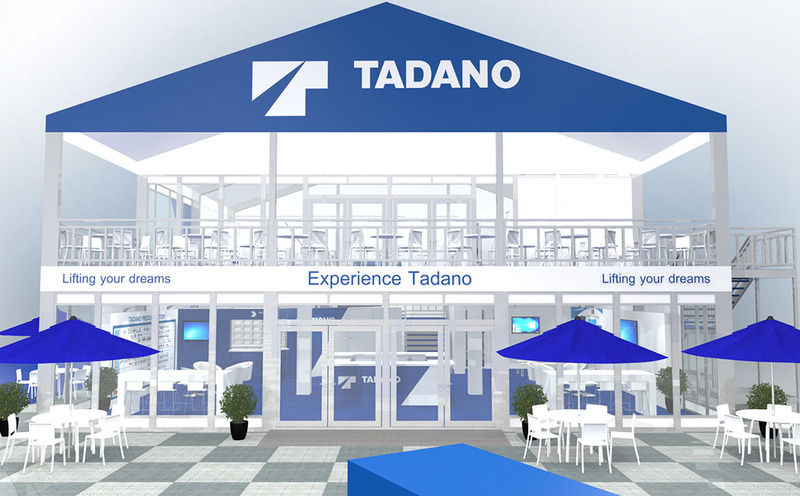 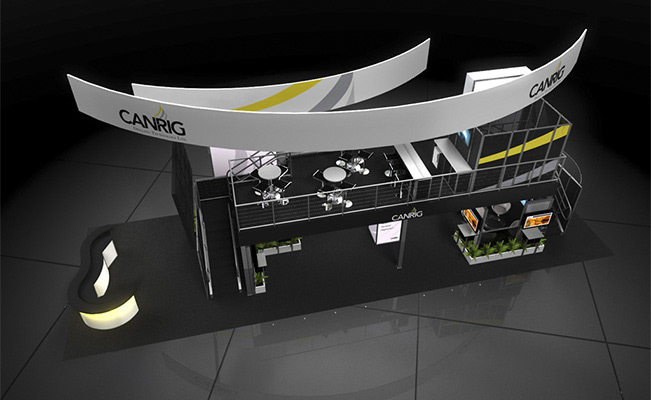 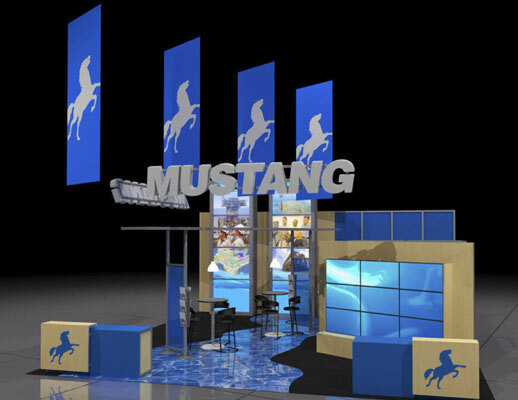 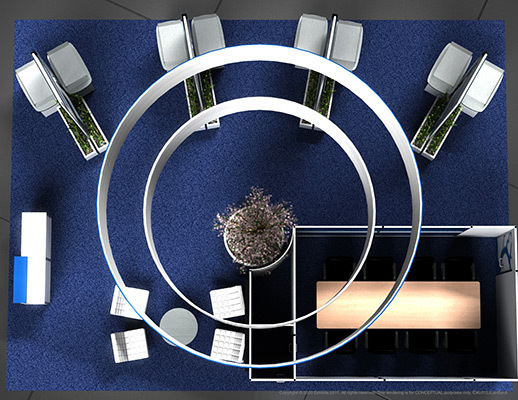 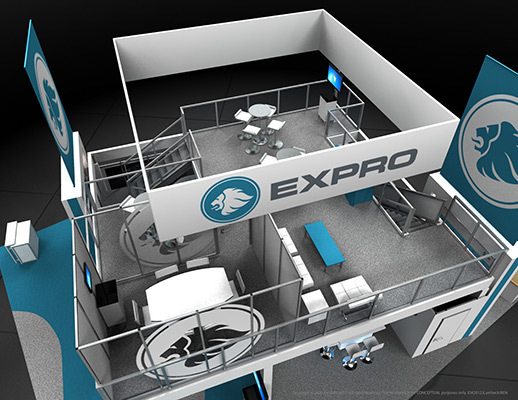 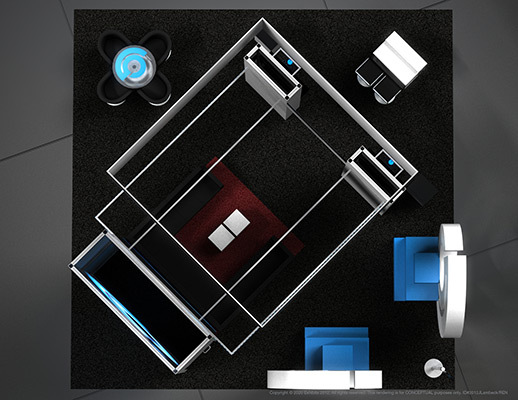 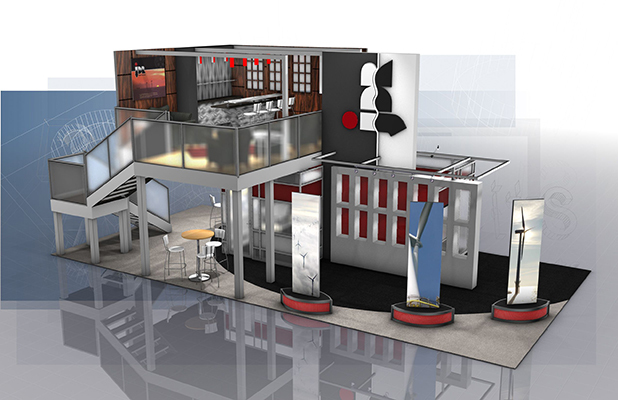 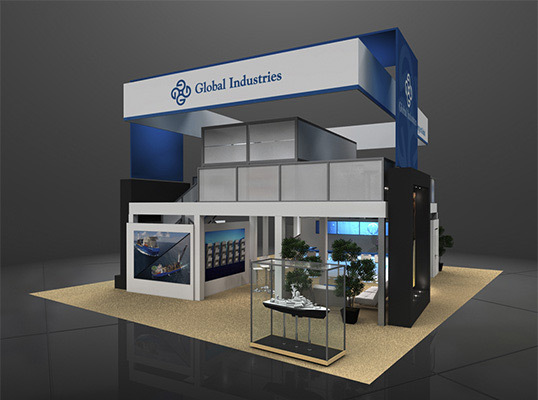 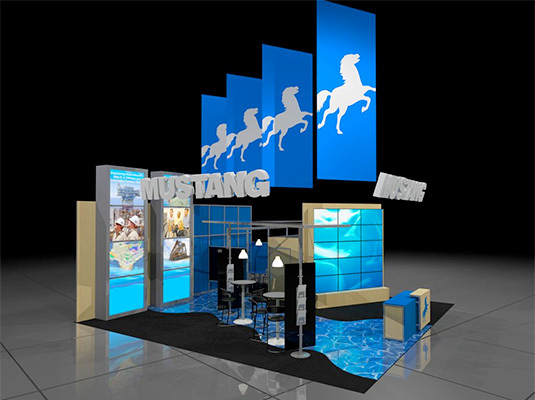 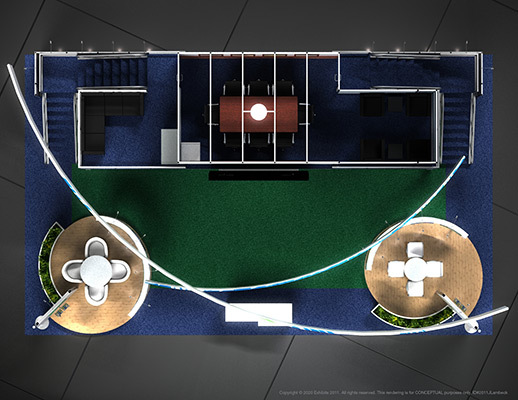 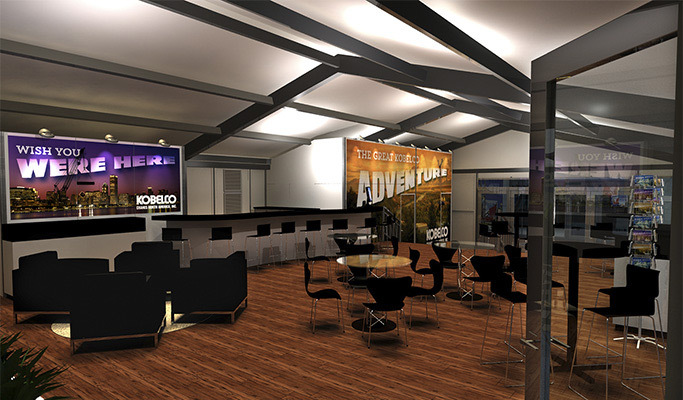 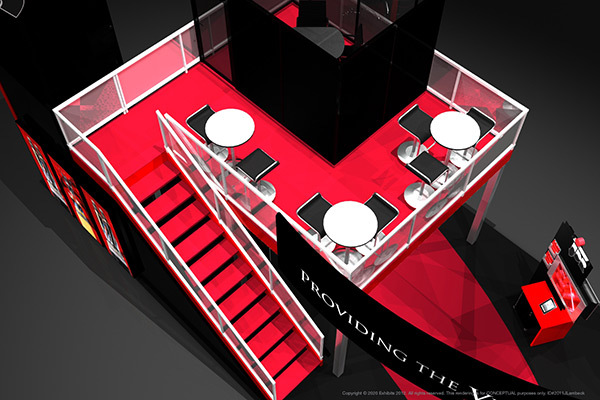 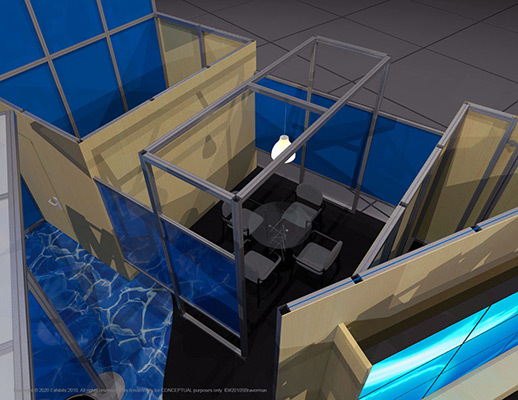 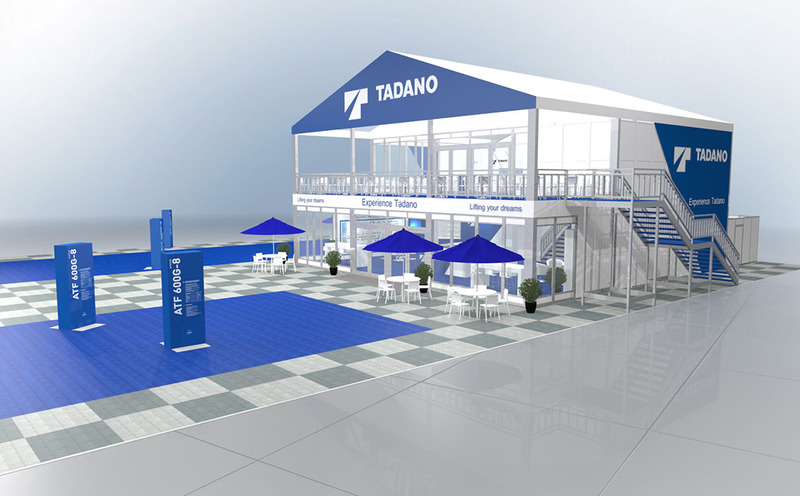 Features include: double deck, arcing hanging logo graphic signage, large video wall, private meeting area, floral/planters, large graphic banners, banner stands, reception desk, carpeted inlay, lounge seating, information displays, enclosed rooms, bar, storage closet and storage areas.